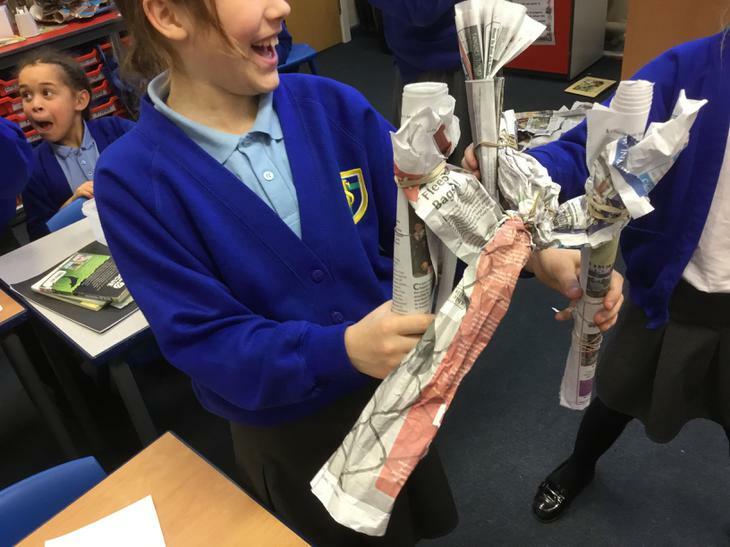 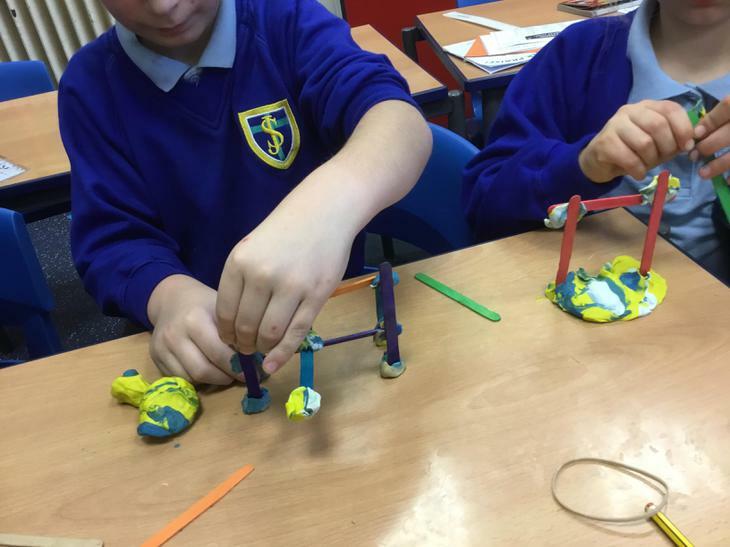 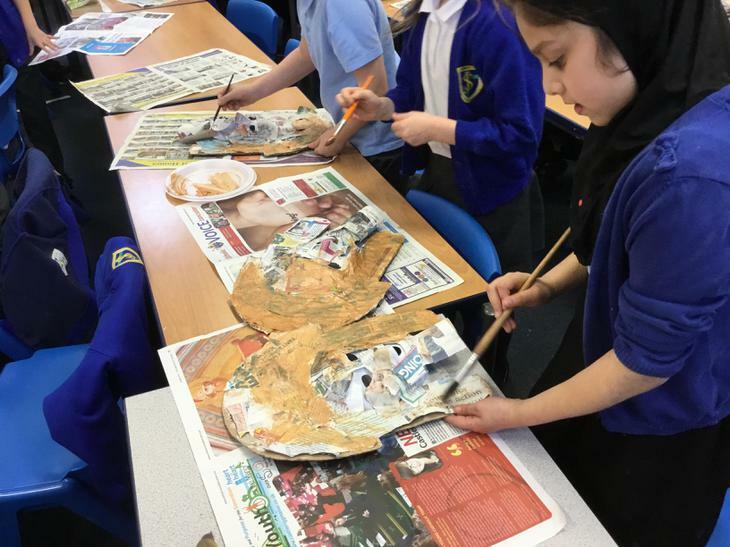 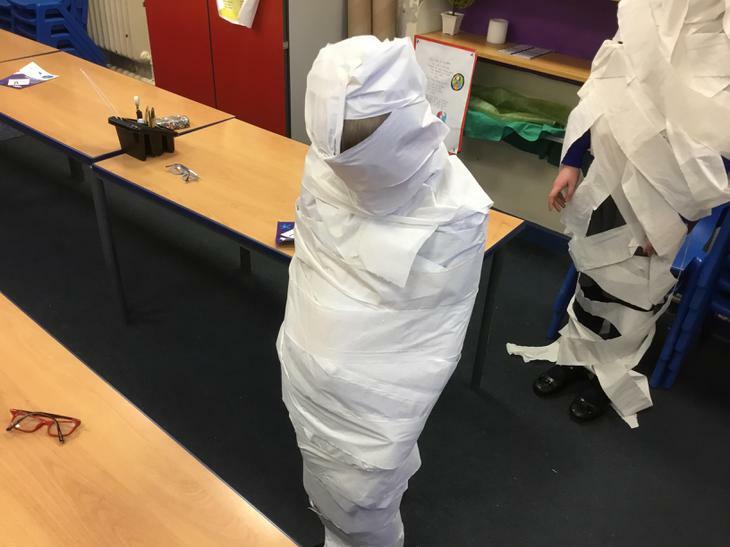 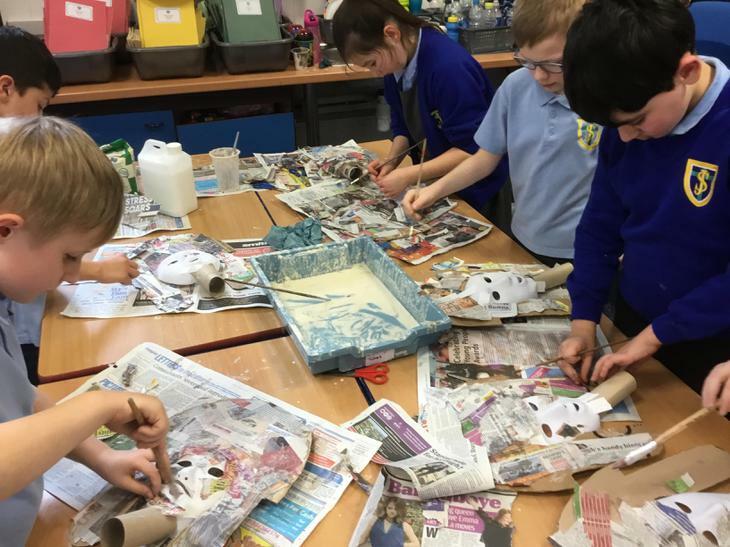 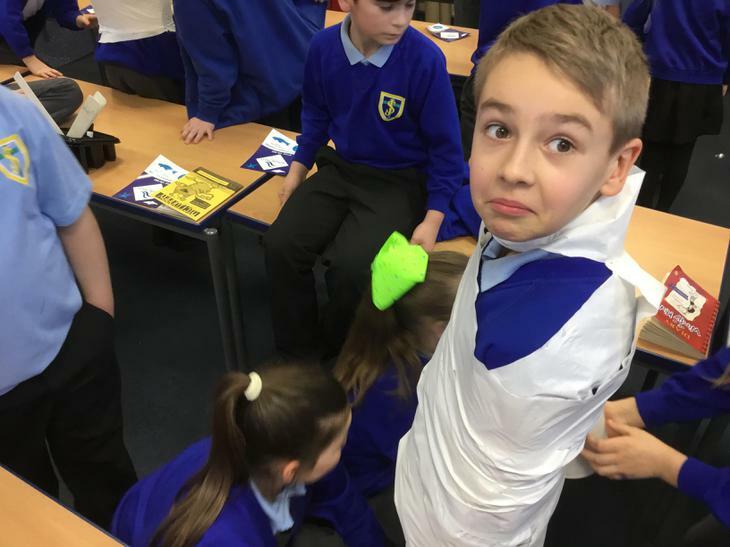 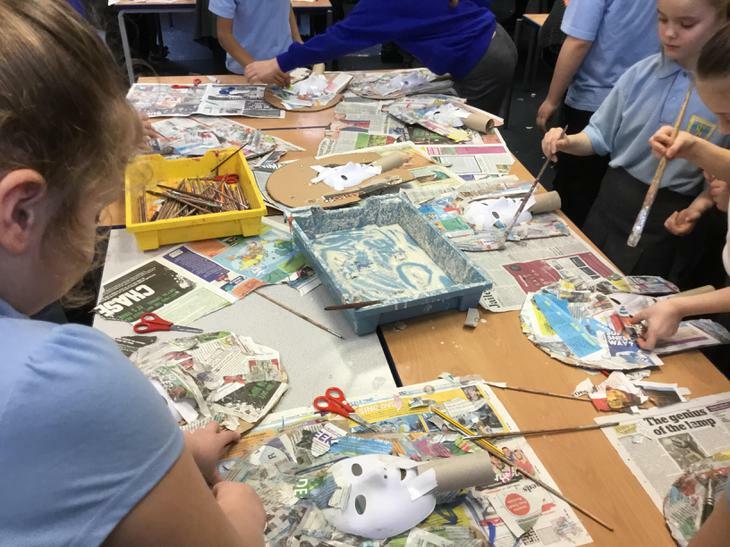 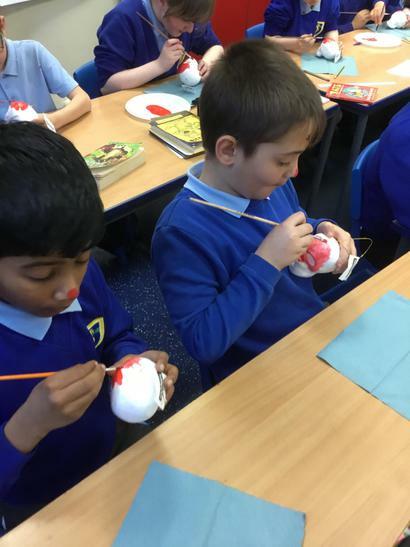 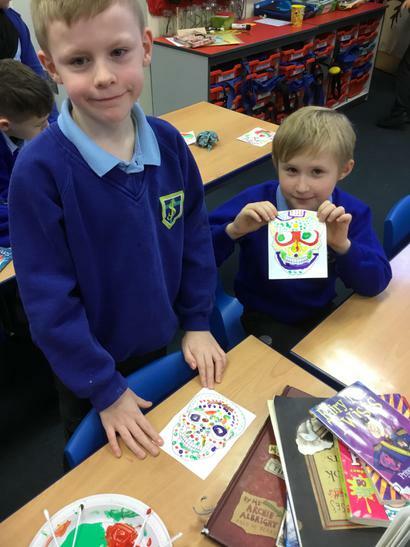 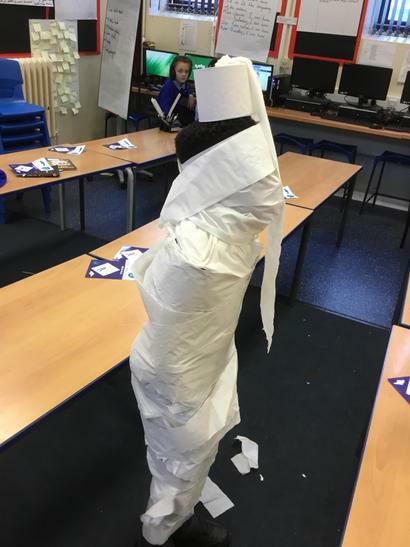 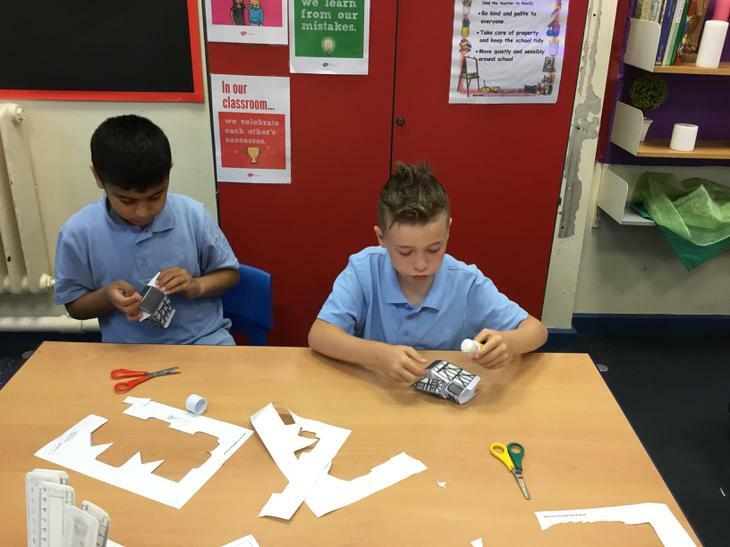 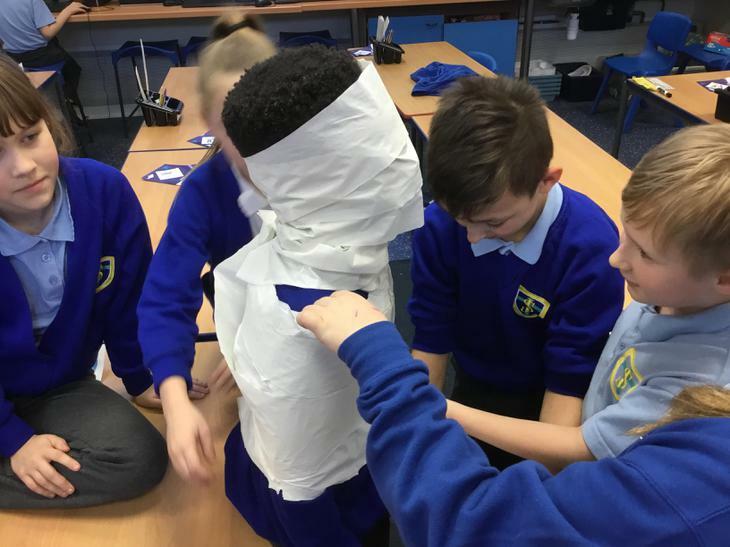 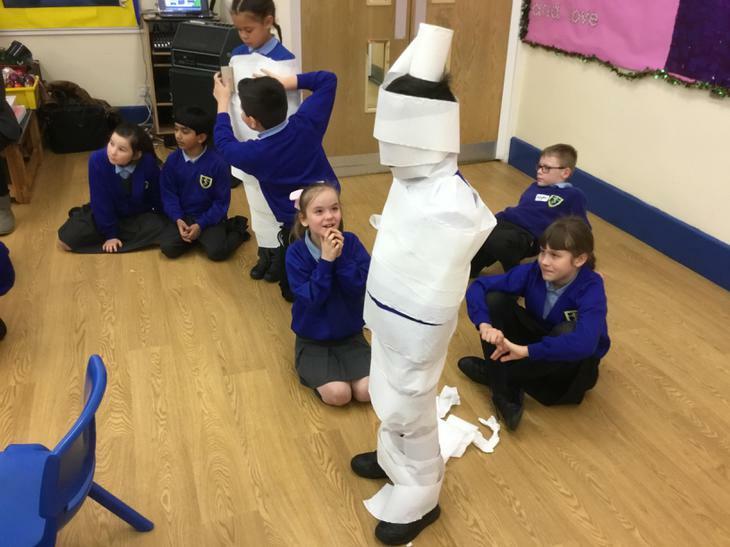 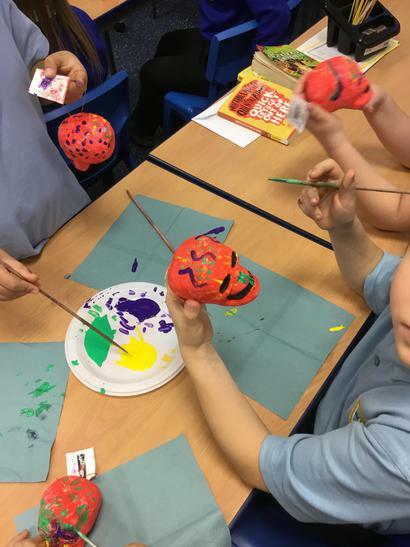 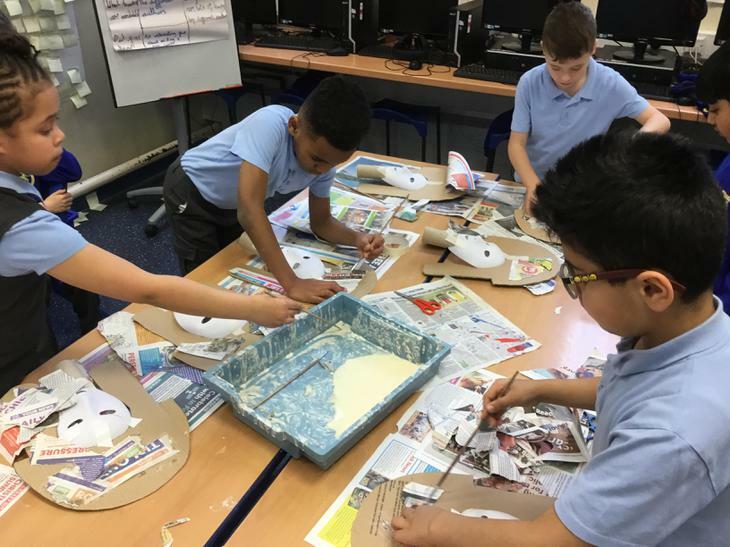 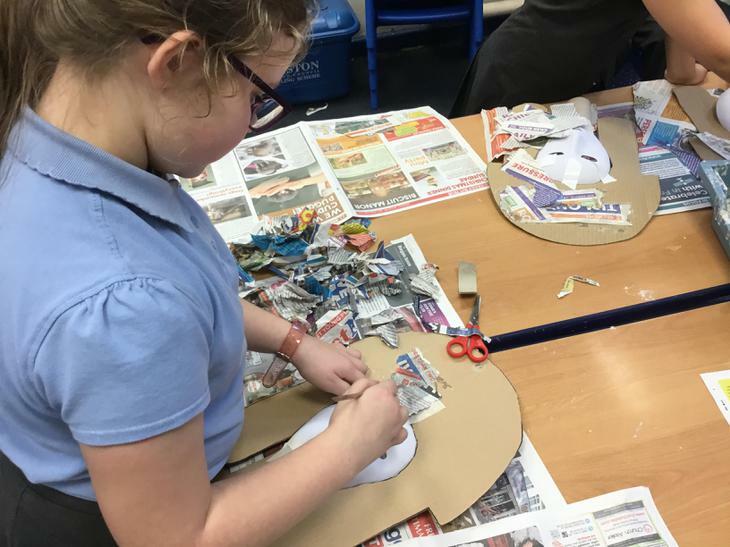 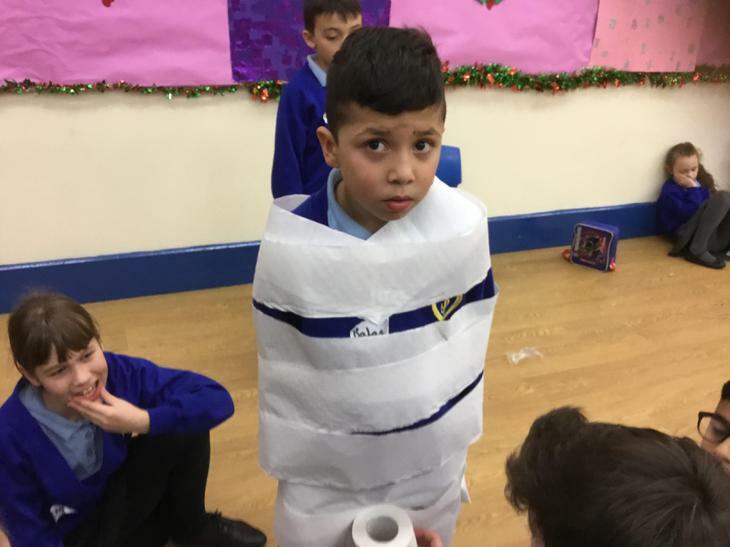 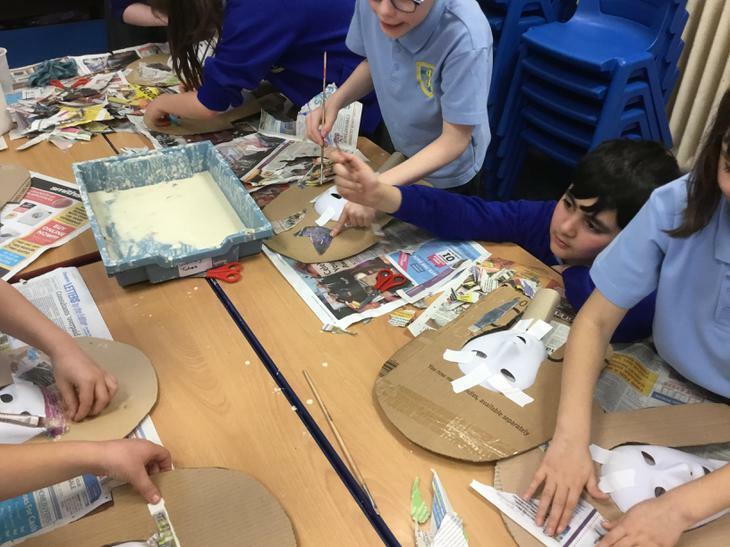 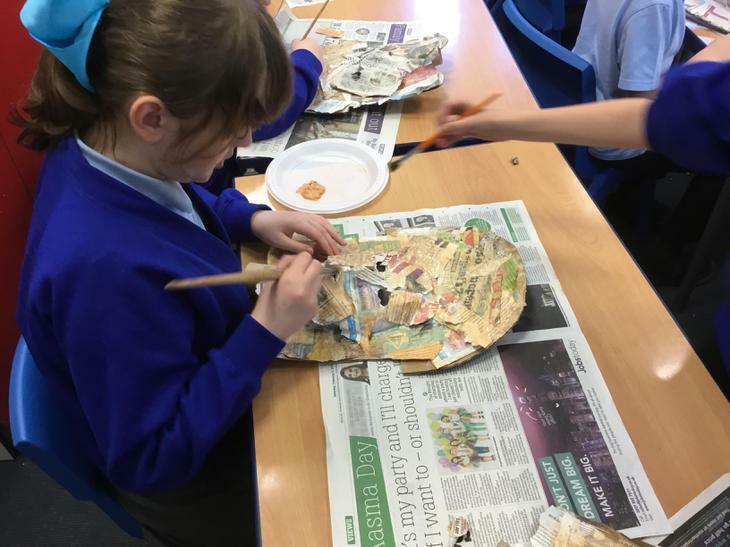 In DT, we made our Egyptian Shadufs. 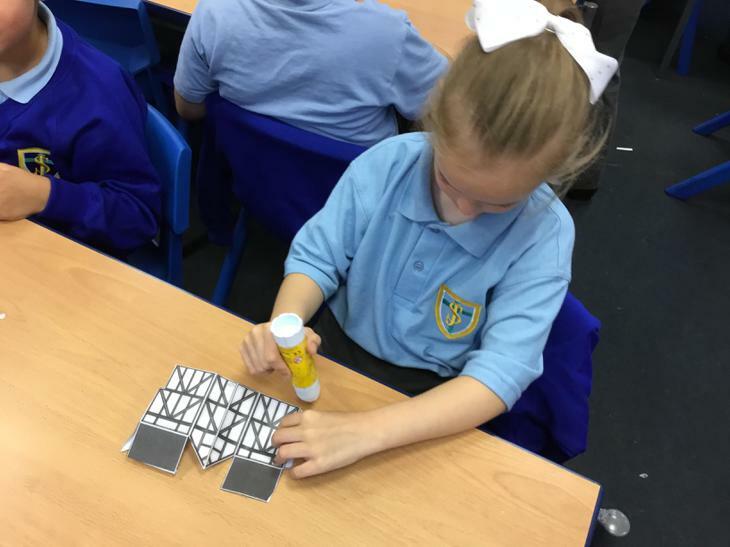 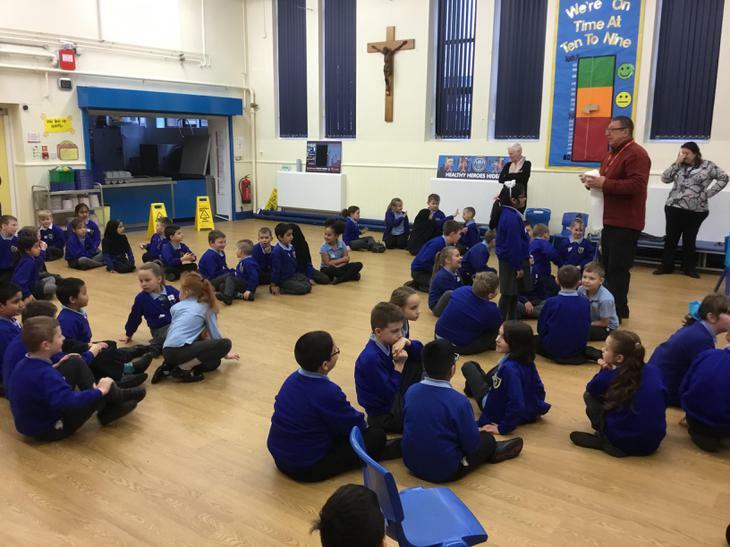 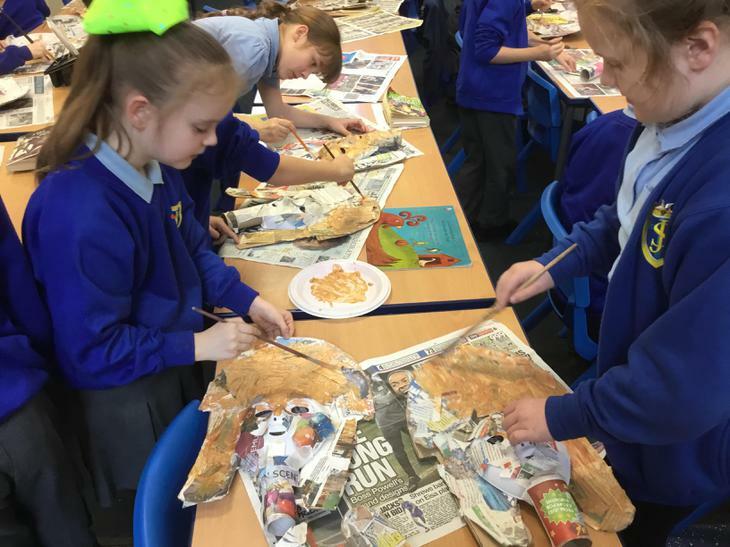 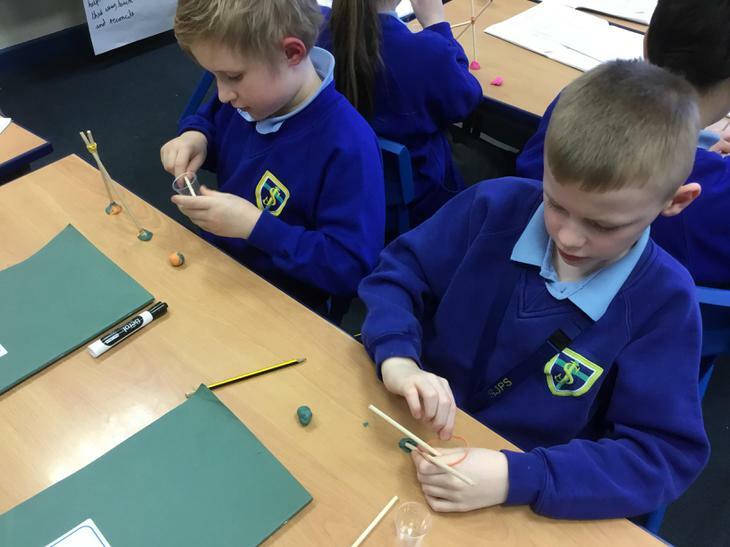 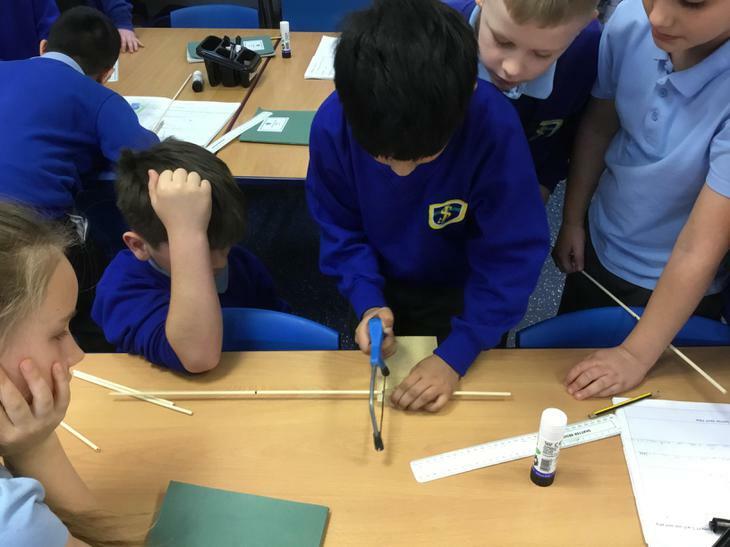 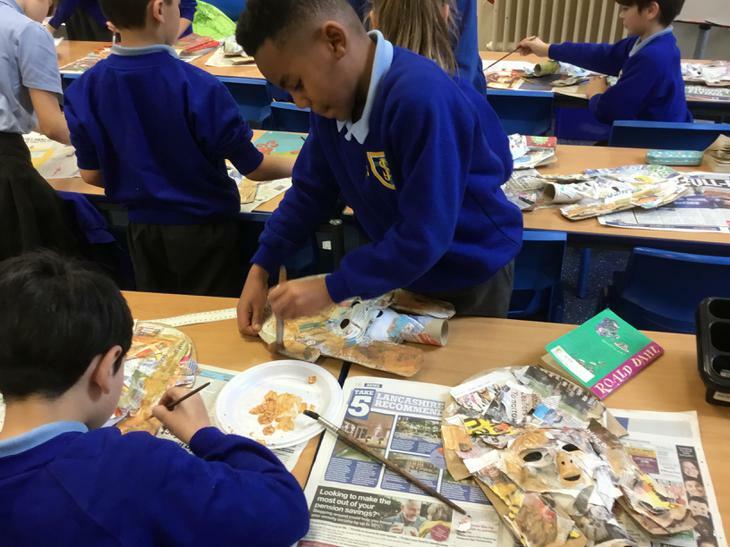 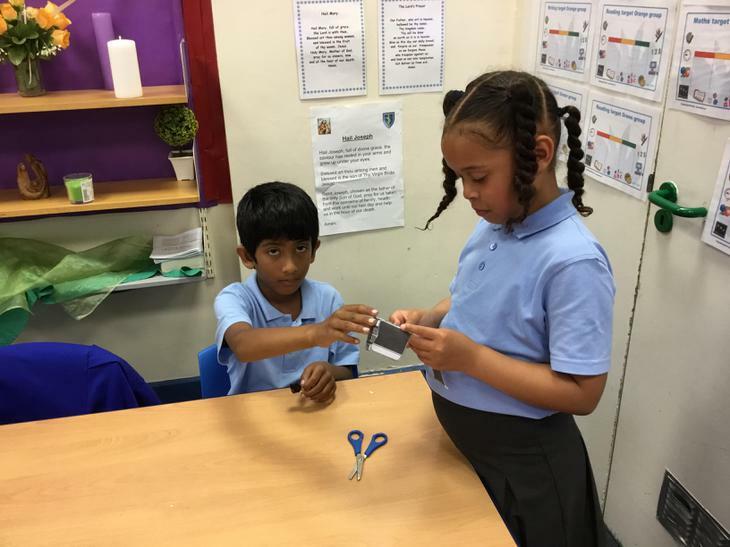 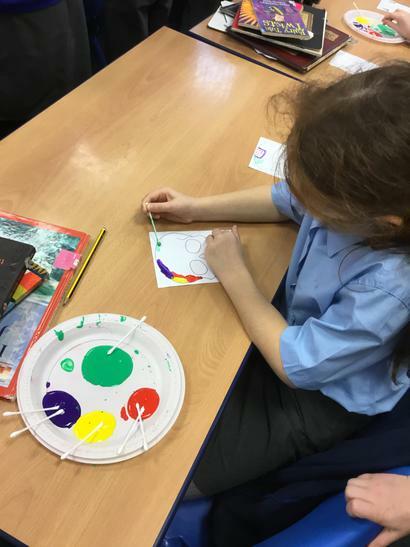 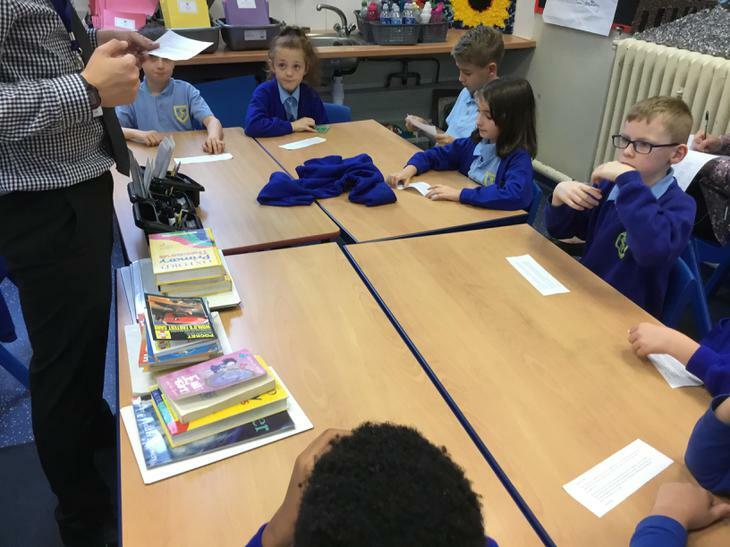 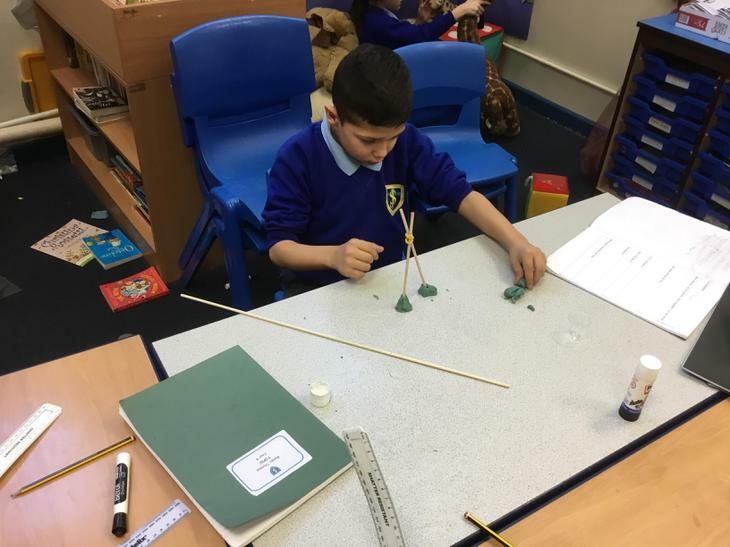 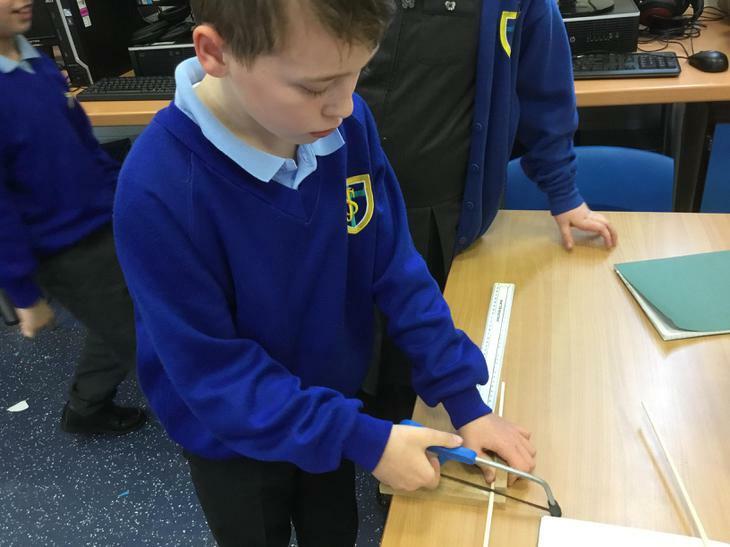 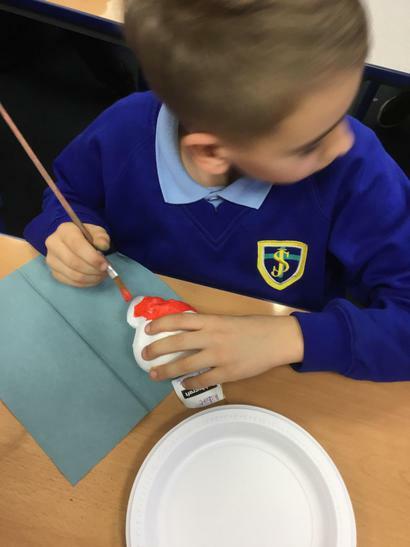 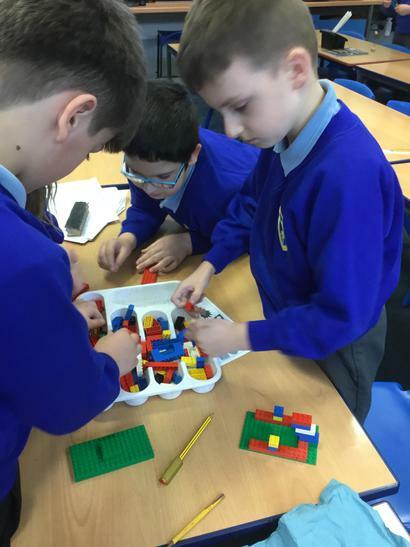 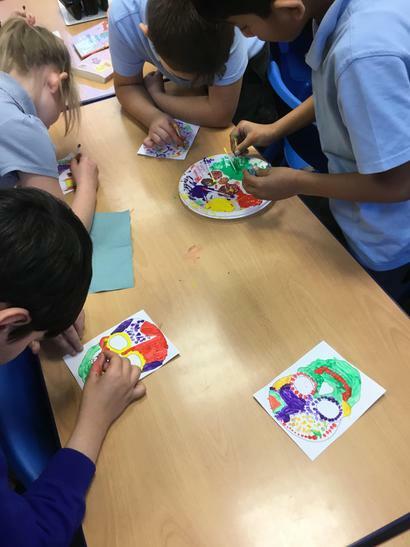 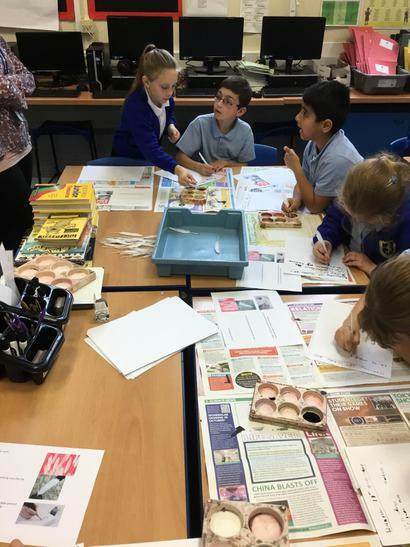 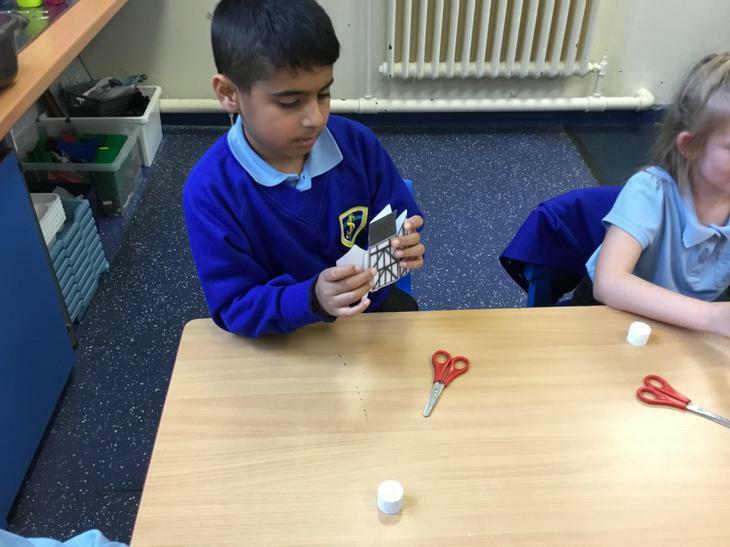 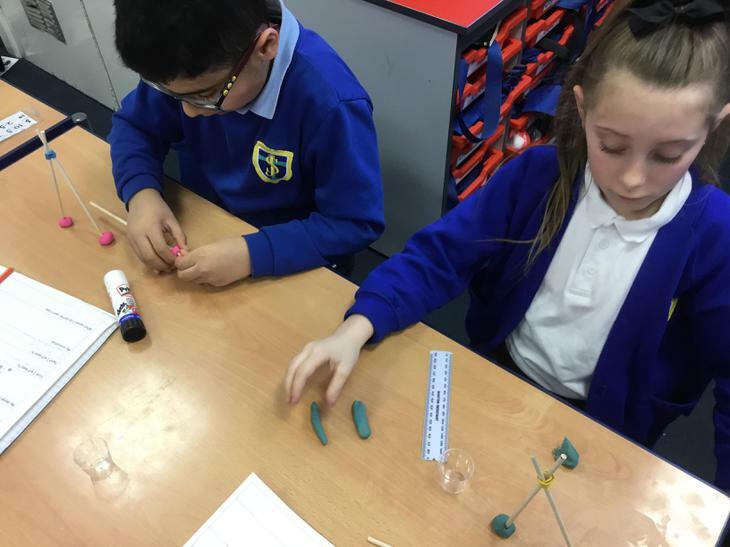 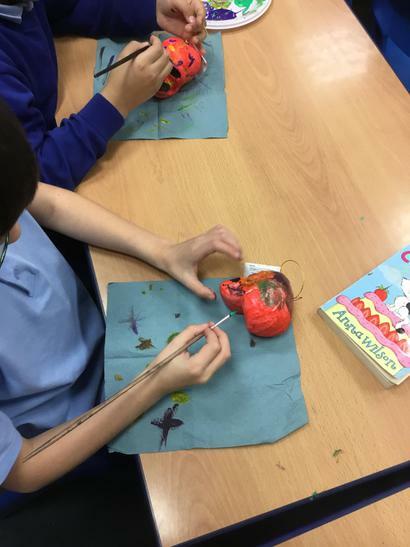 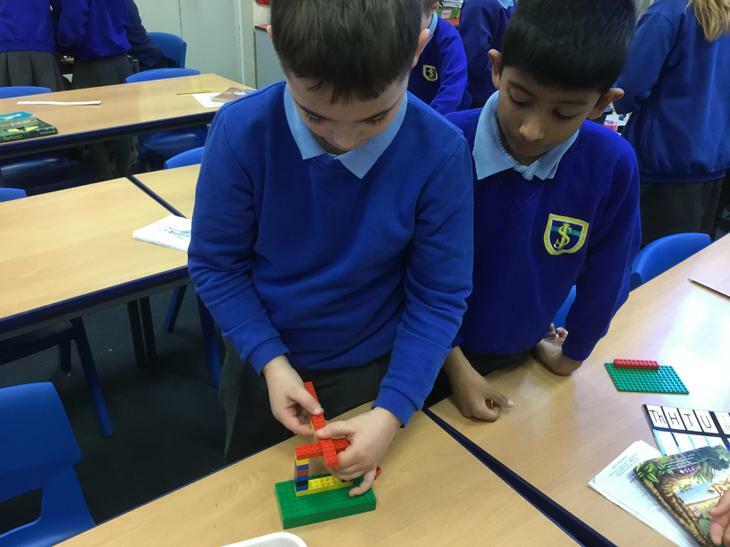 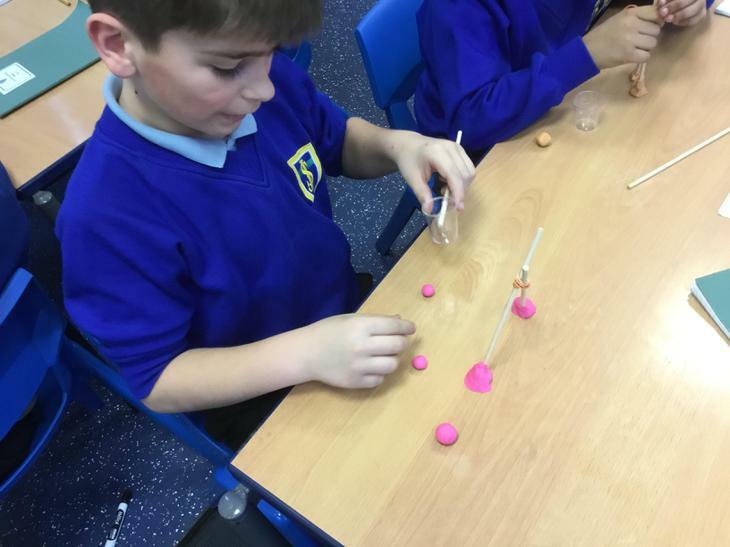 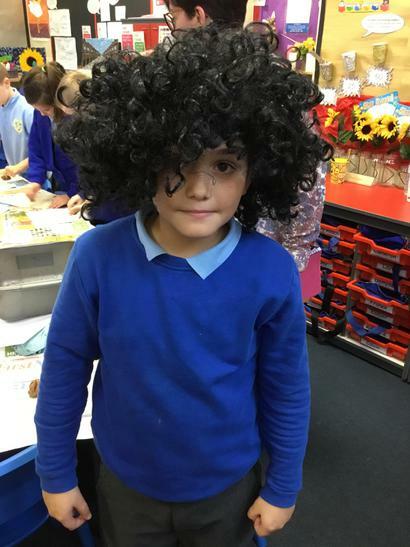 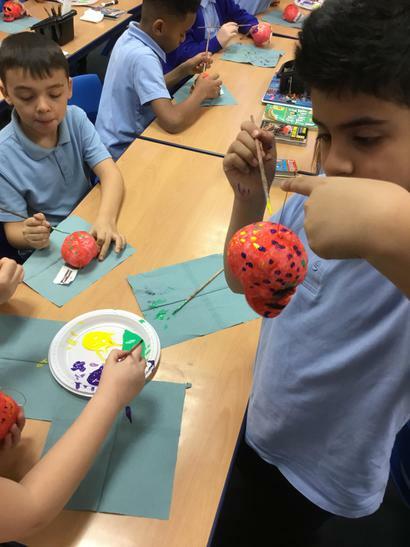 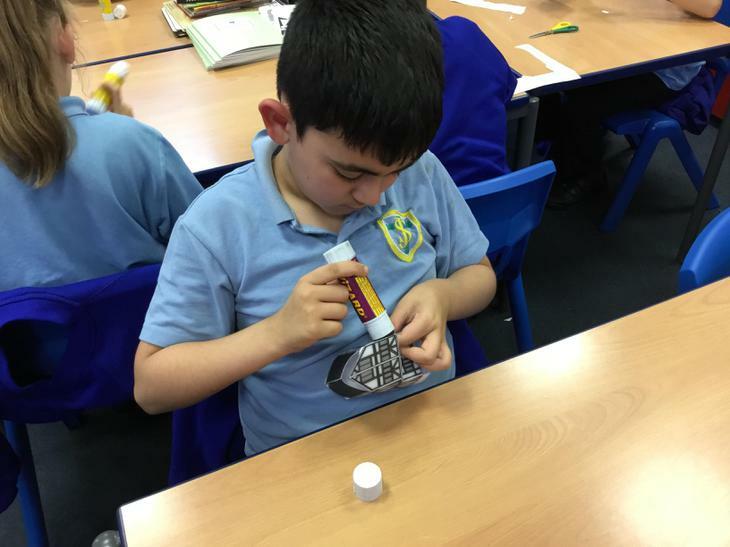 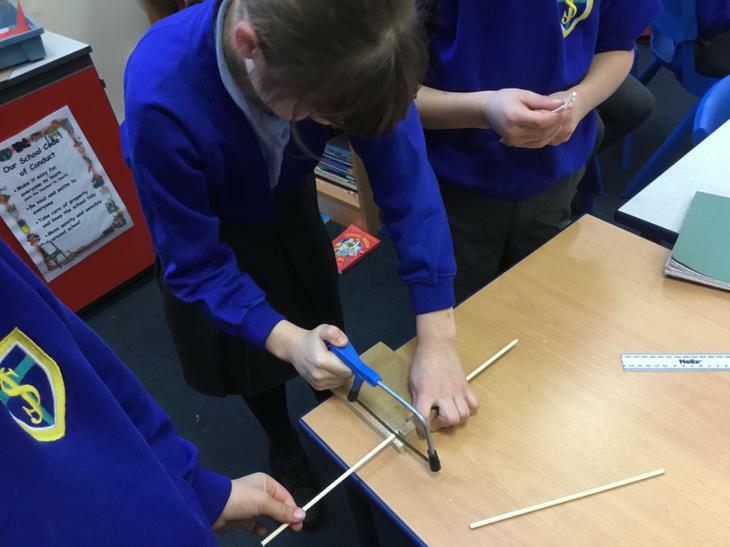 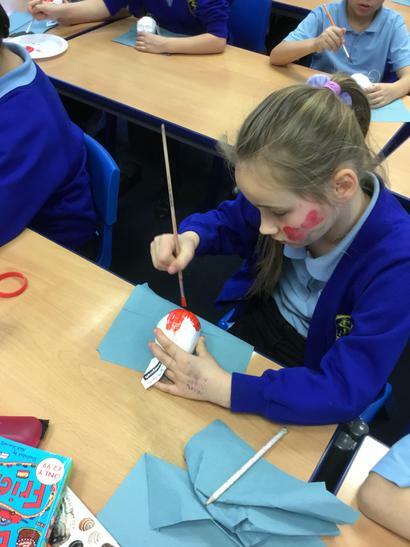 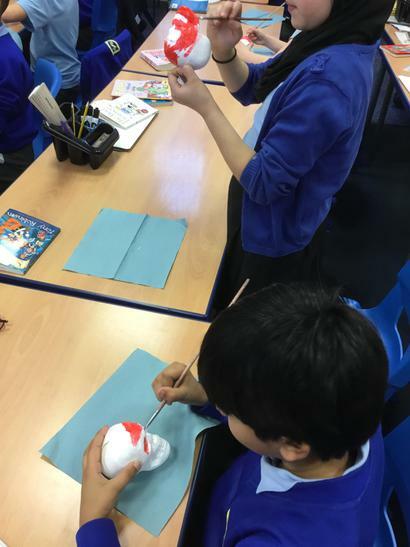 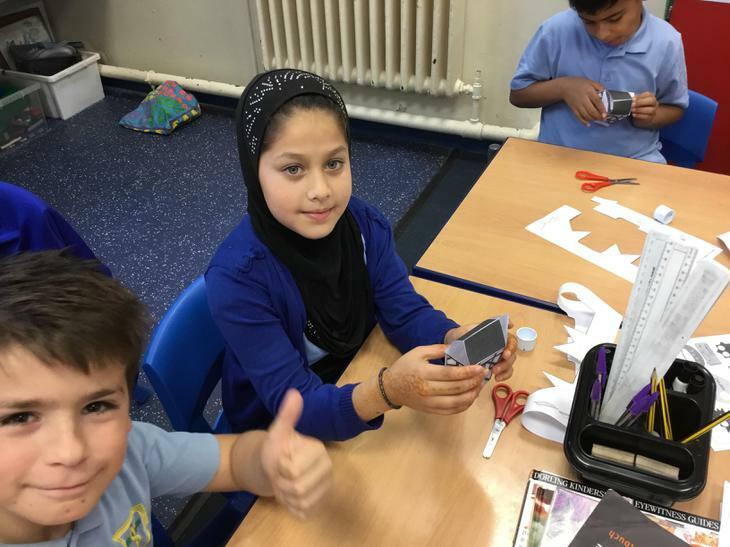 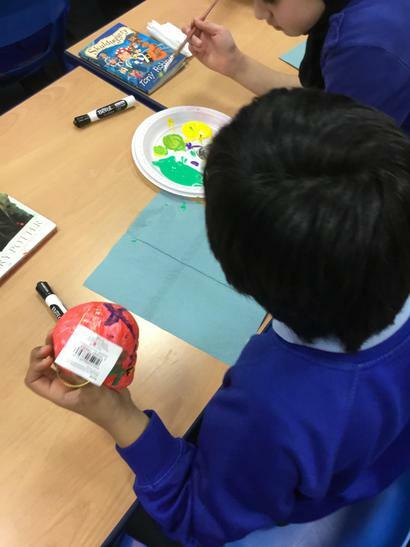 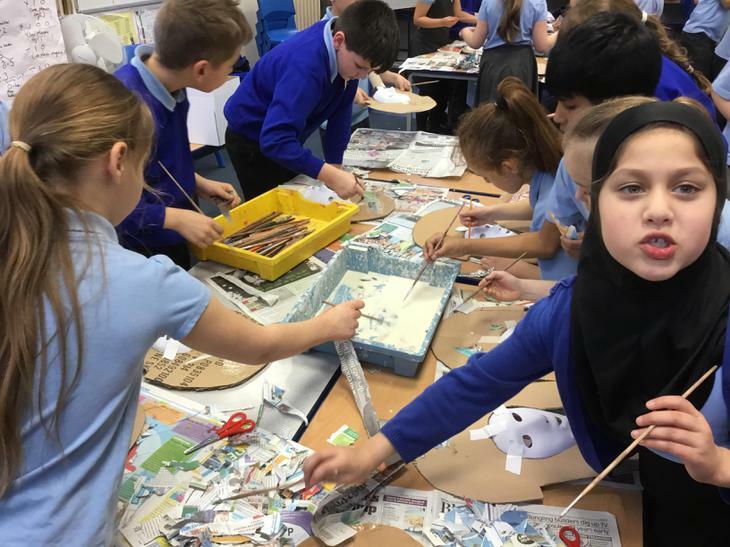 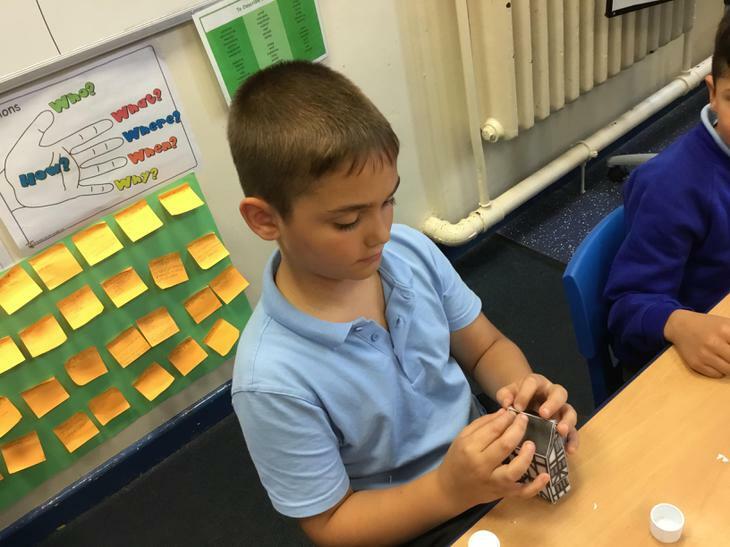 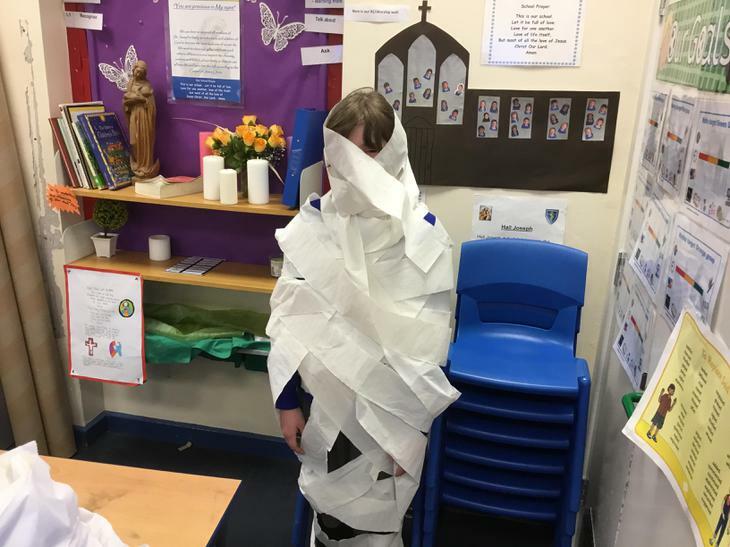 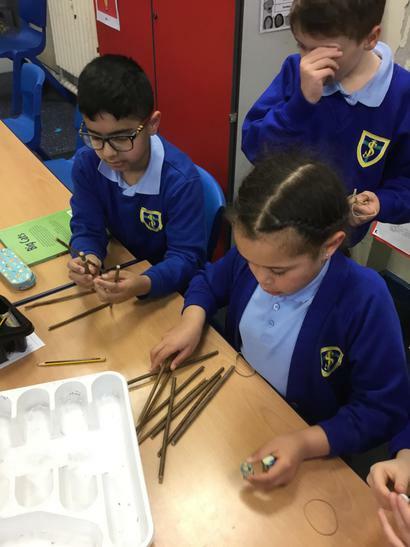 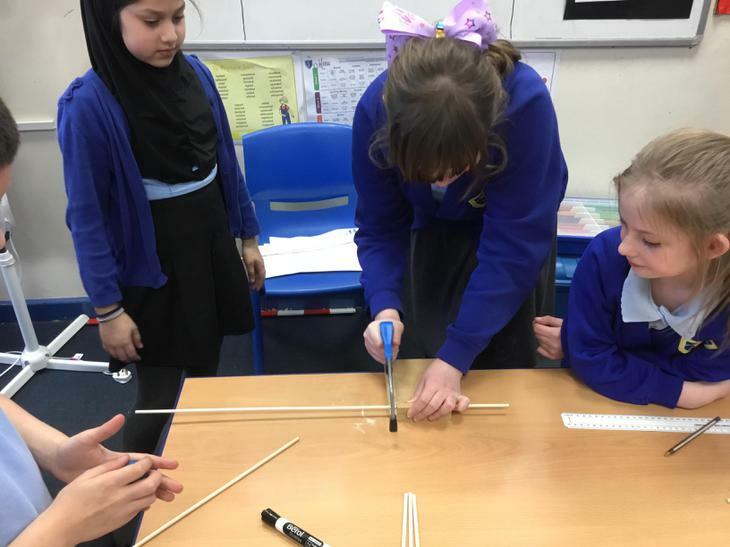 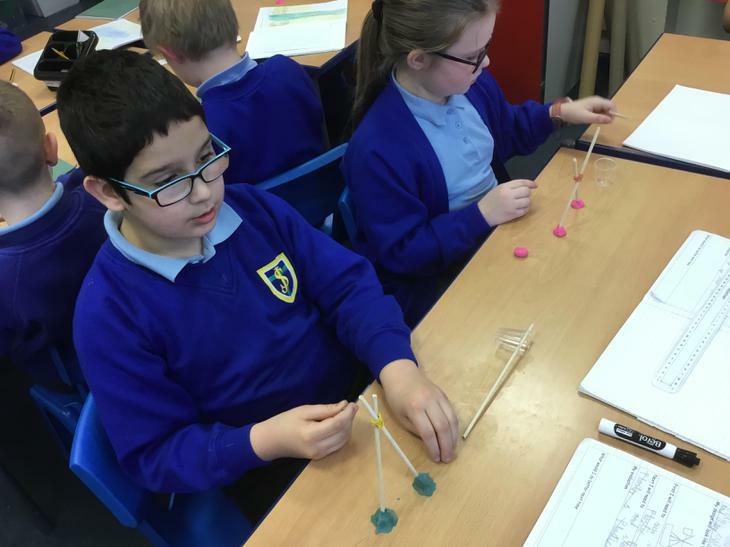 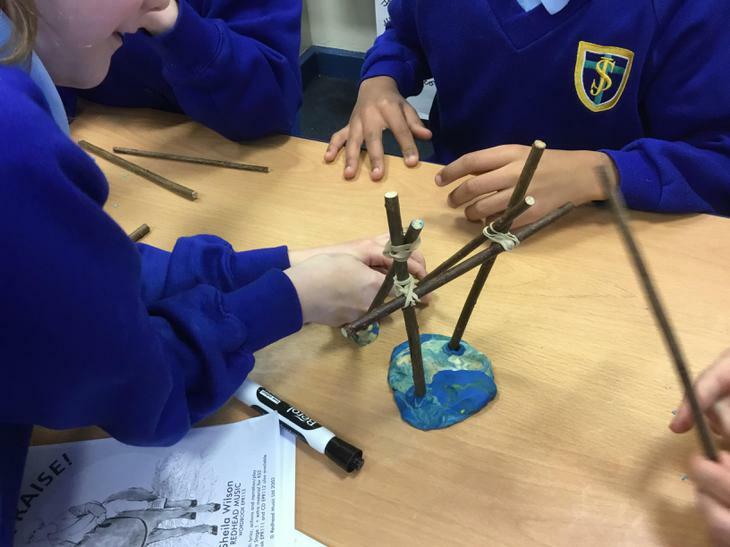 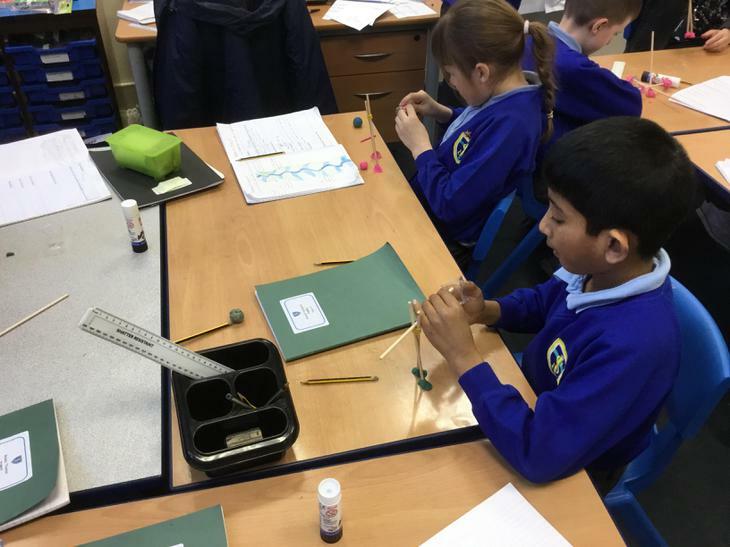 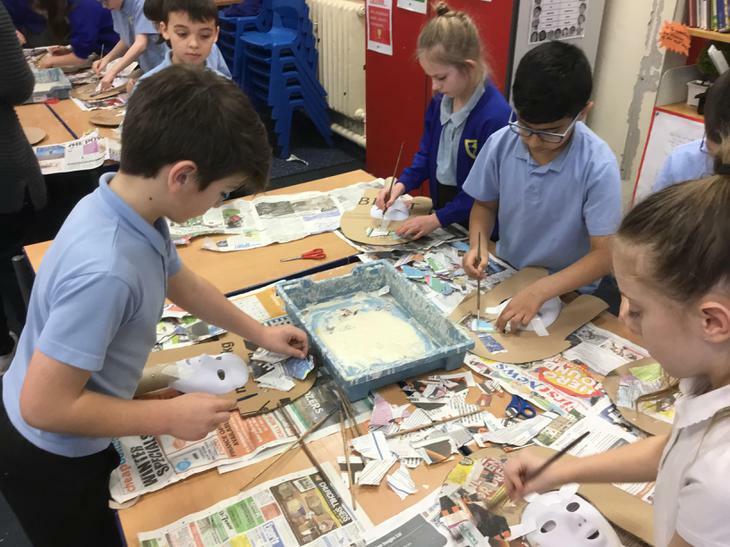 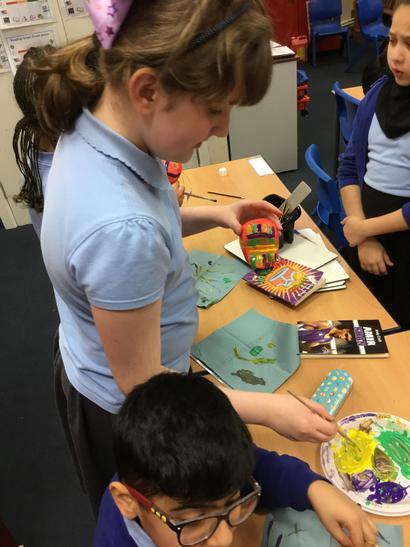 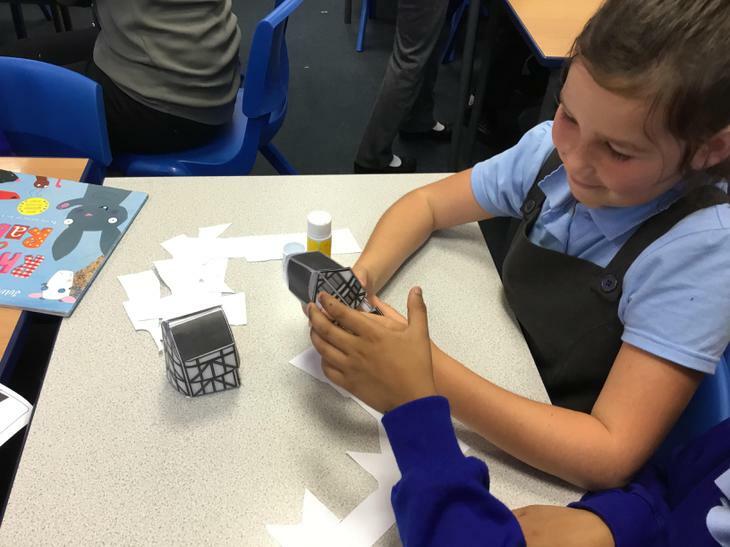 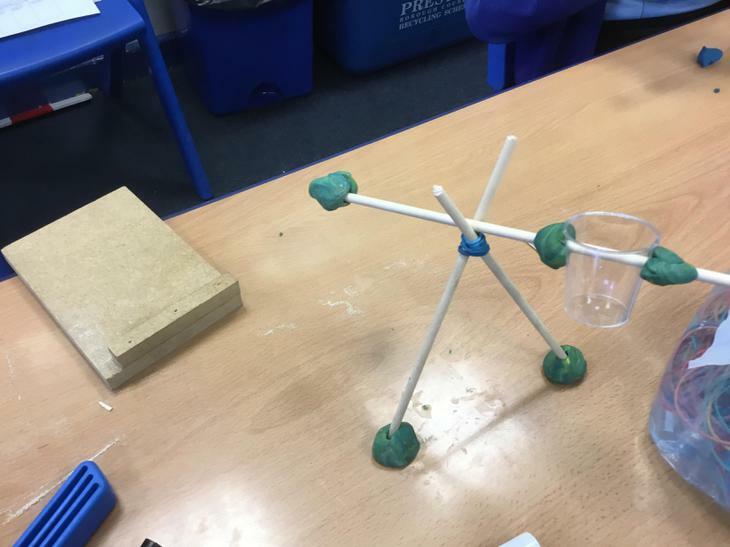 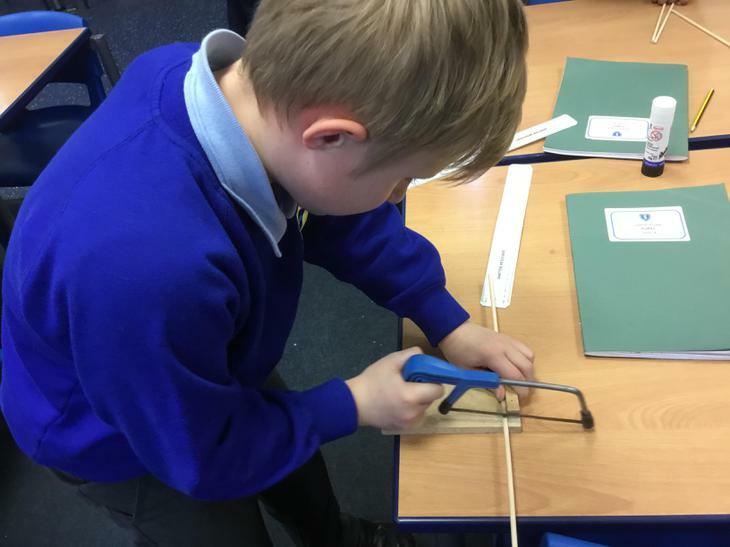 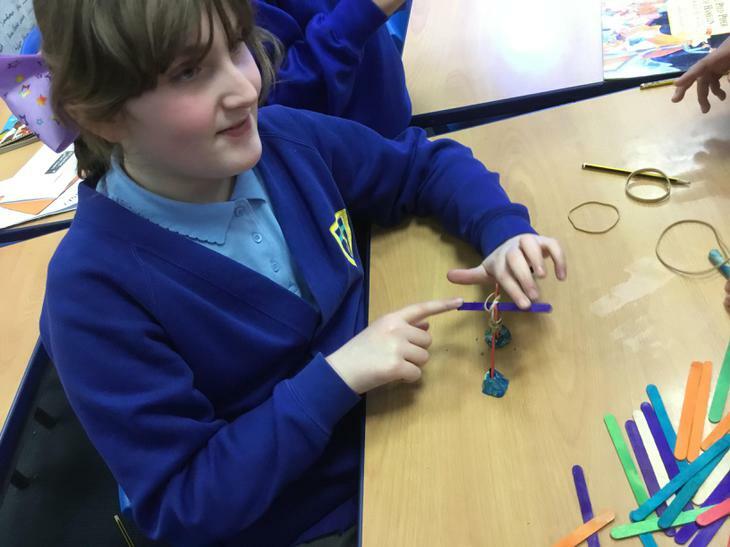 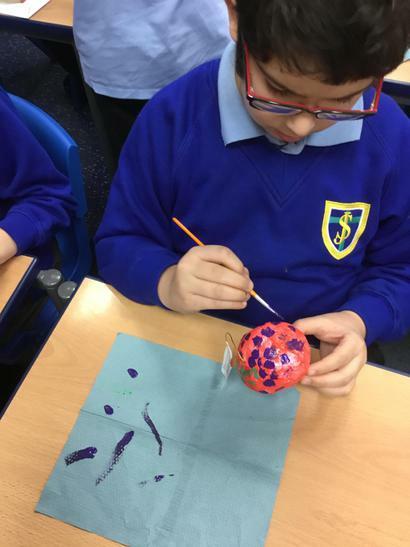 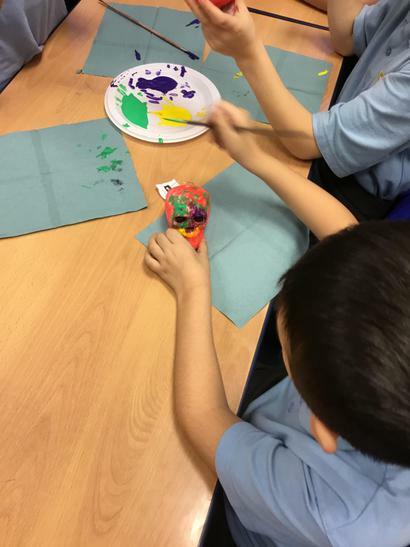 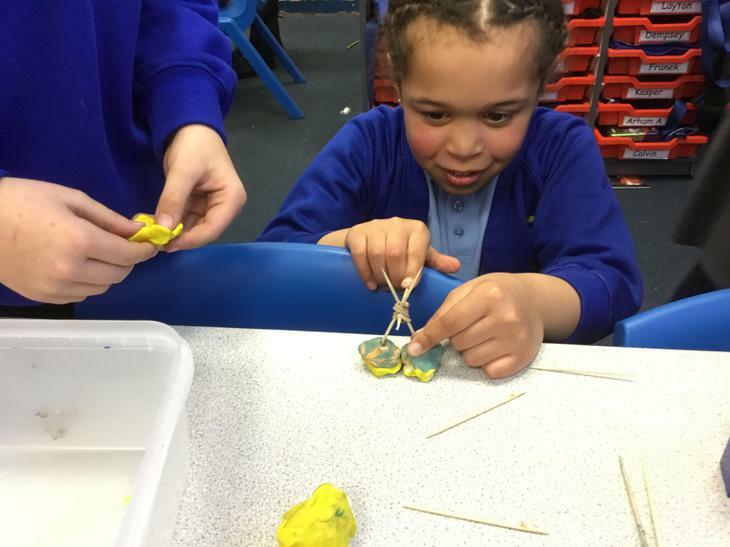 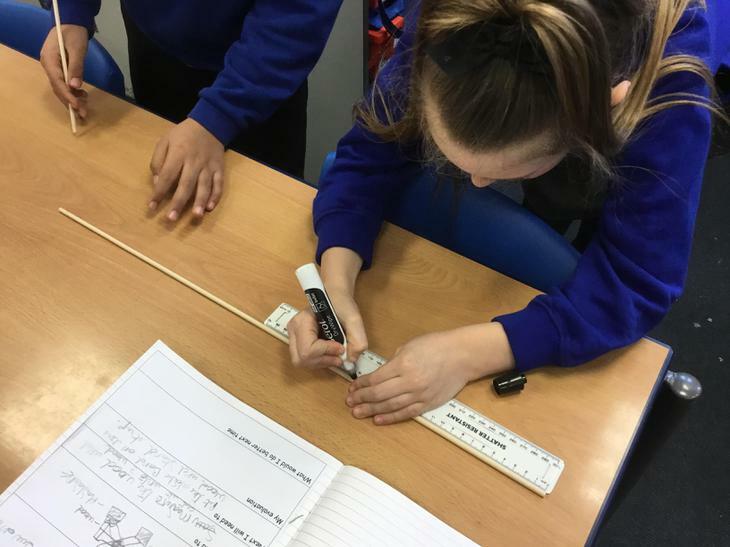 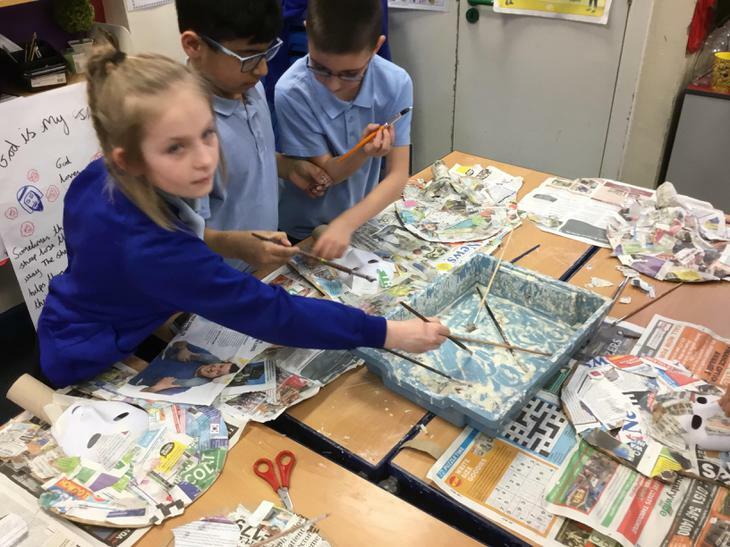 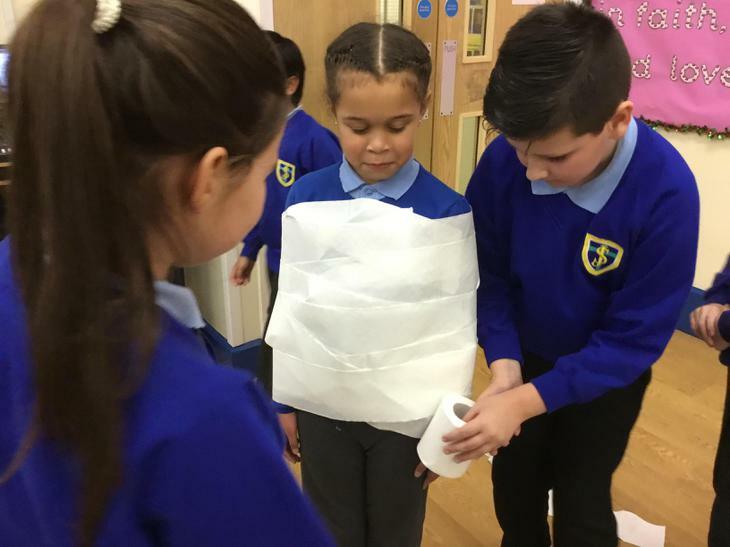 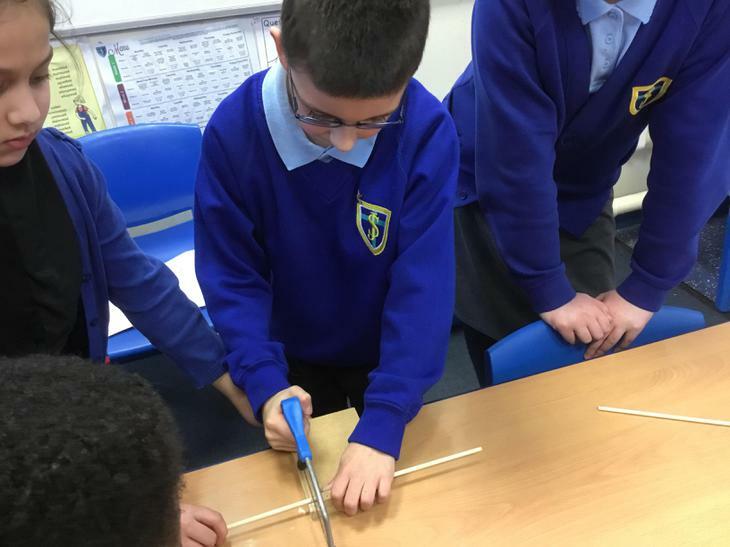 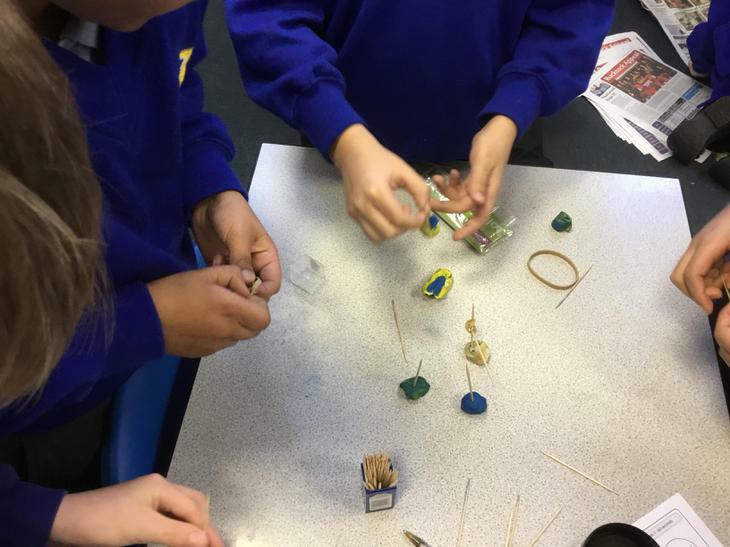 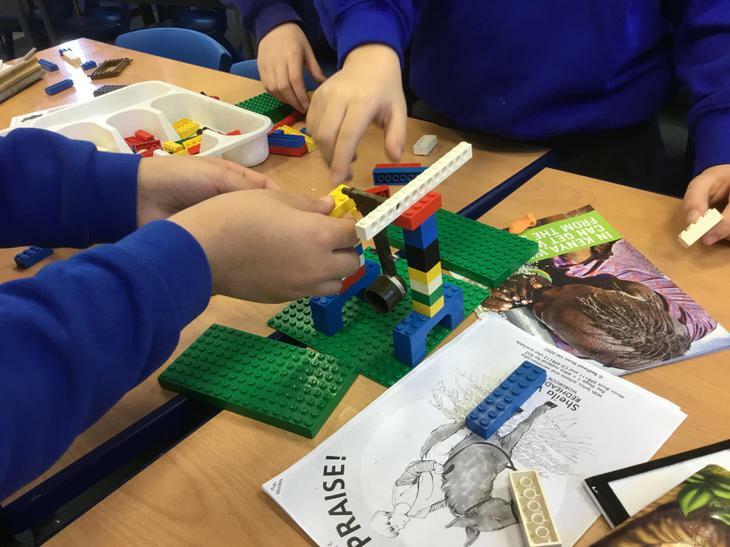 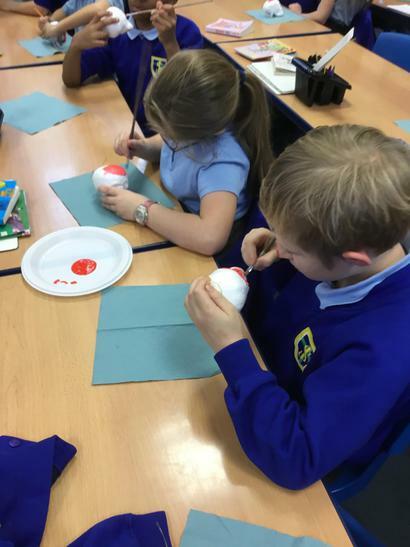 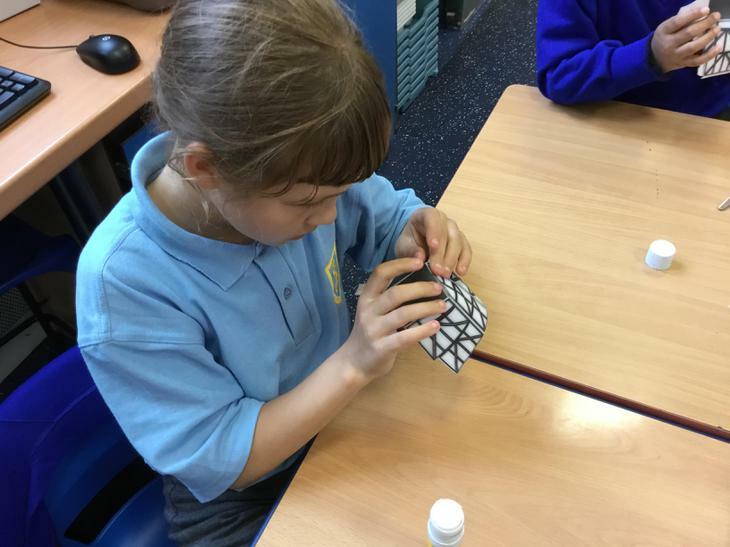 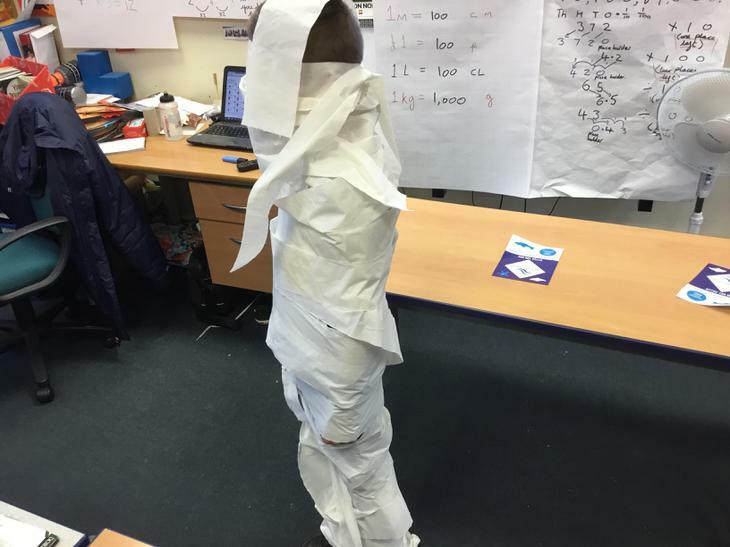 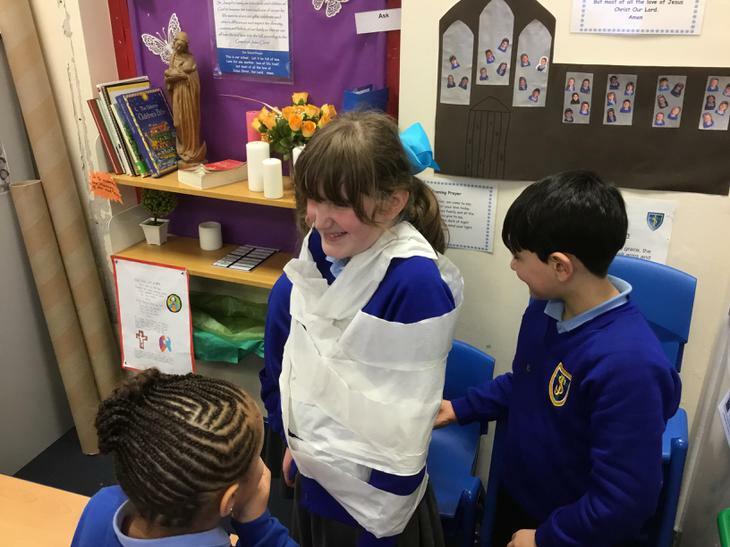 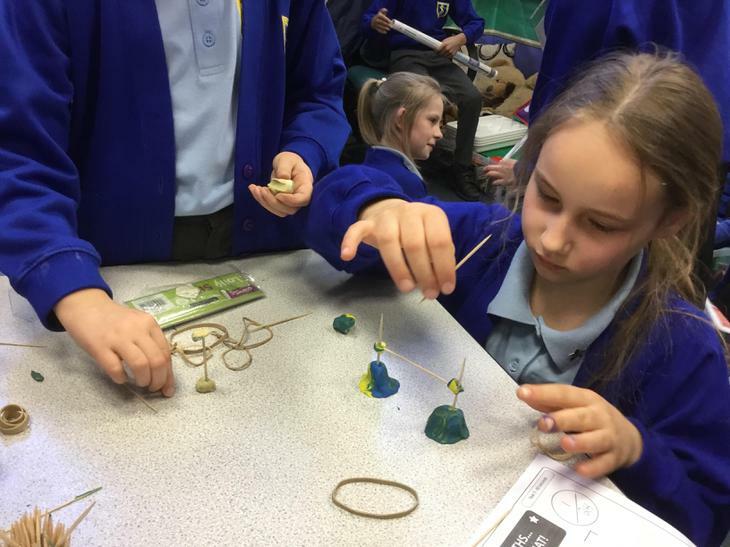 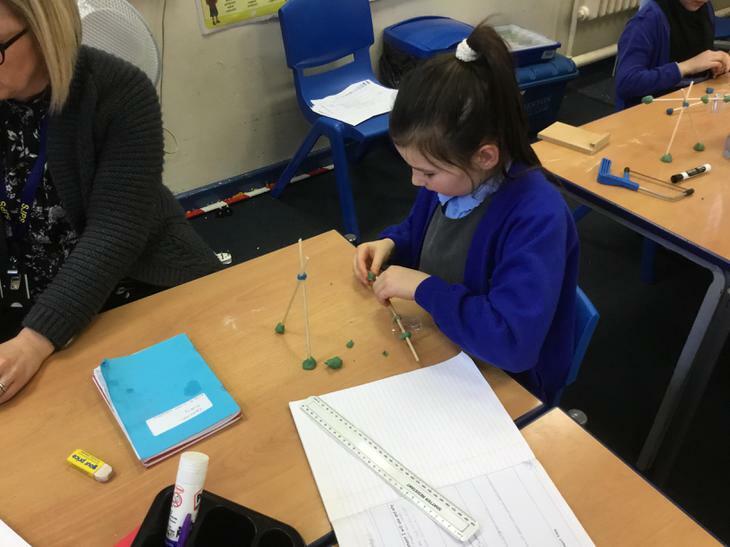 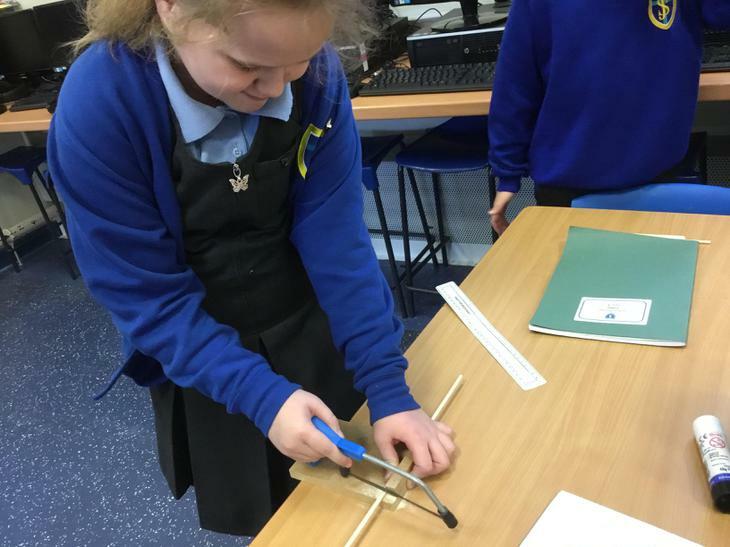 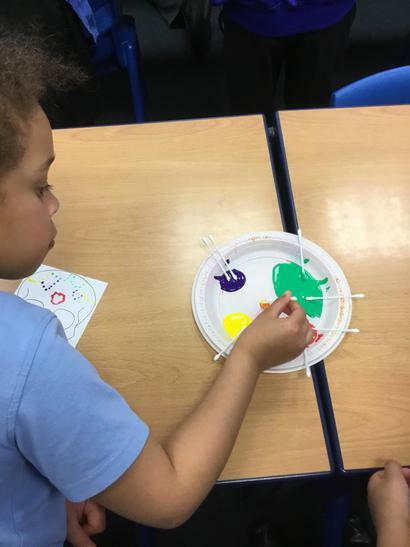 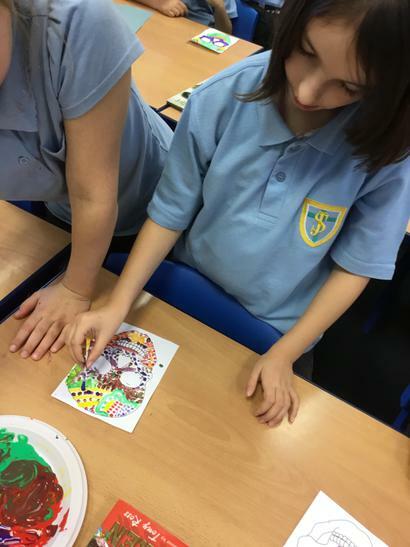 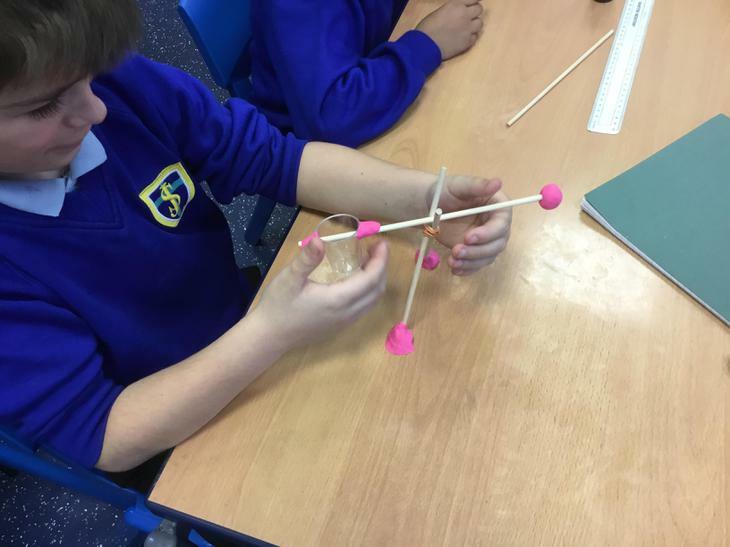 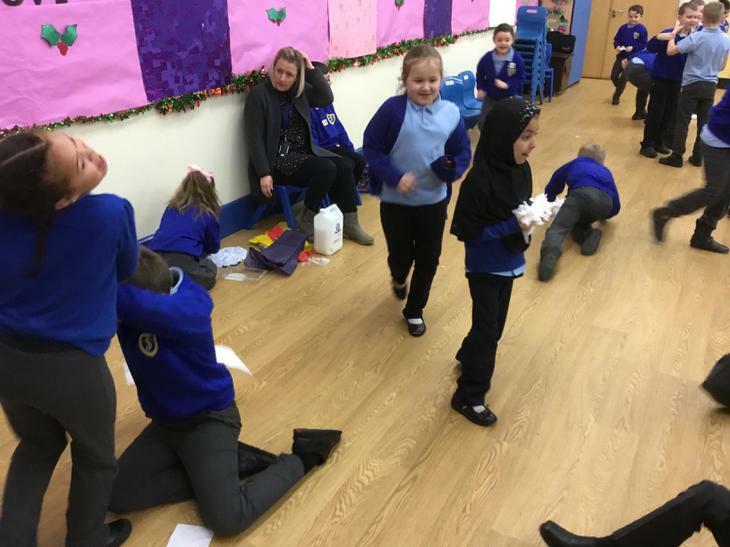 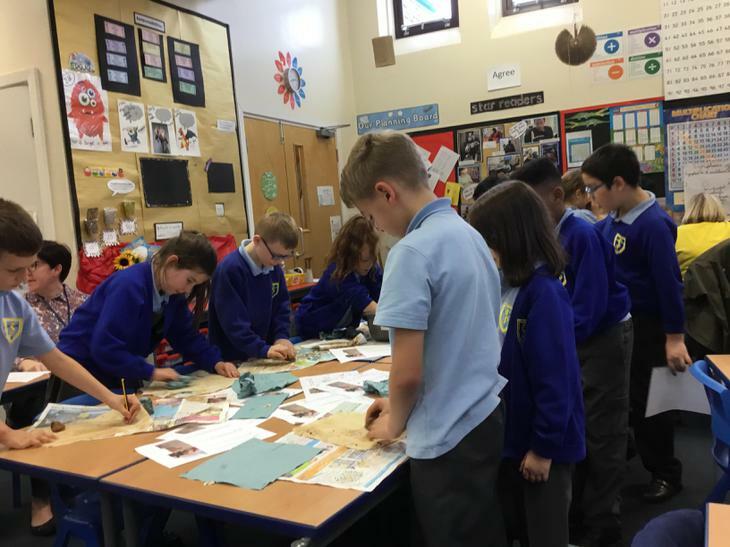 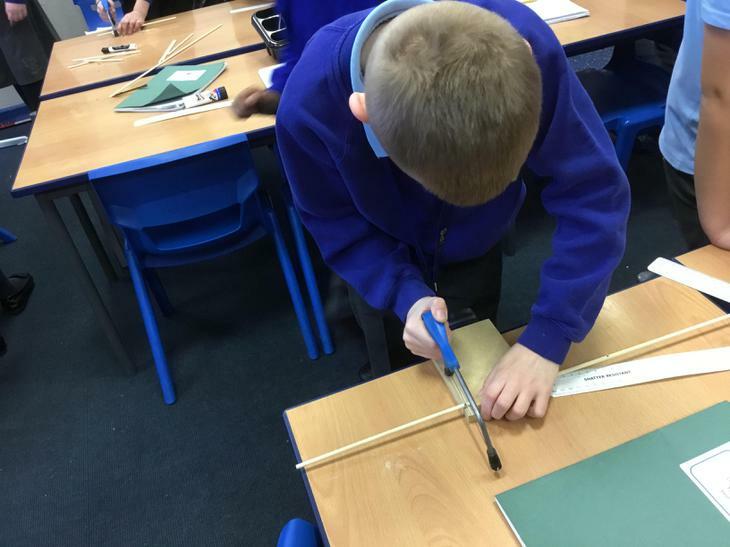 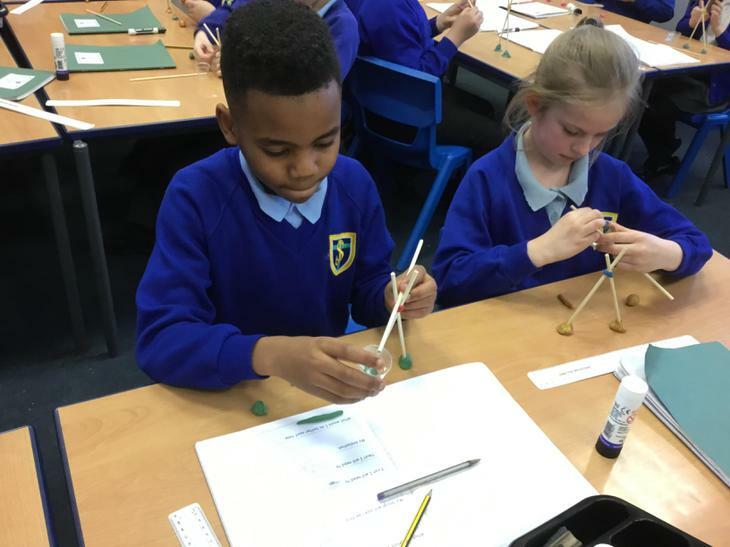 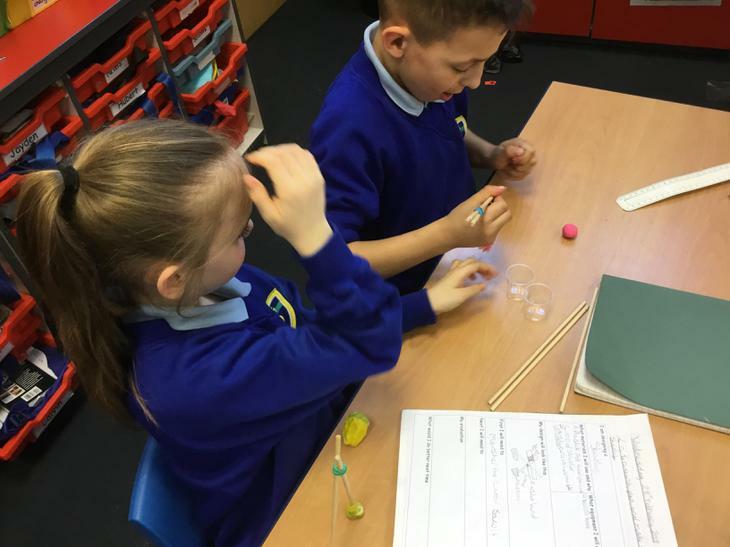 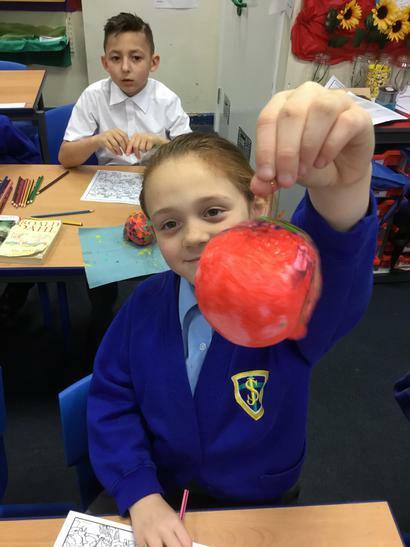 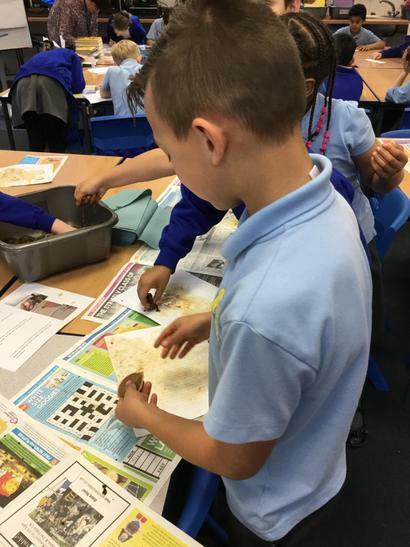 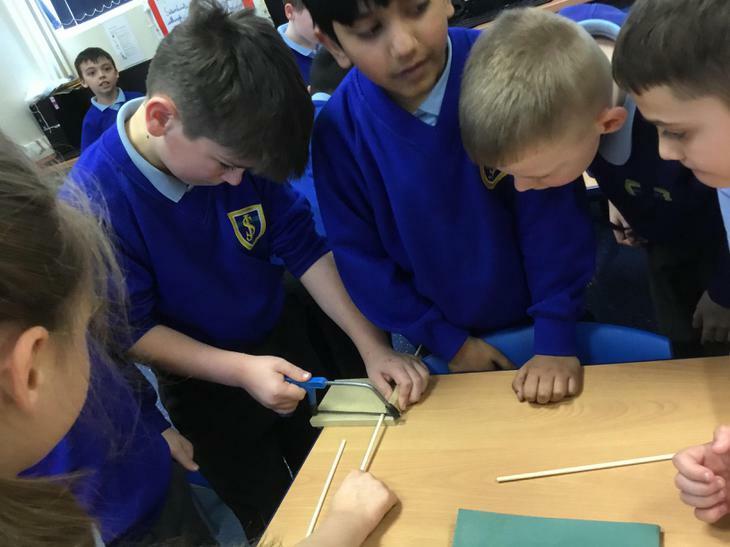 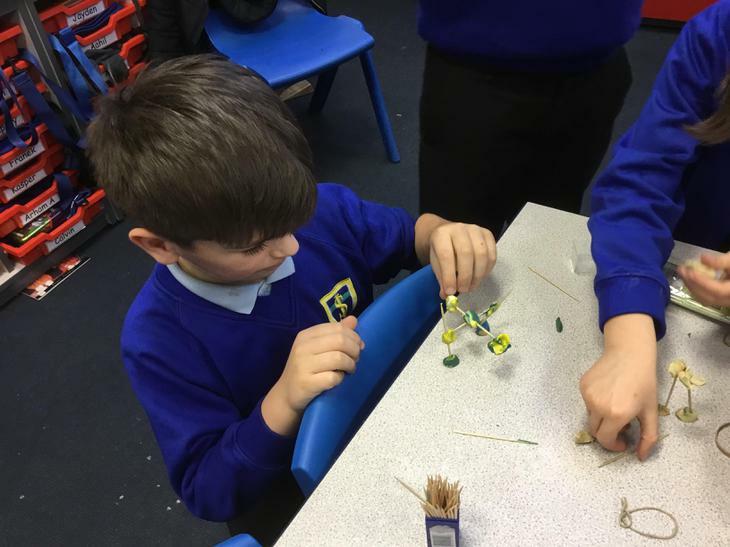 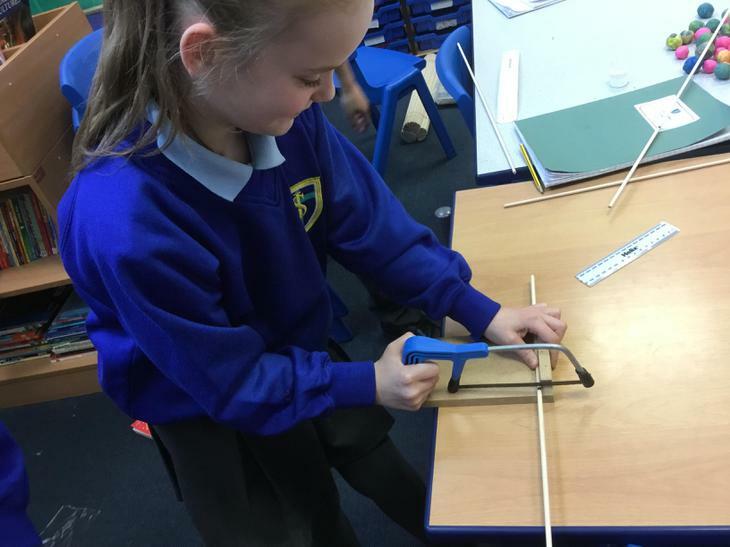 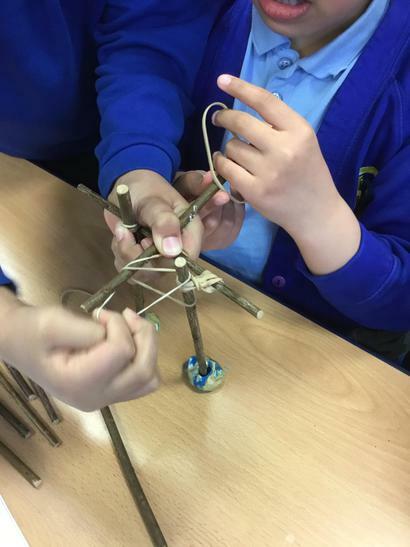 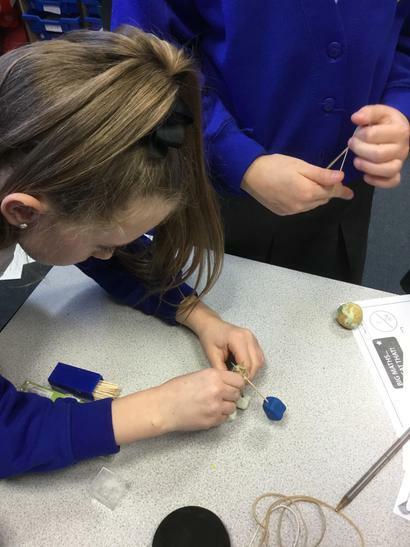 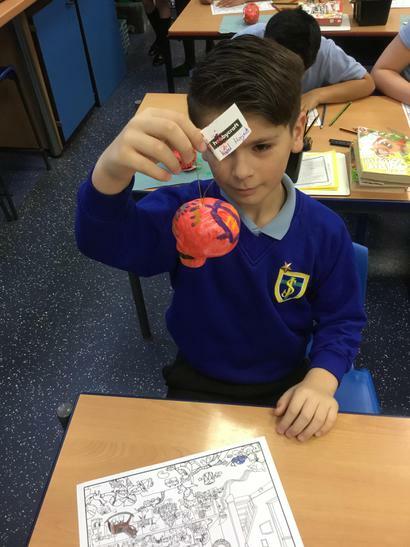 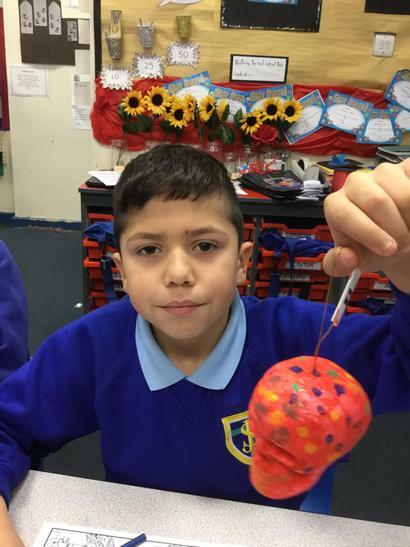 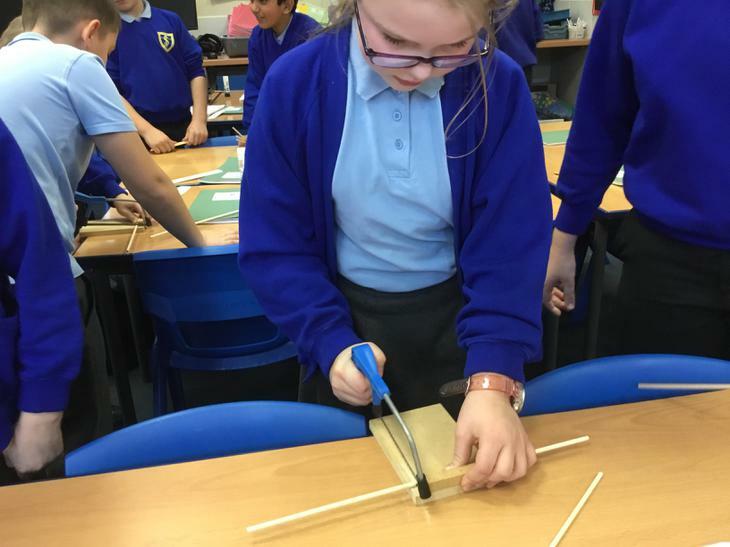 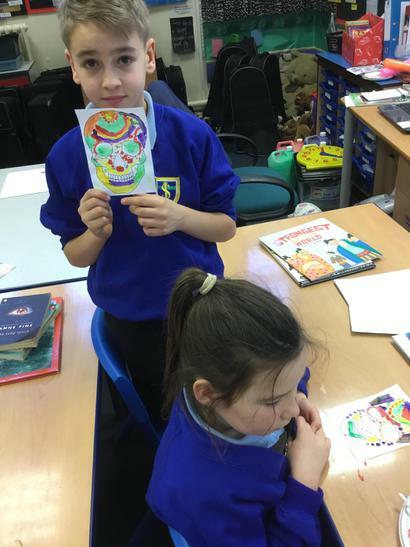 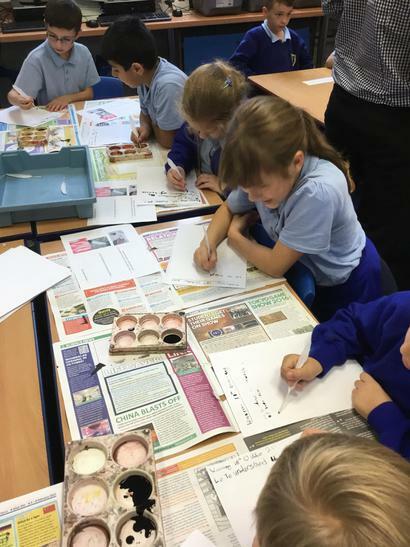 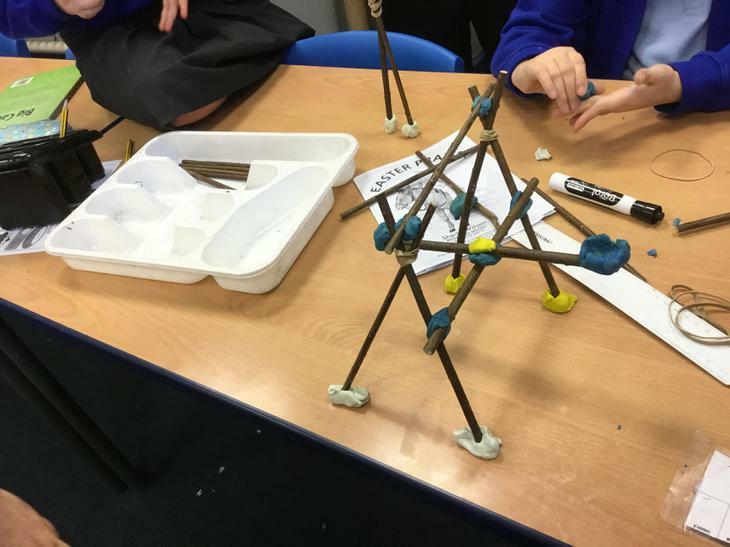 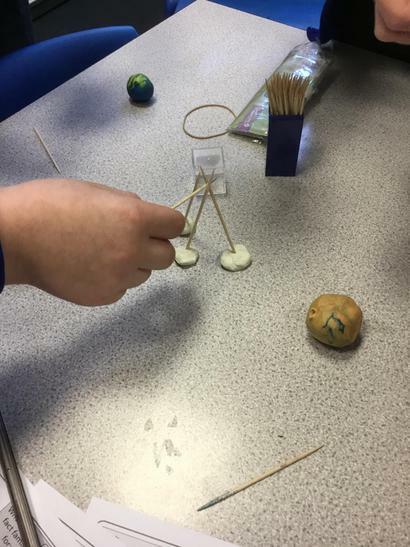 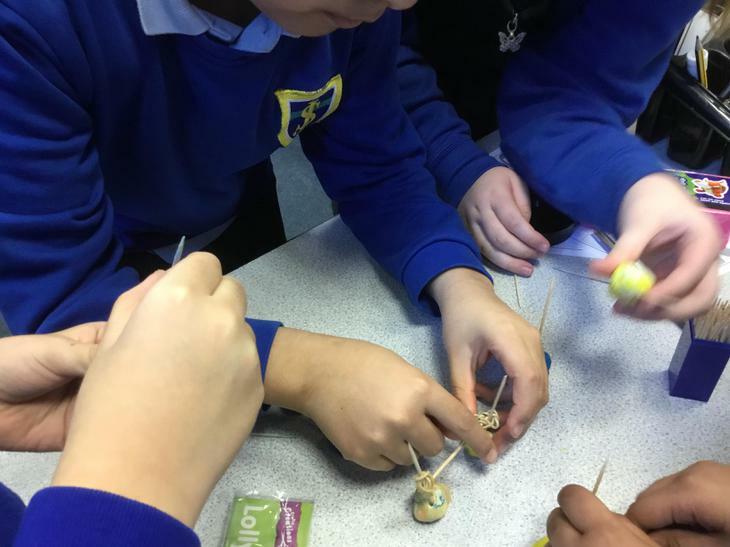 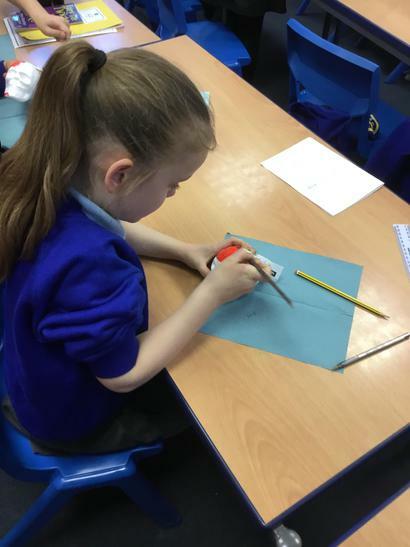 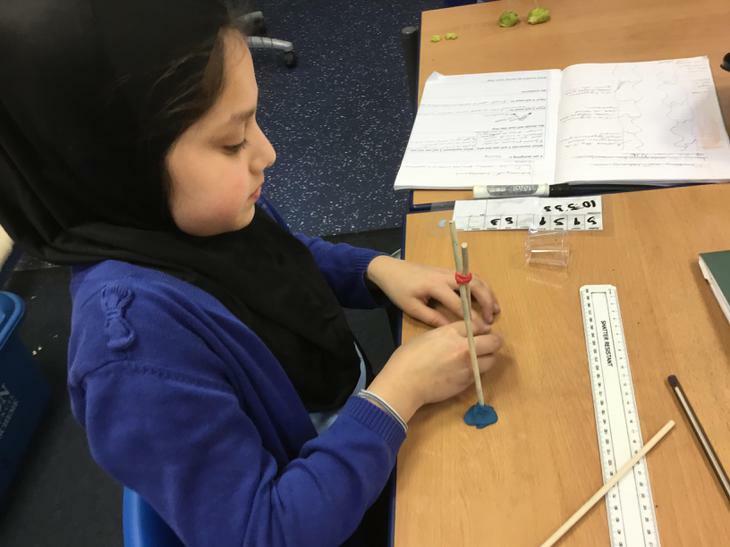 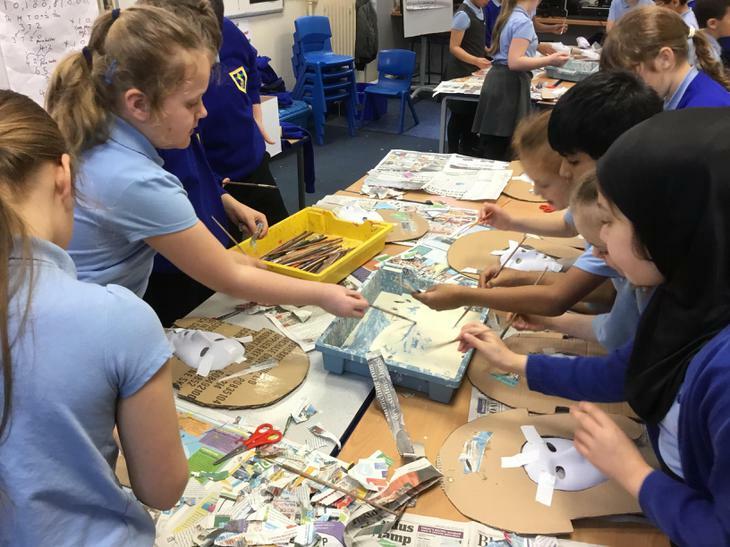 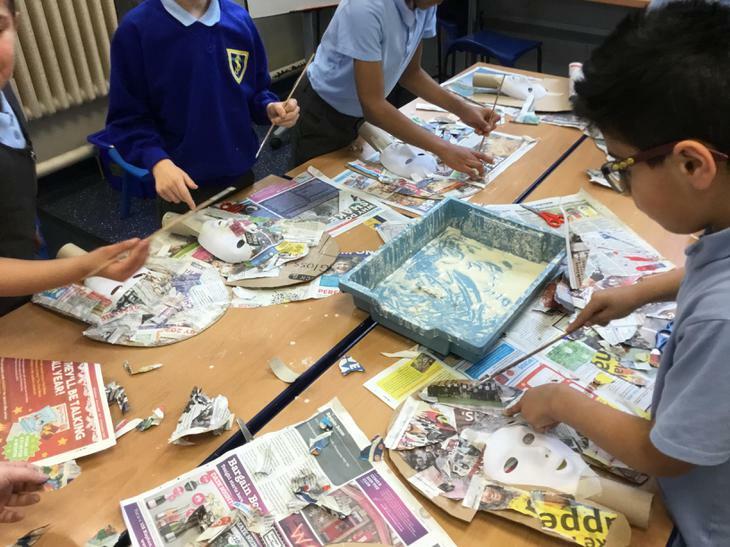 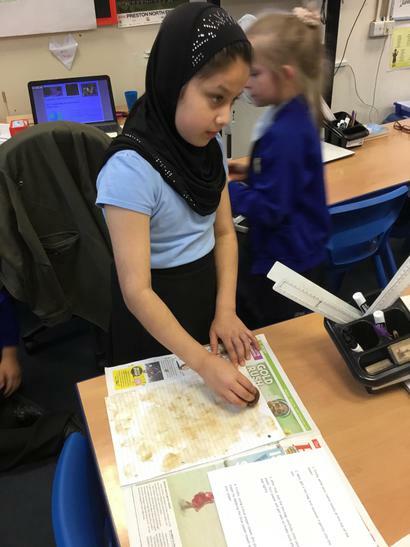 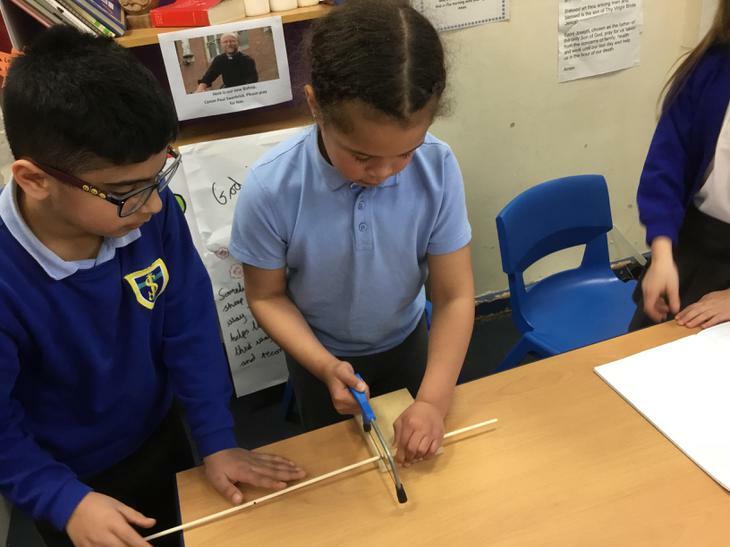 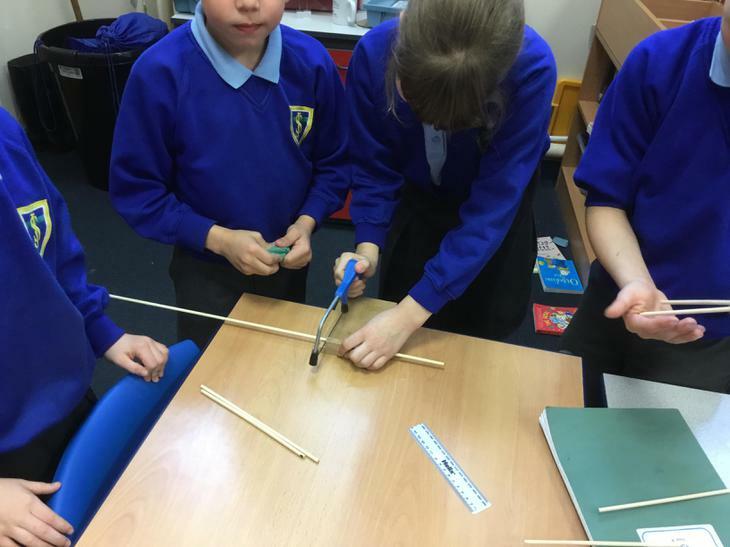 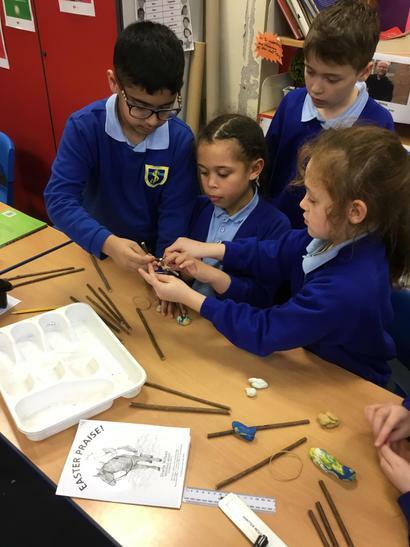 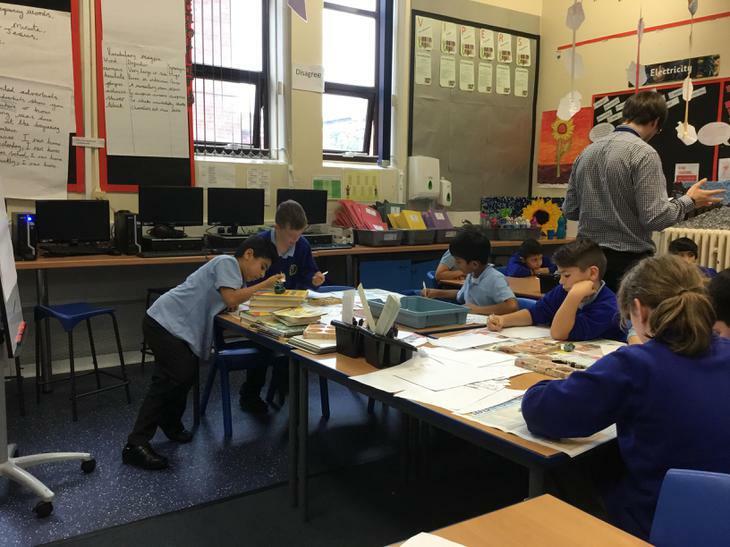 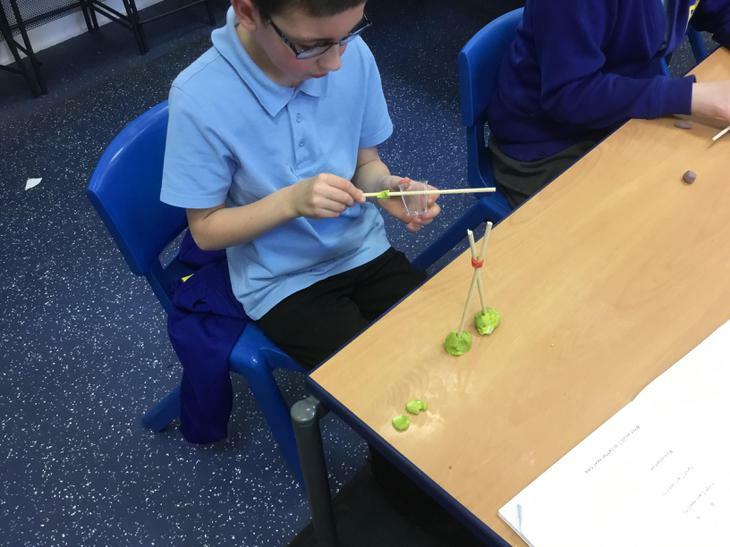 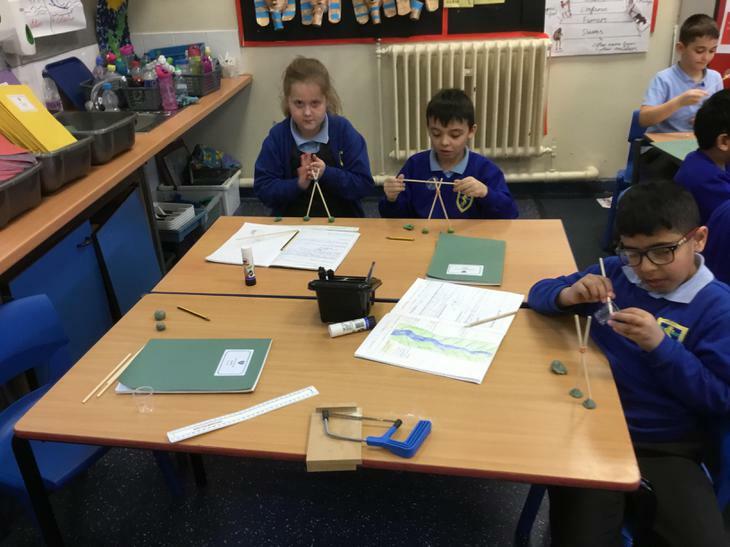 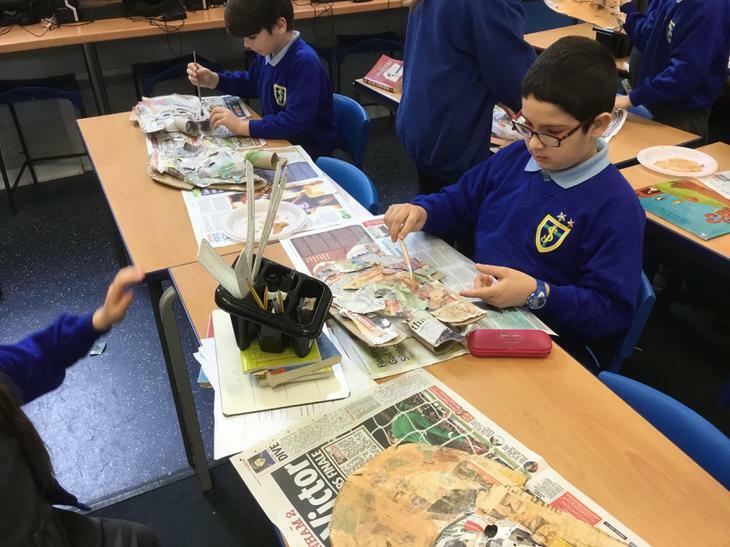 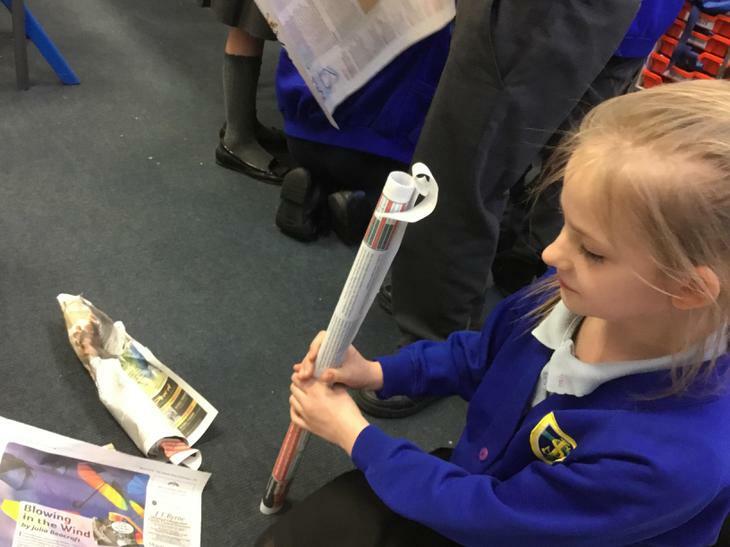 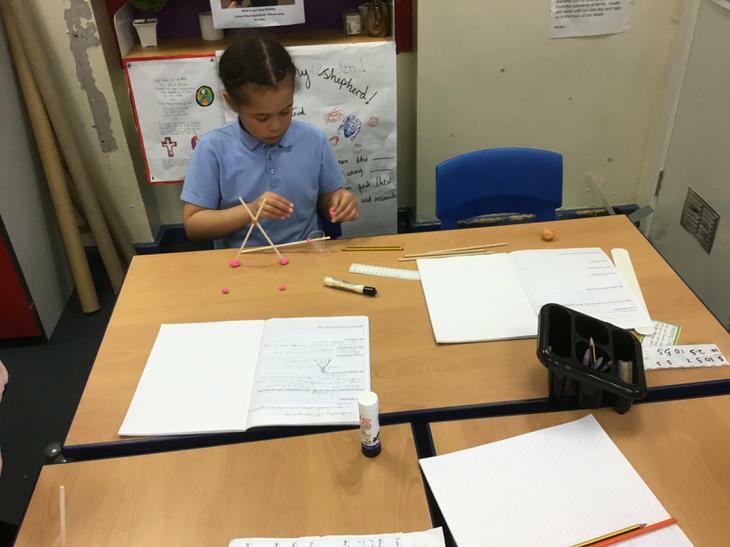 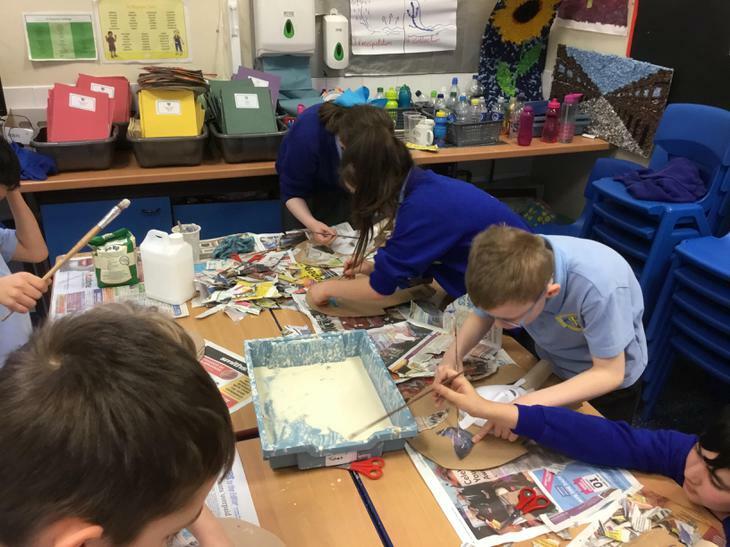 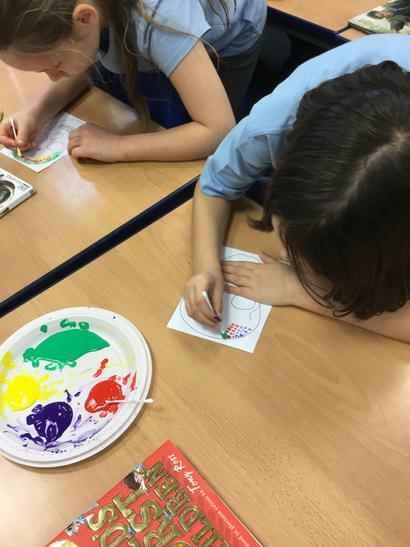 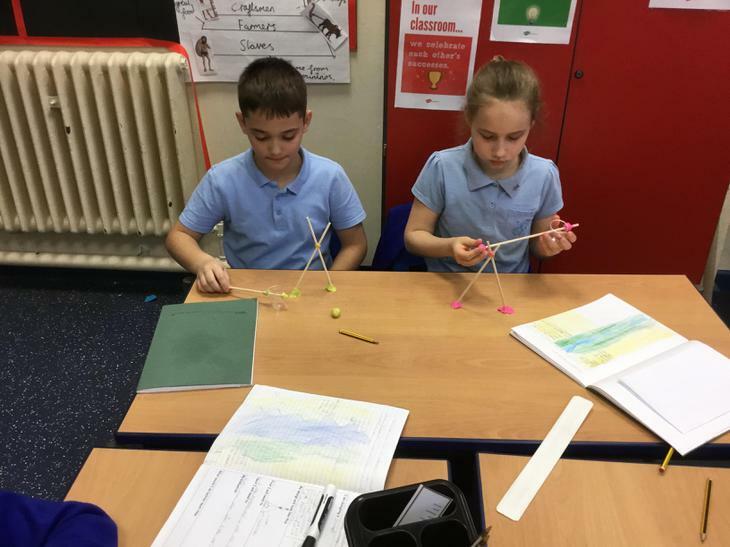 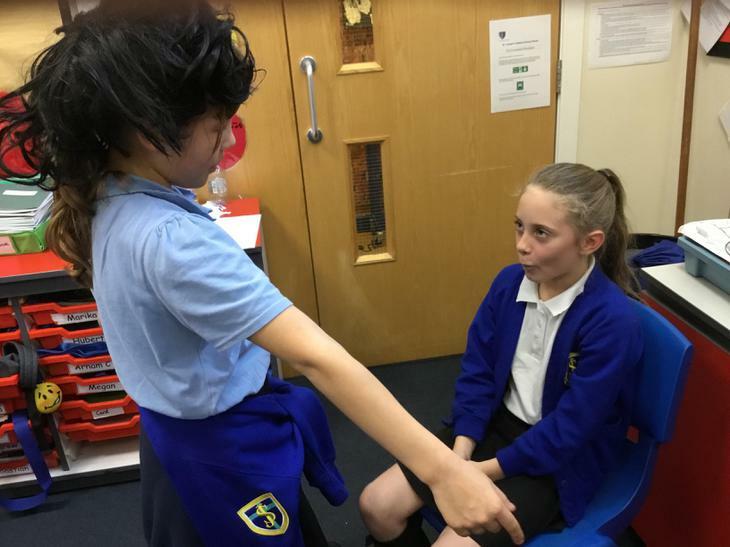 The children chose the materials and equipment they needed. 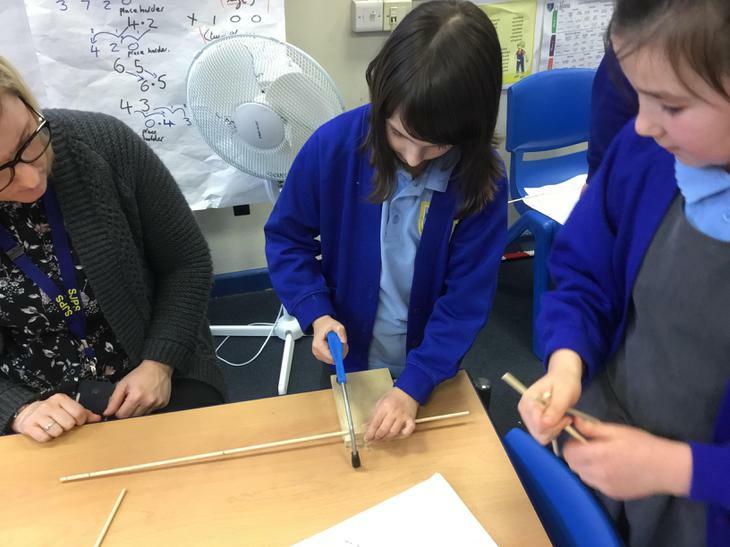 It was the first time the children were able to use a saw. 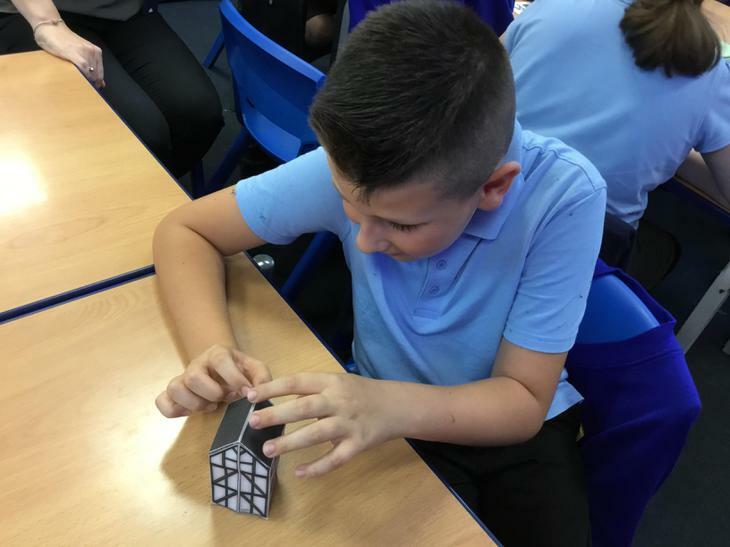 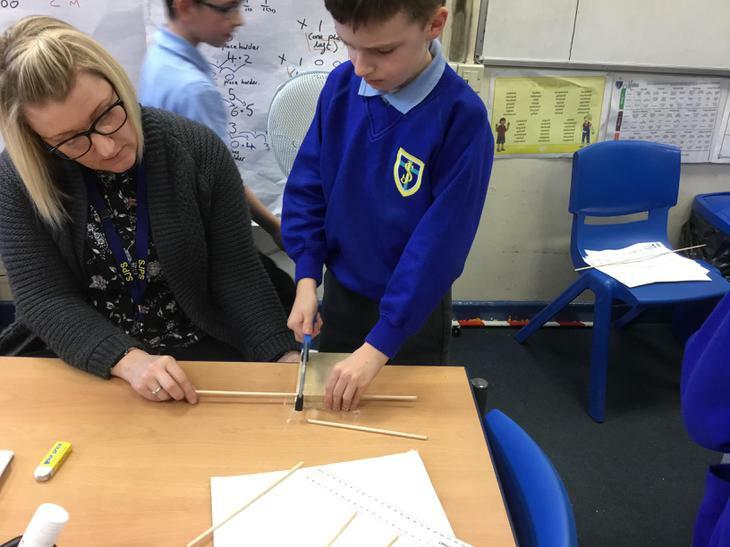 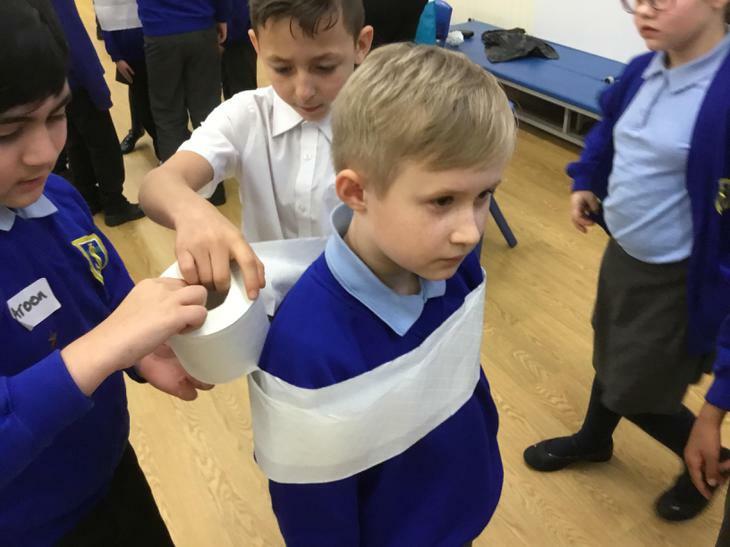 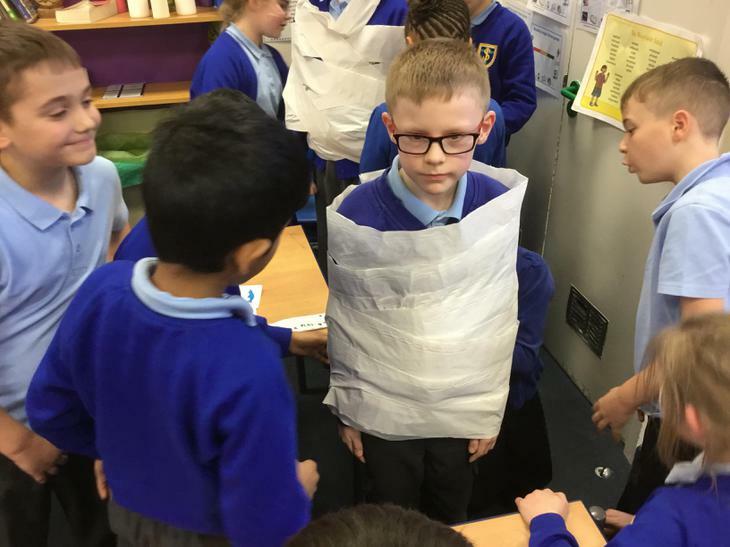 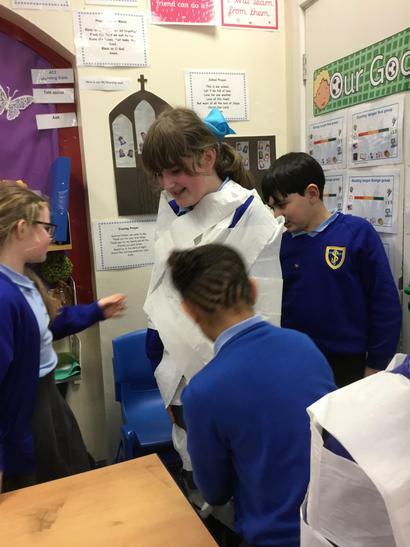 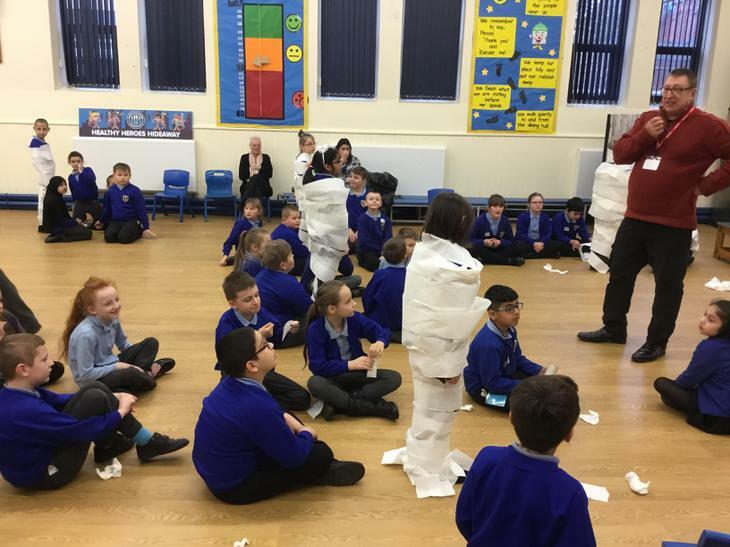 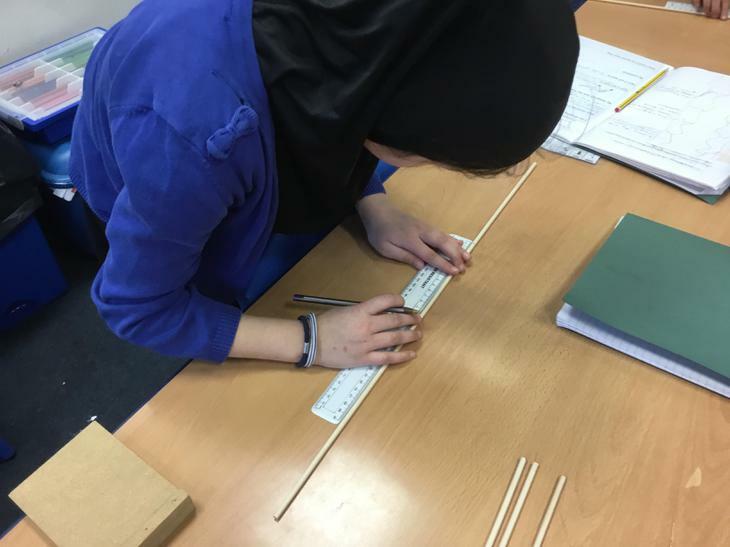 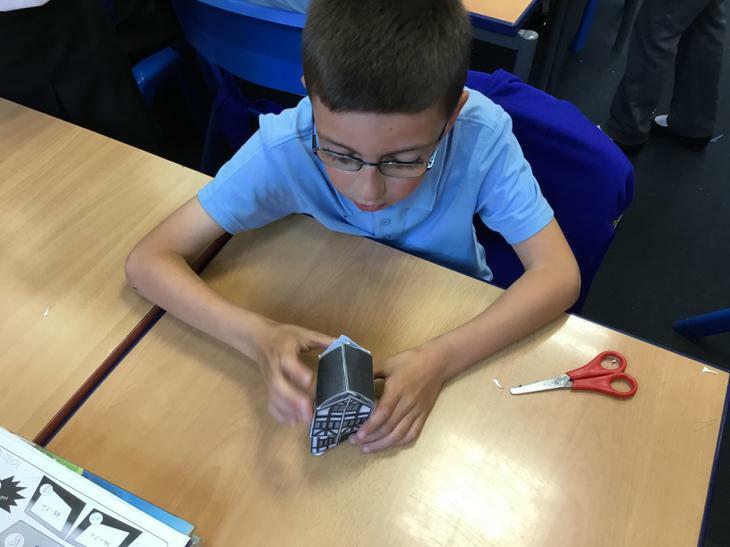 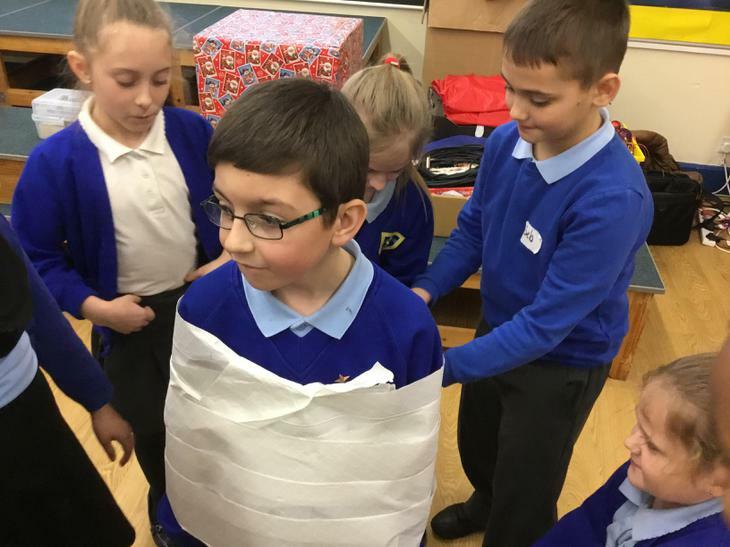 We are building an Egyptian Shaduf. 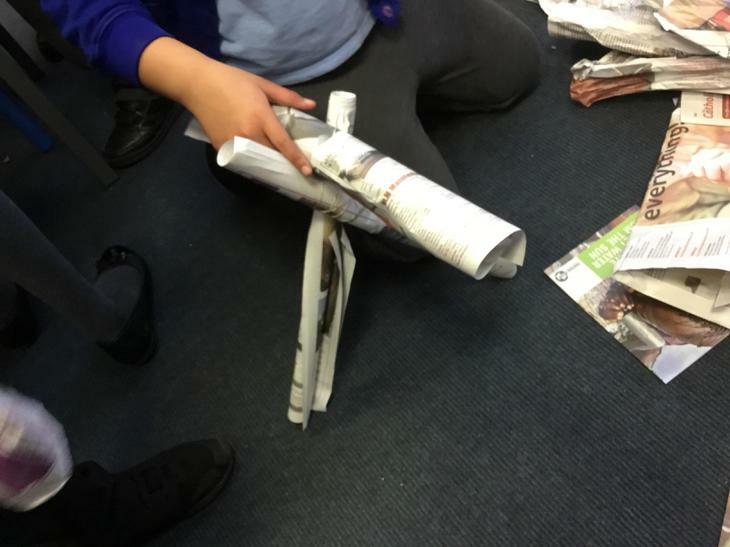 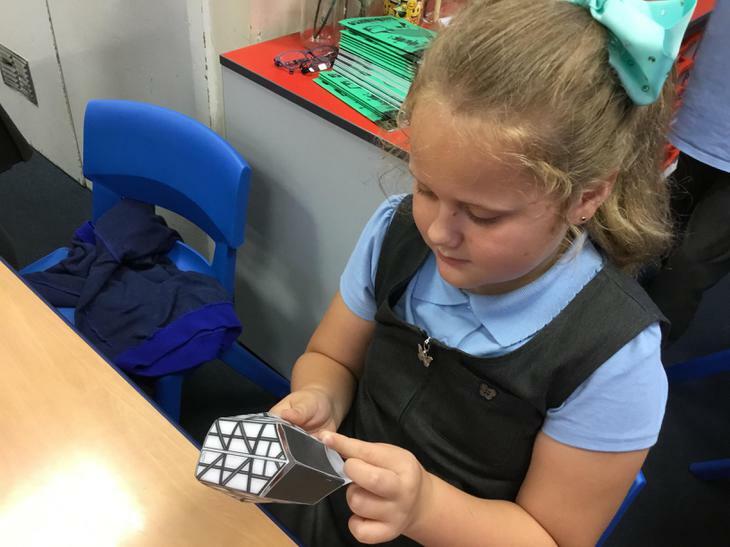 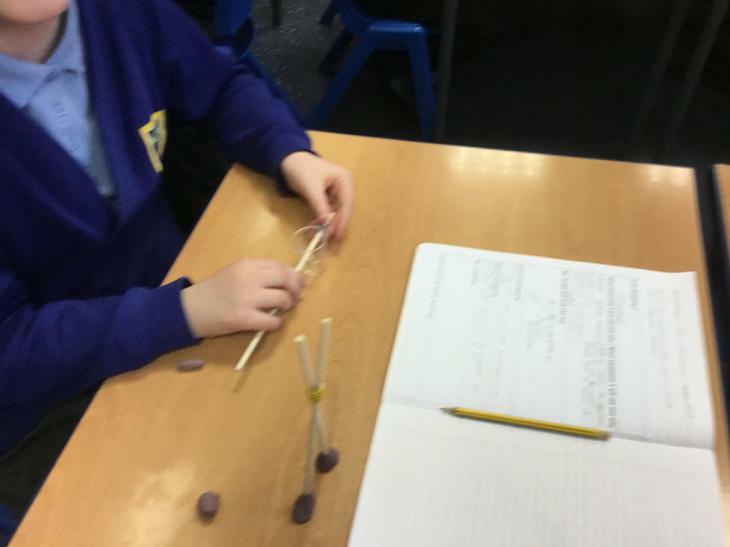 We researched the design and tried to use various materials to recreate it. 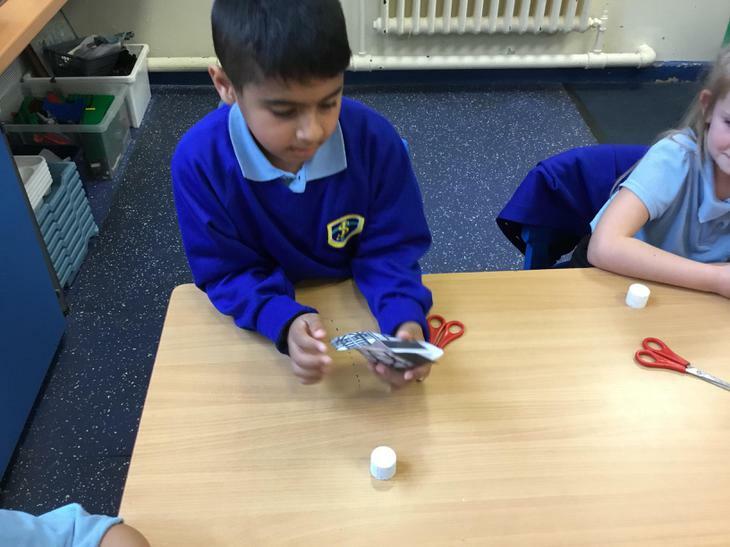 Ask your child what a Shaduf is used for. 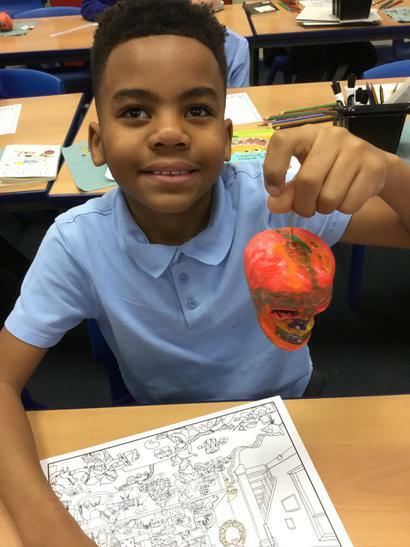 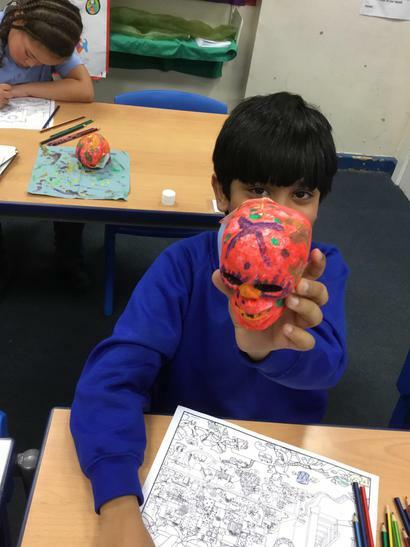 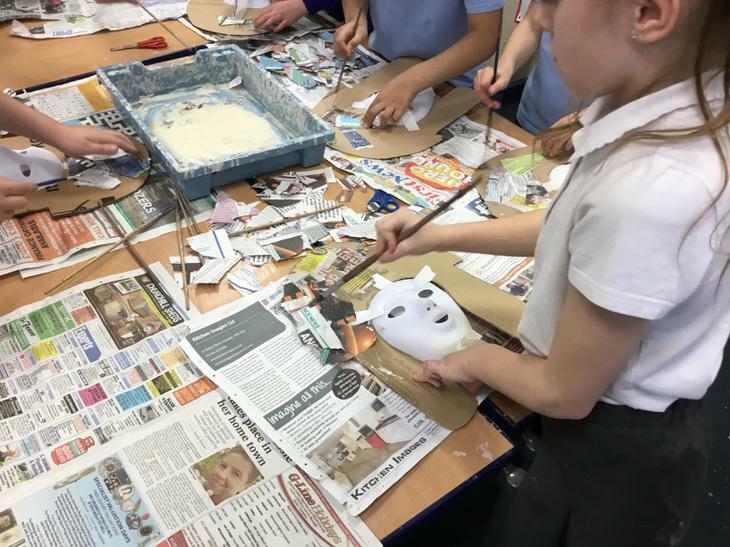 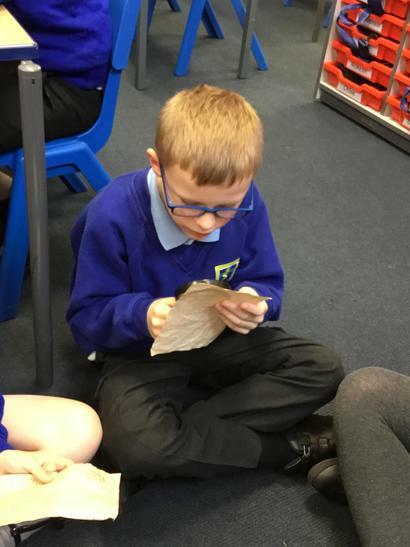 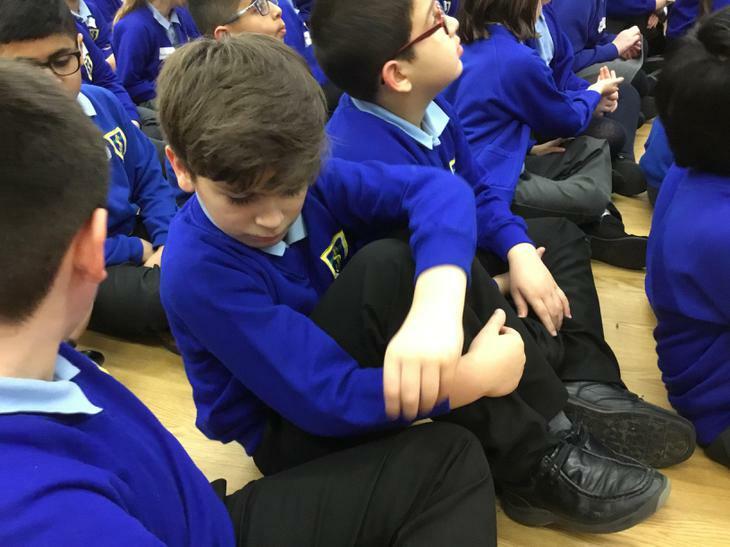 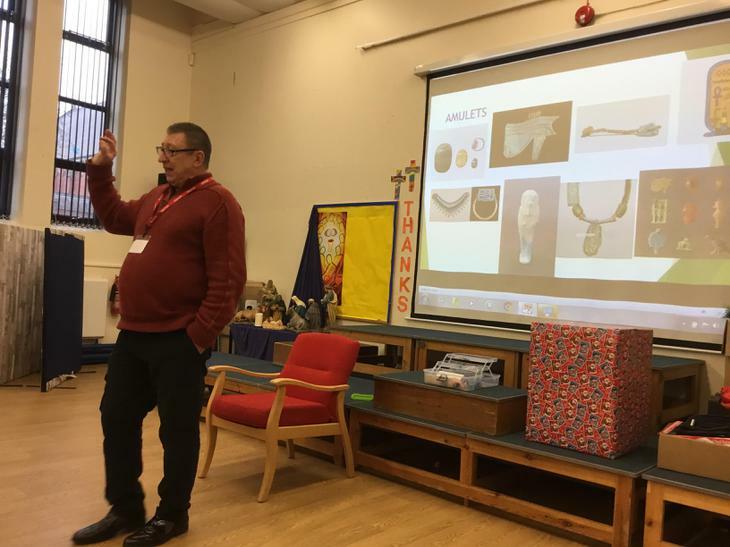 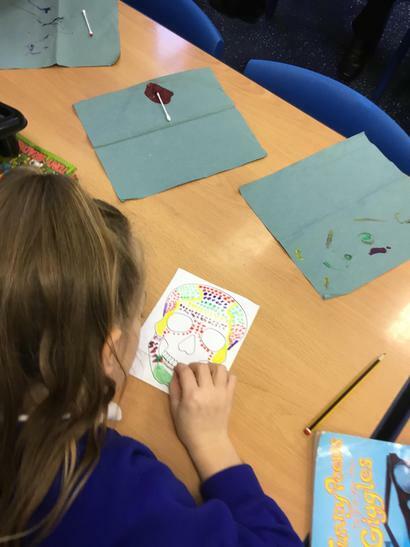 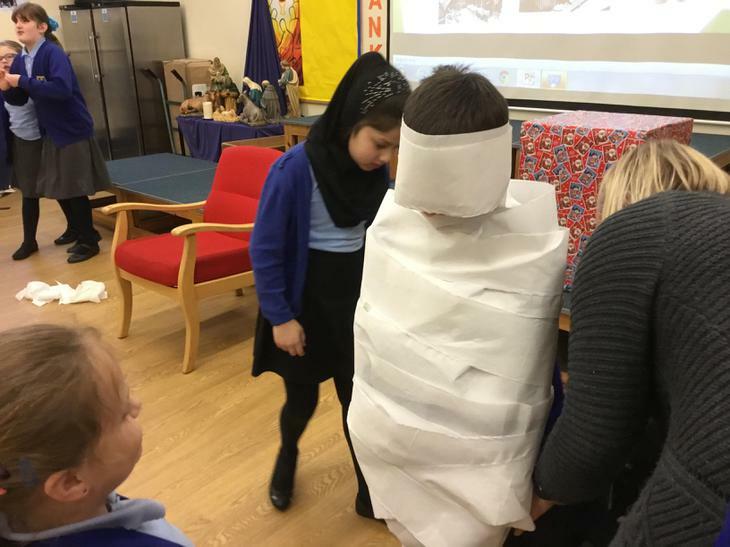 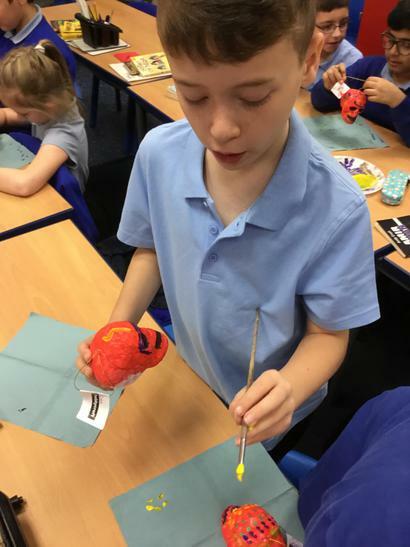 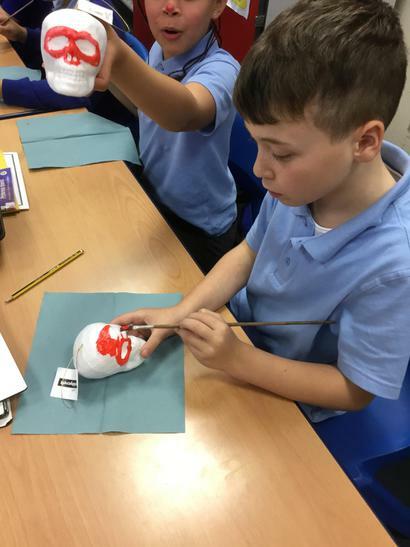 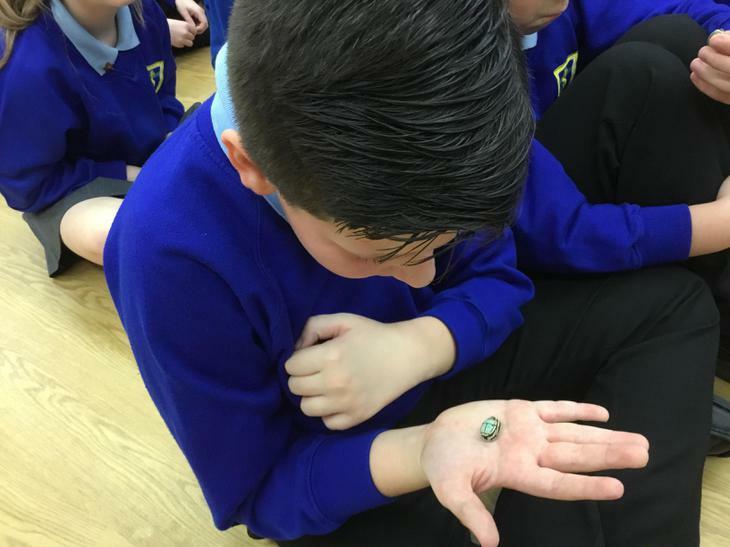 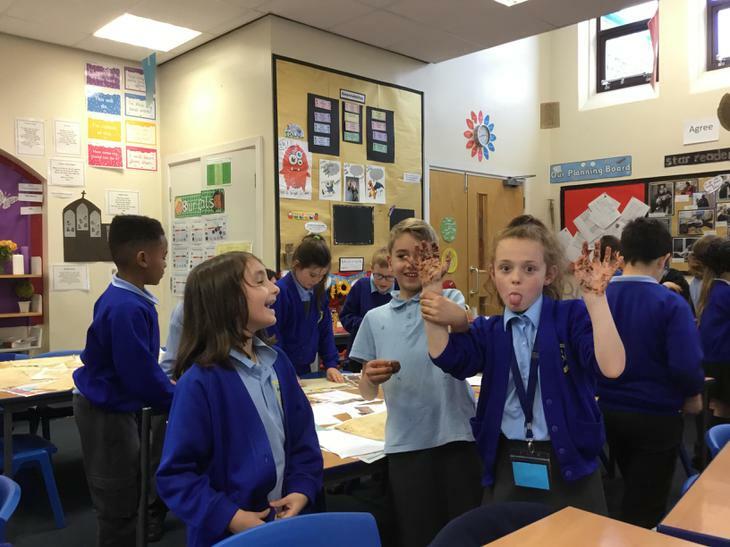 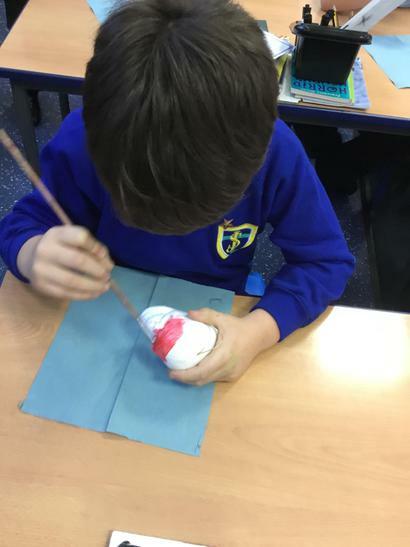 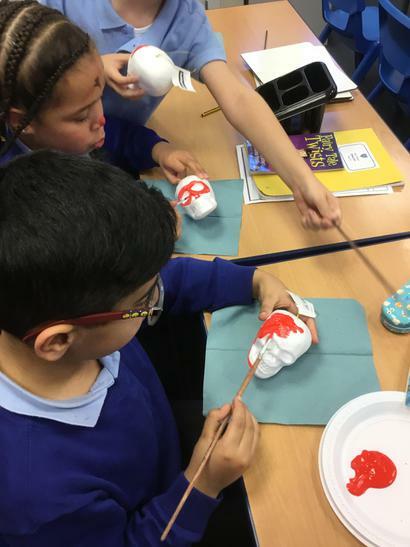 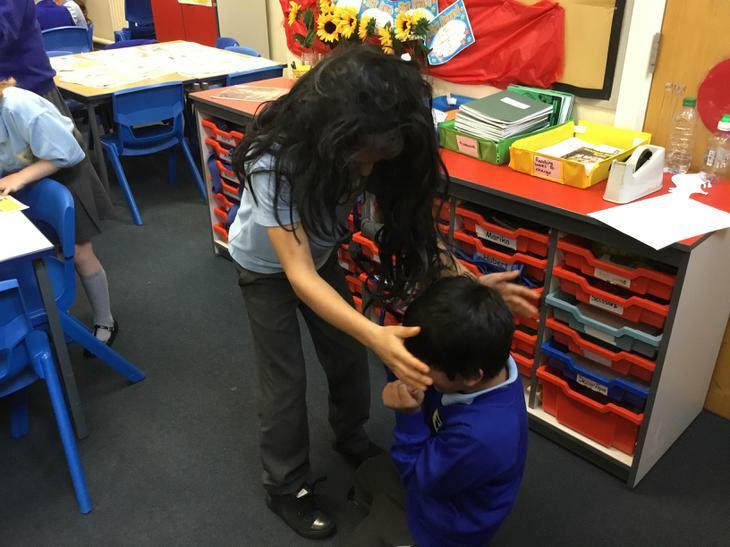 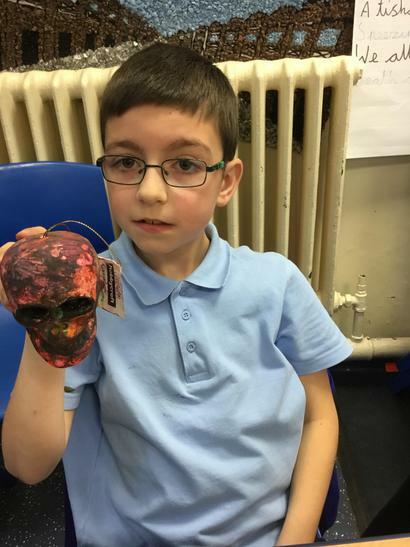 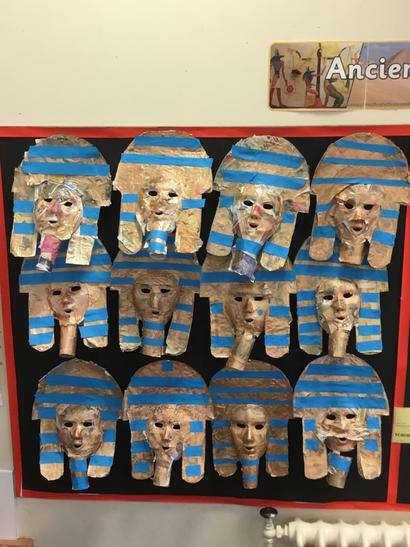 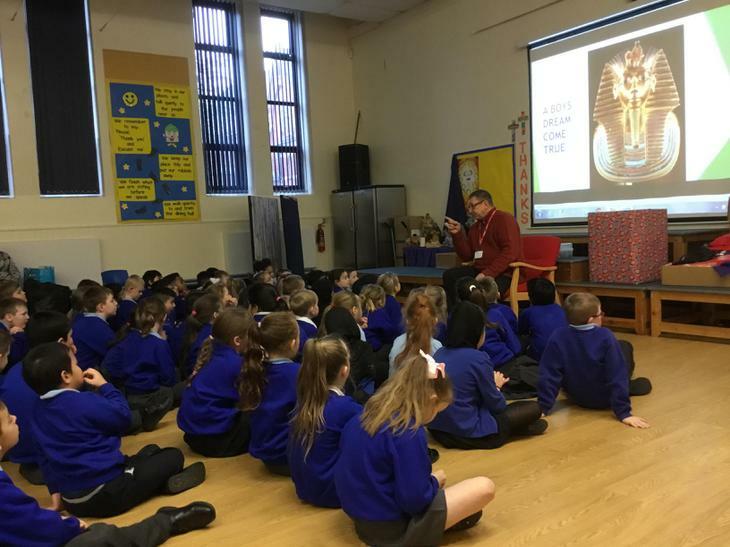 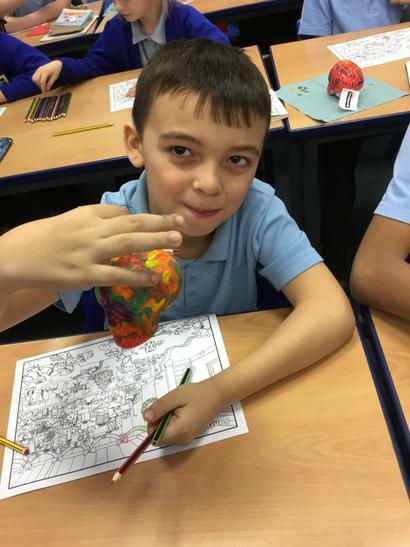 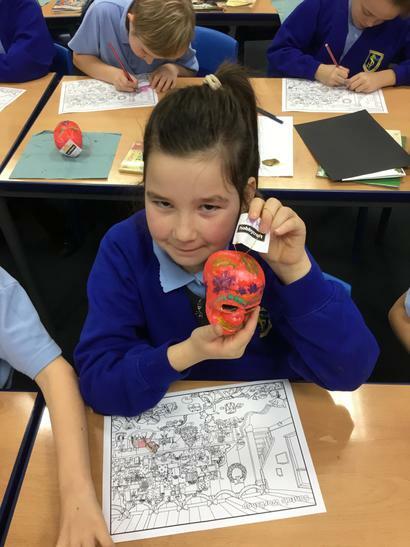 During story telling week, we have been looking at the story of Tutankhamen and his Death Mask. 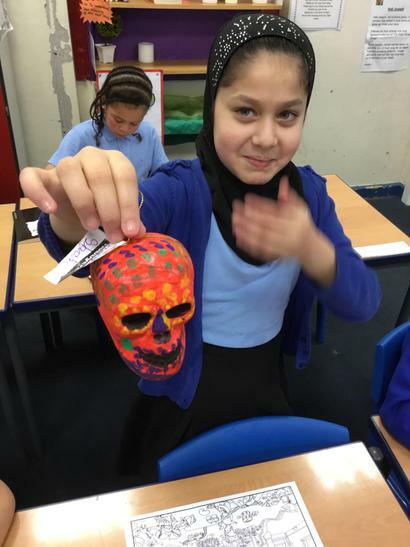 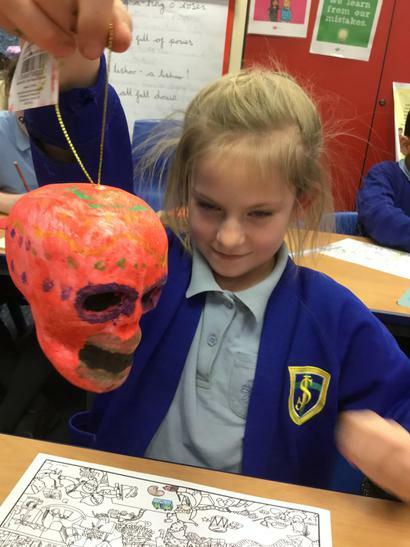 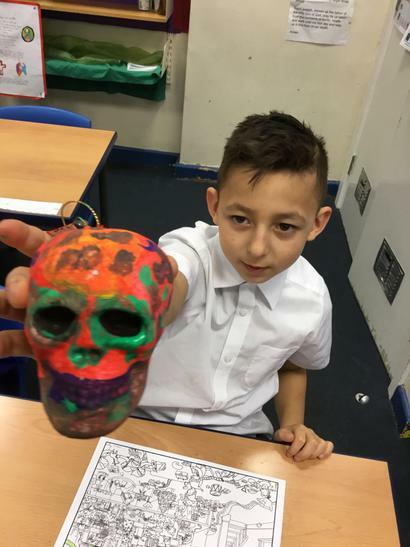 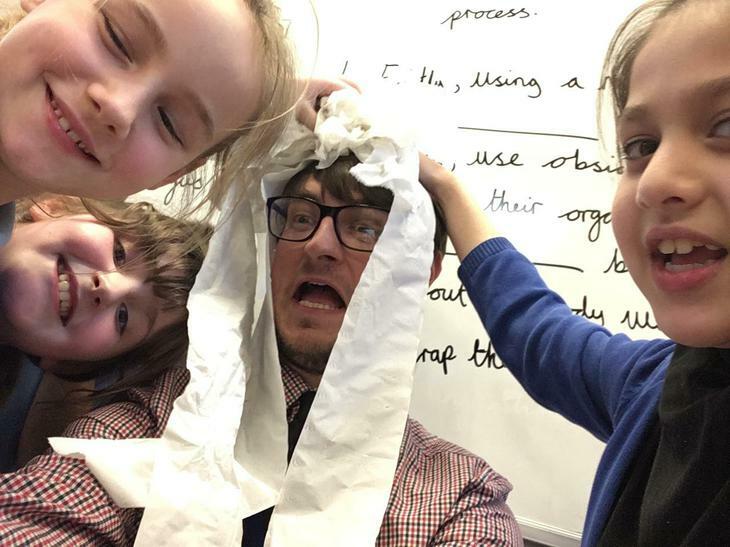 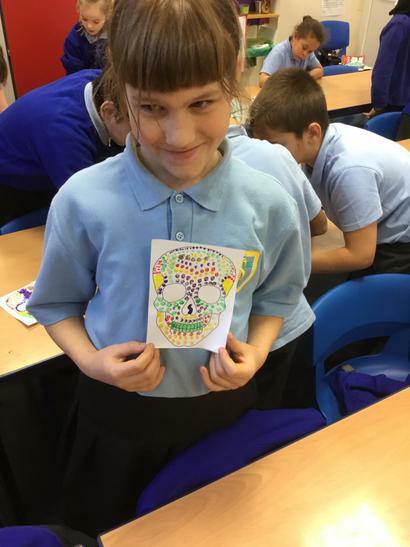 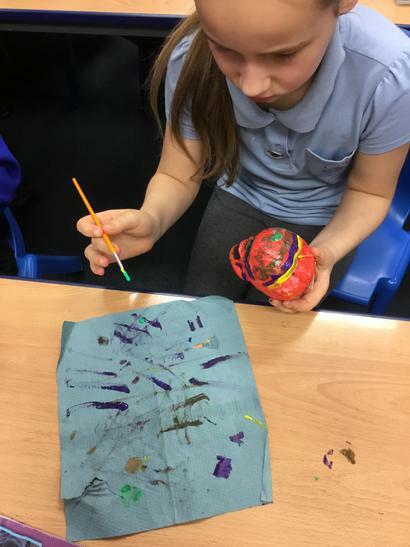 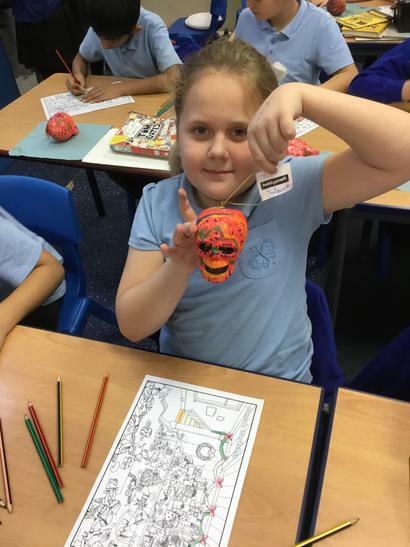 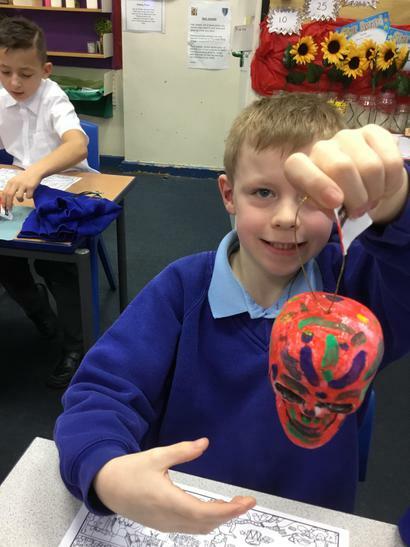 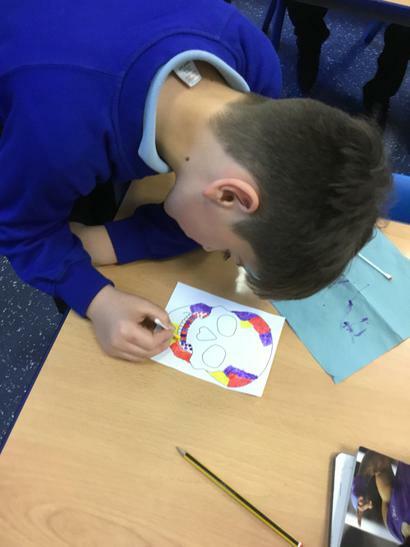 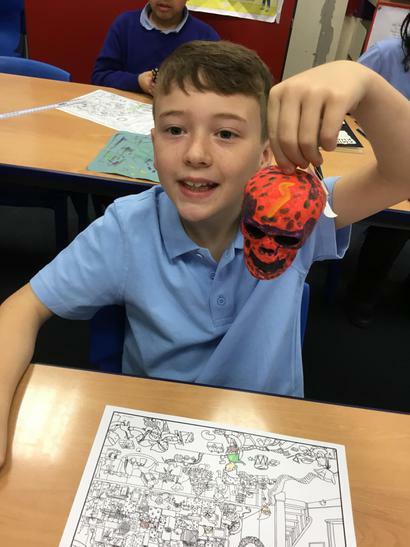 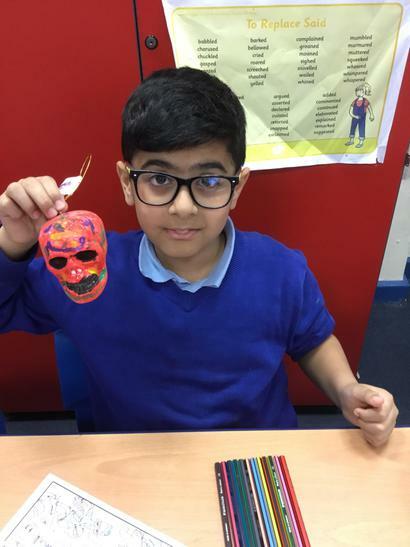 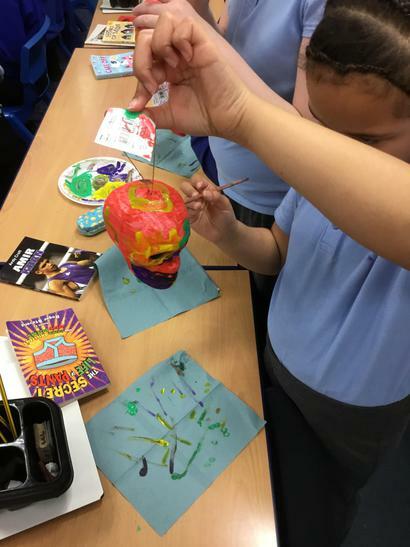 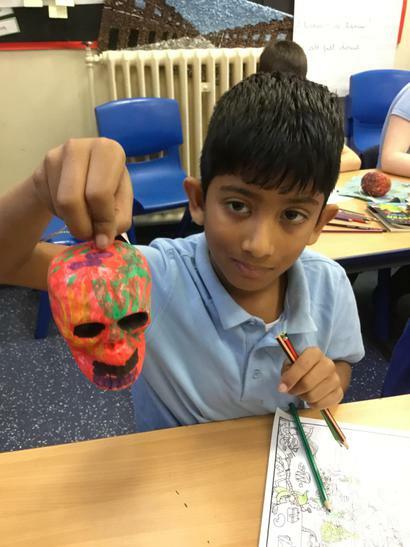 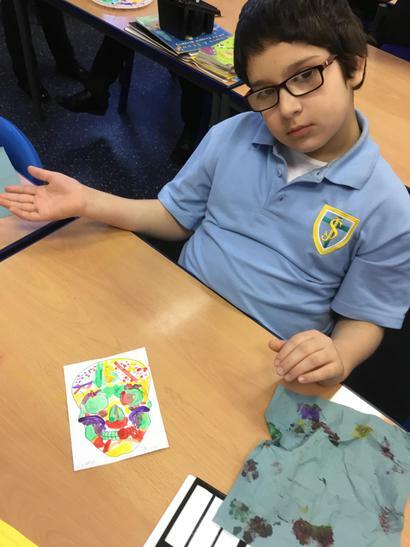 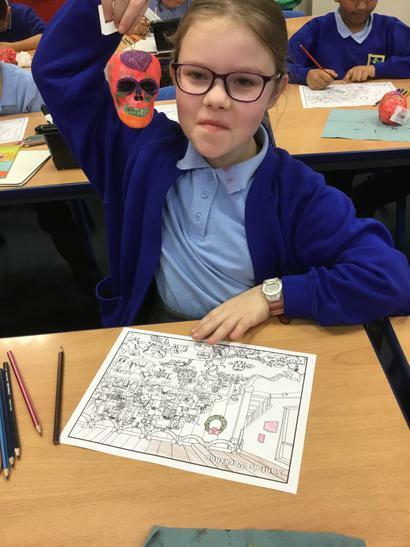 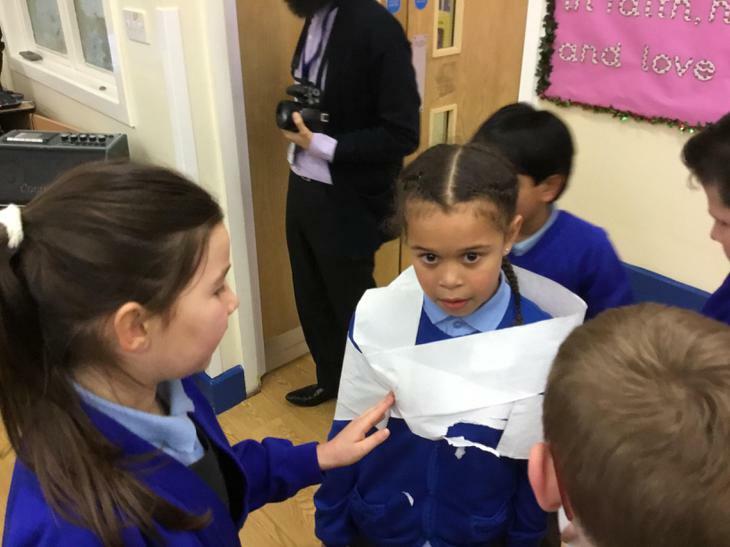 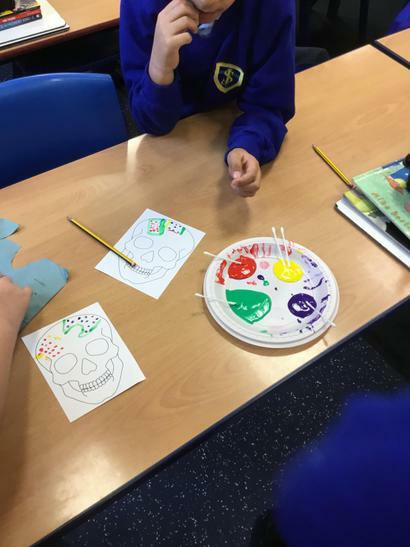 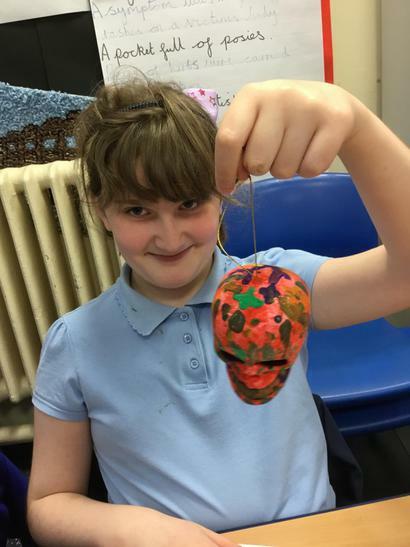 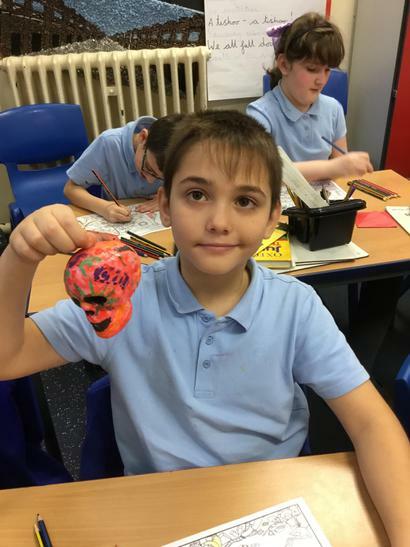 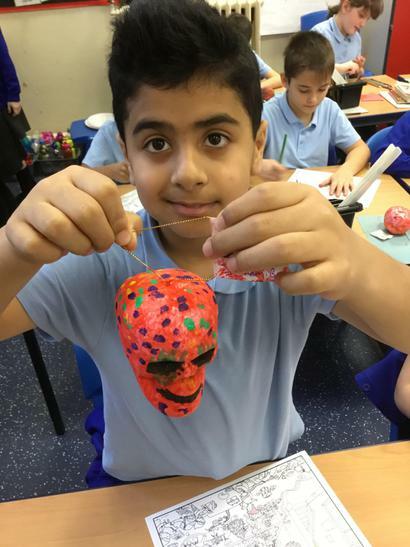 The children have made their own version of the Death mask. 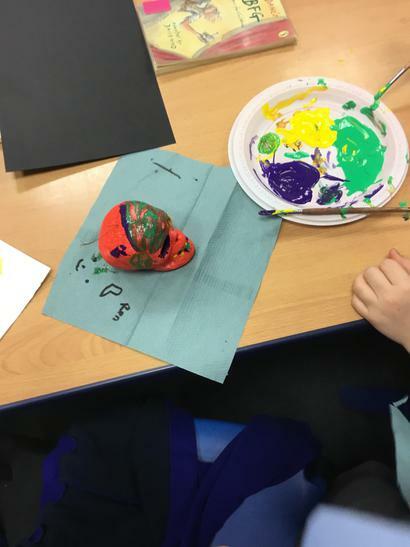 Ask your child their favourite part of the process. 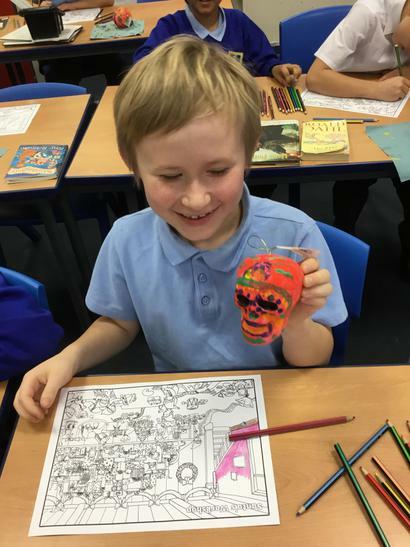 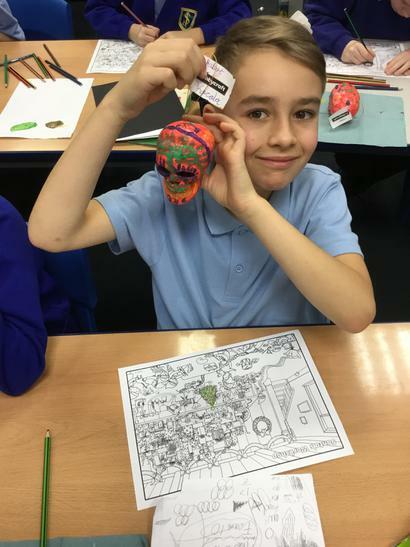 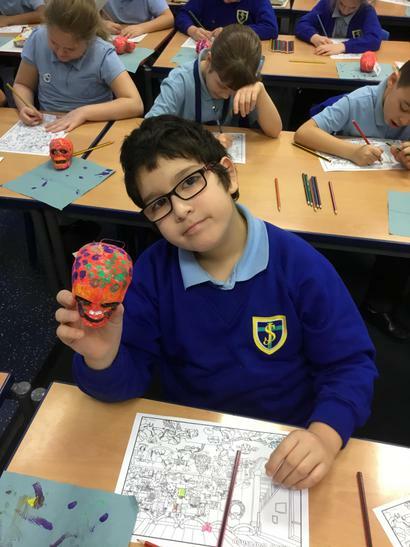 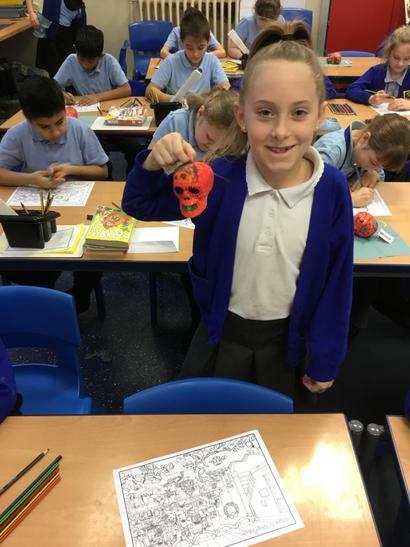 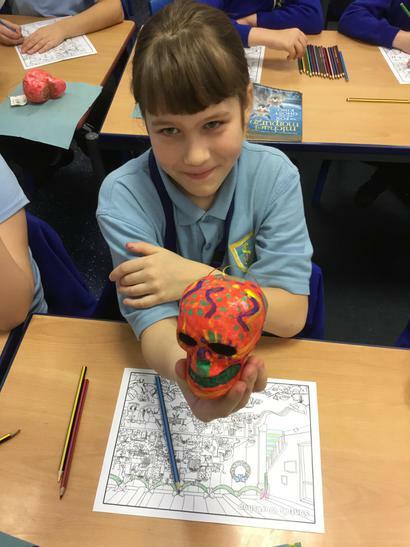 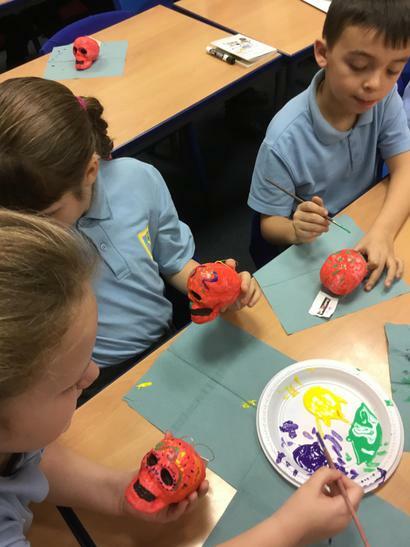 Our finished ‘day of the dead’ themed skulls. 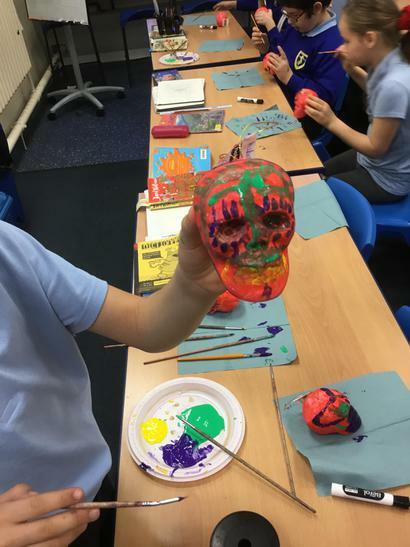 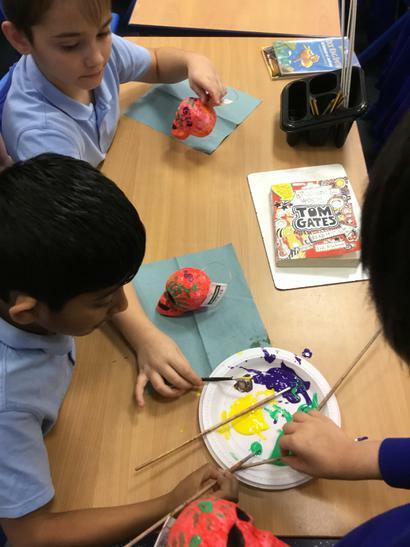 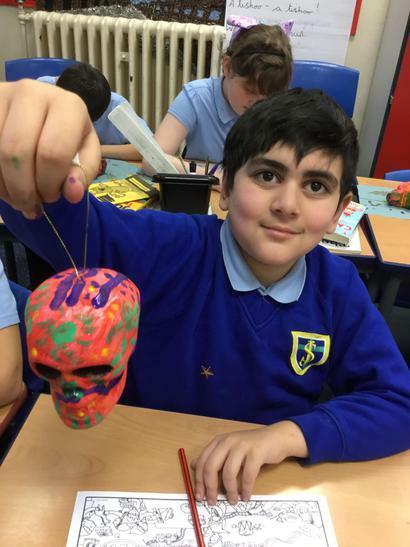 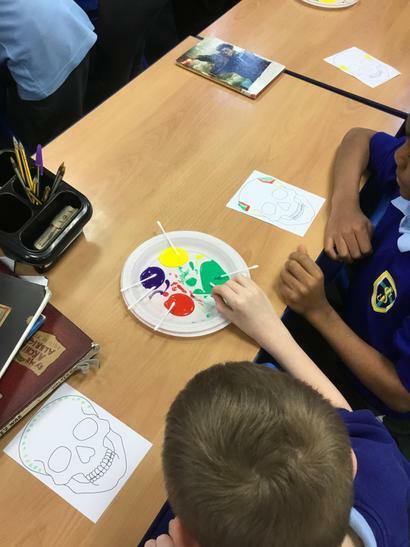 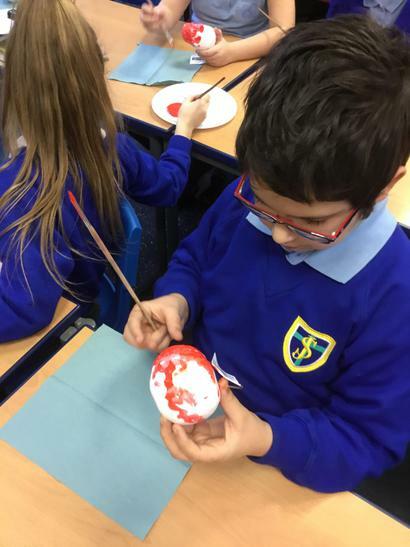 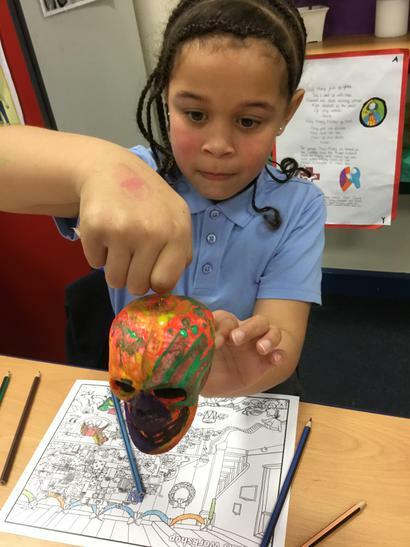 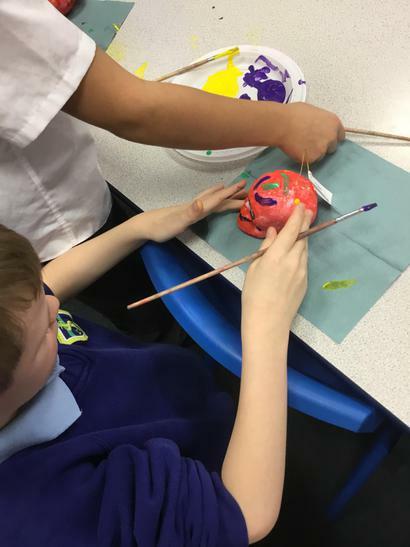 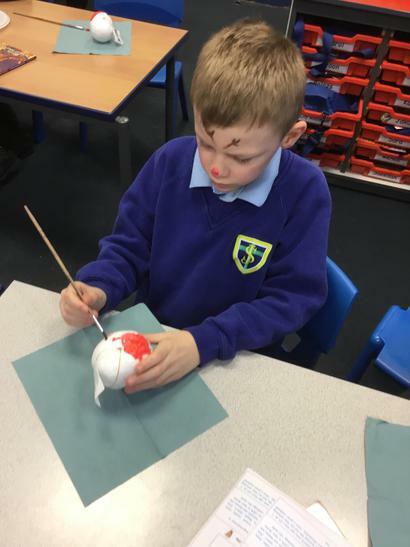 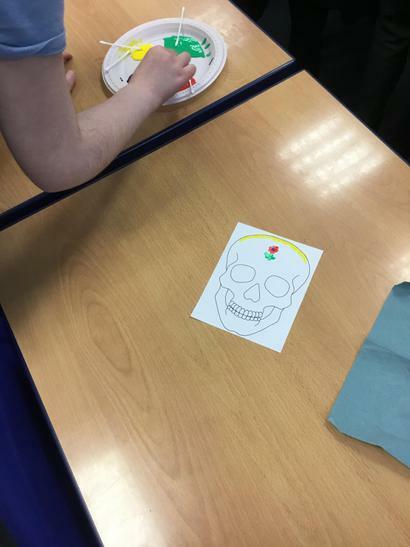 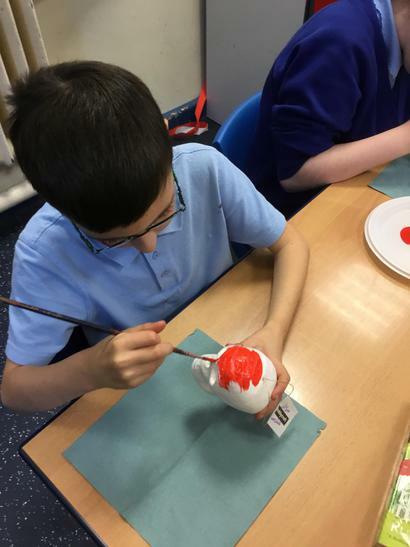 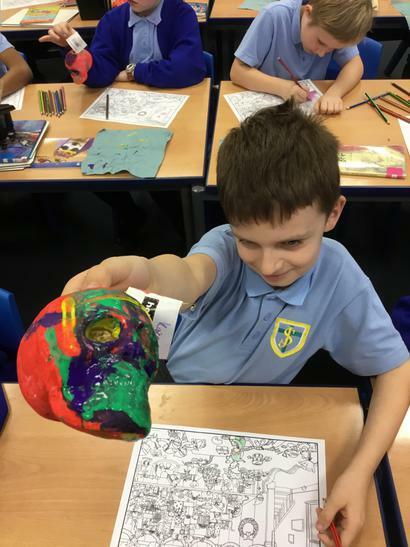 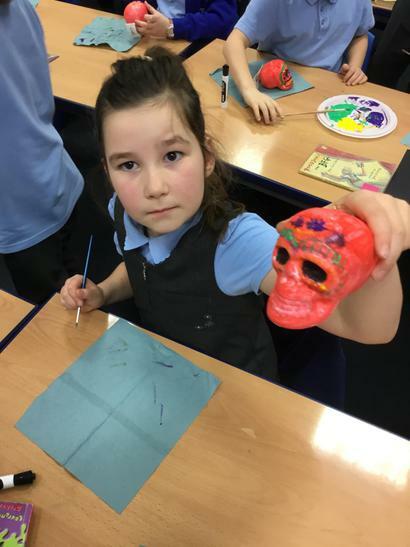 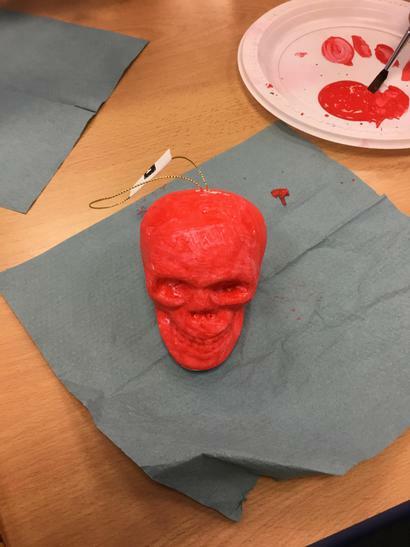 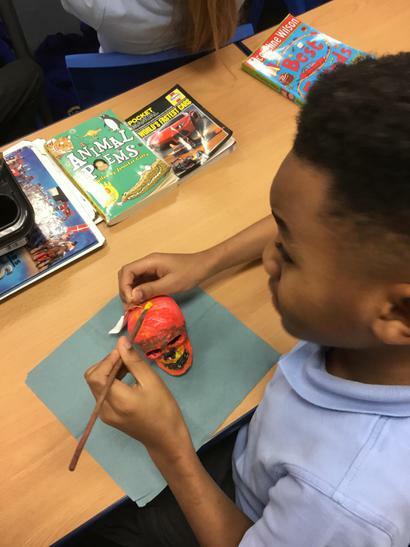 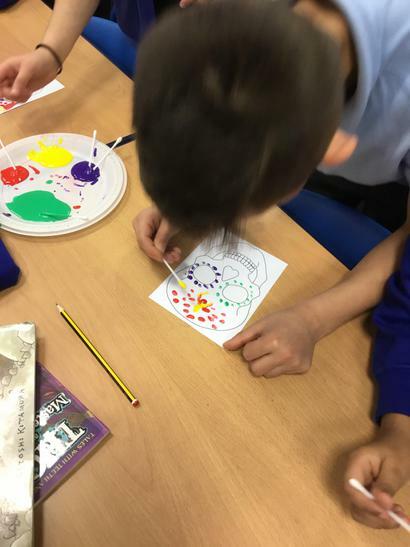 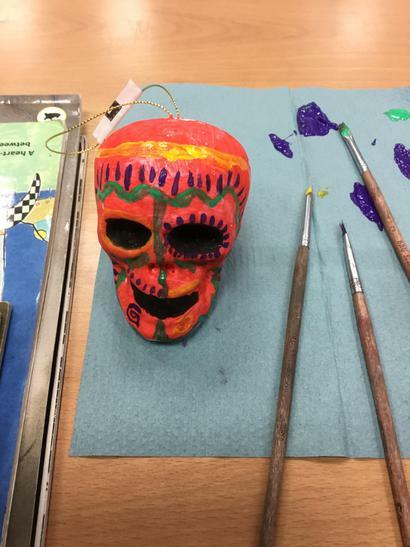 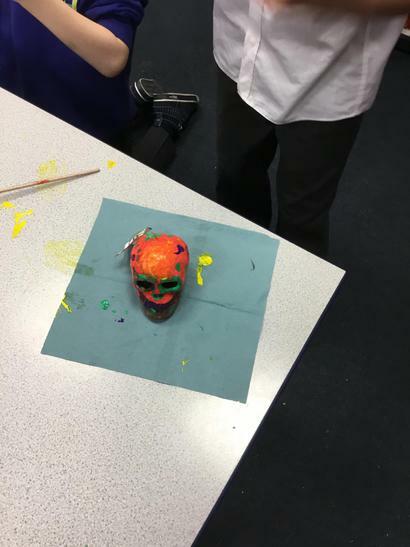 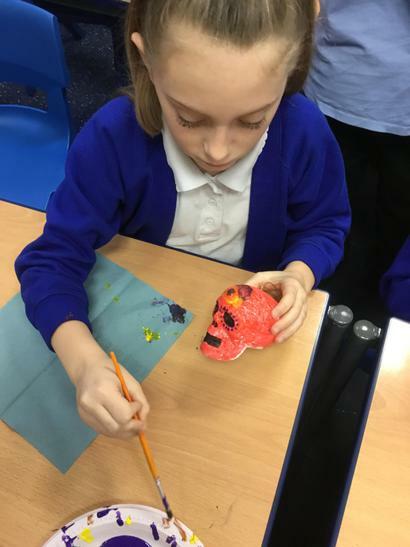 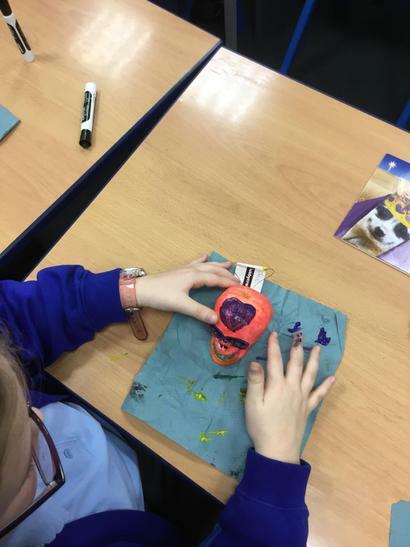 We’ve put our first layer of paint on our 3D skull design. 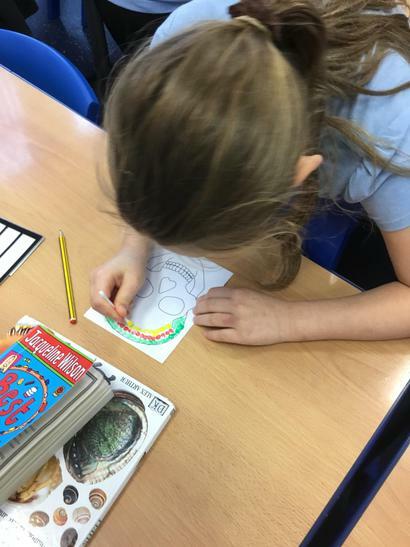 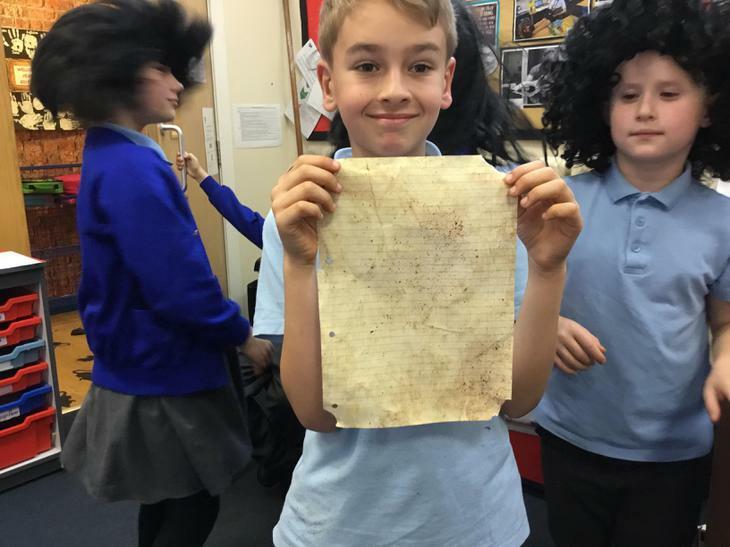 We have been creating our own design for the Bill of Mortality. 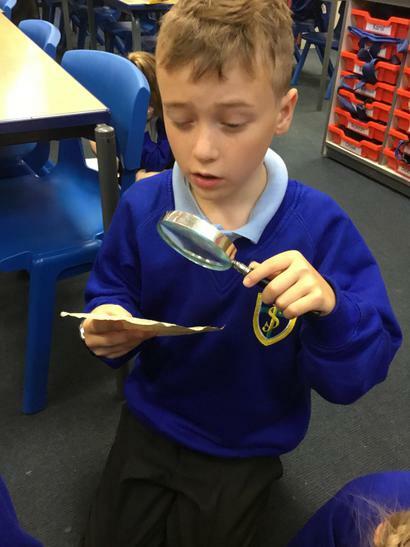 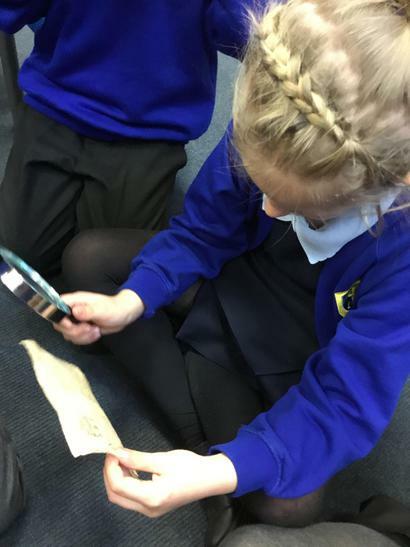 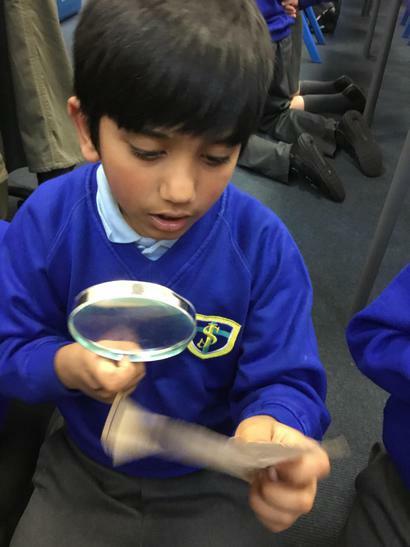 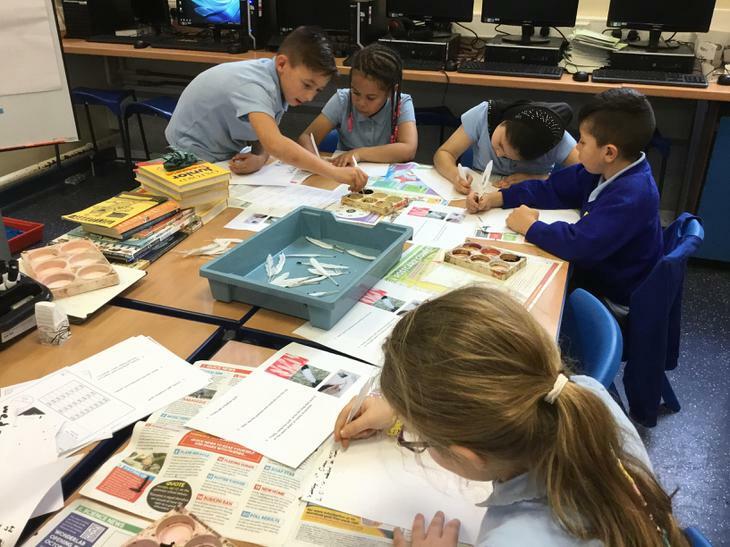 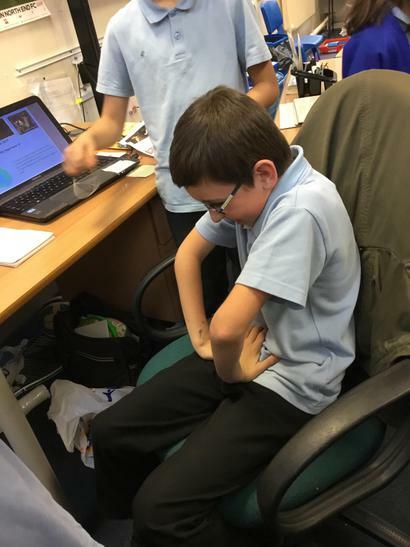 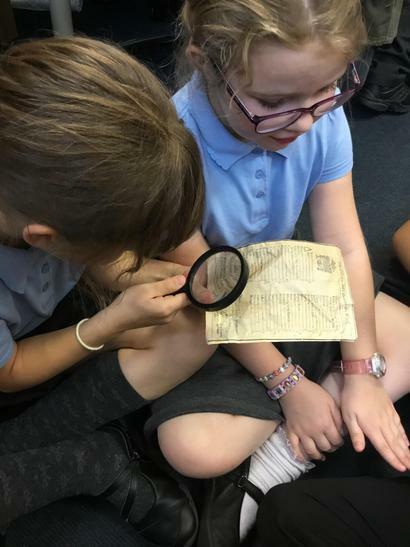 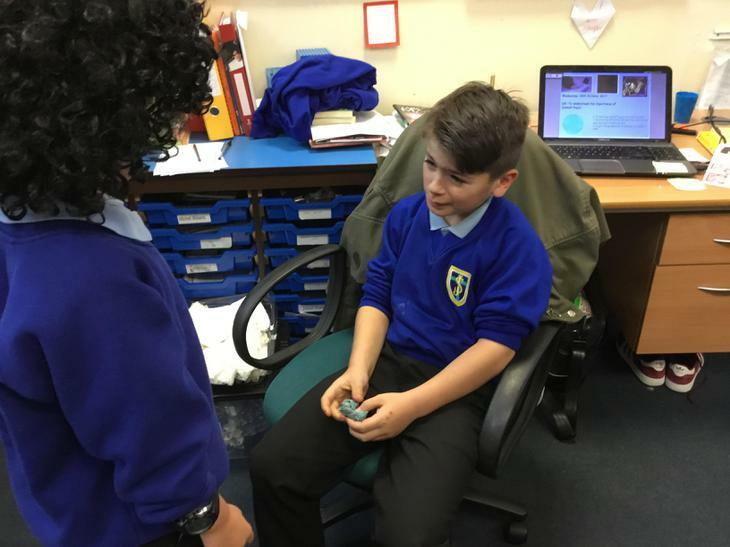 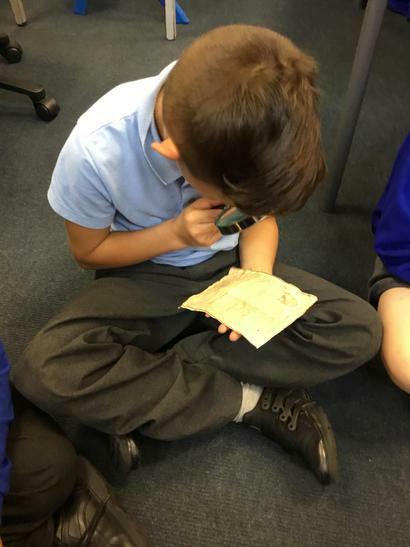 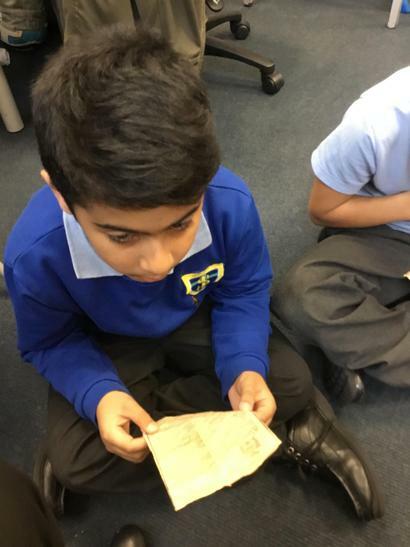 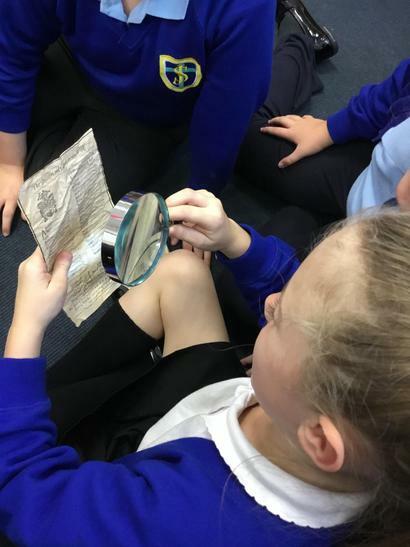 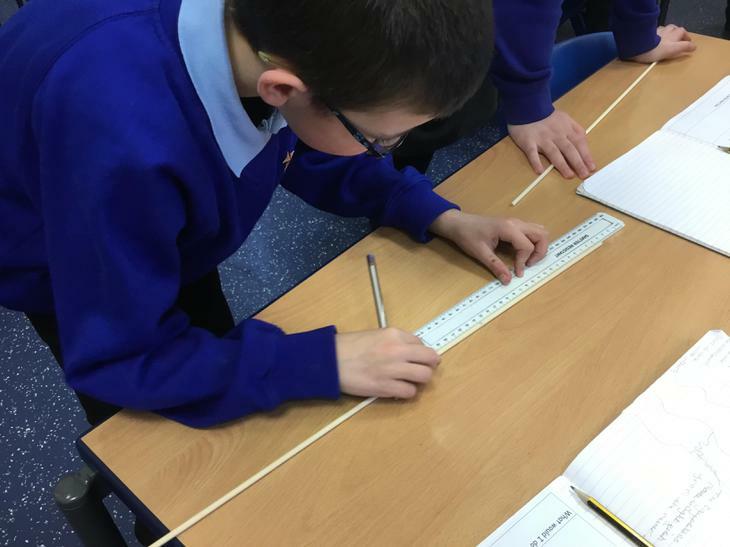 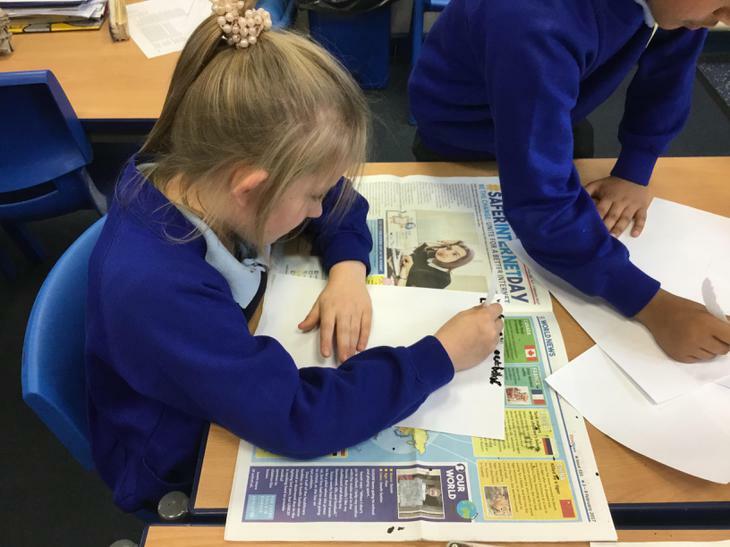 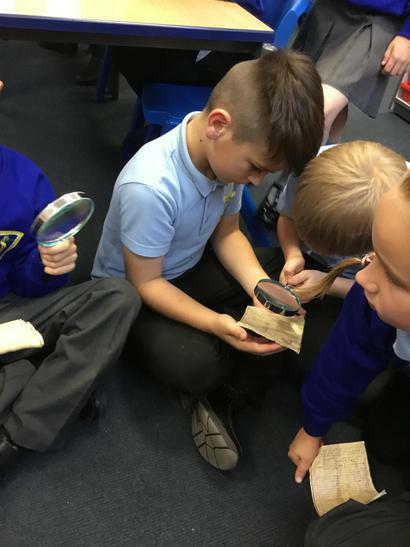 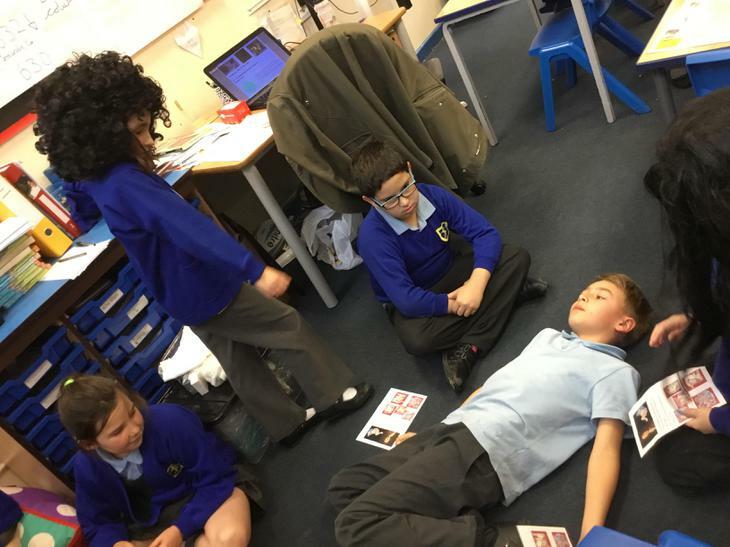 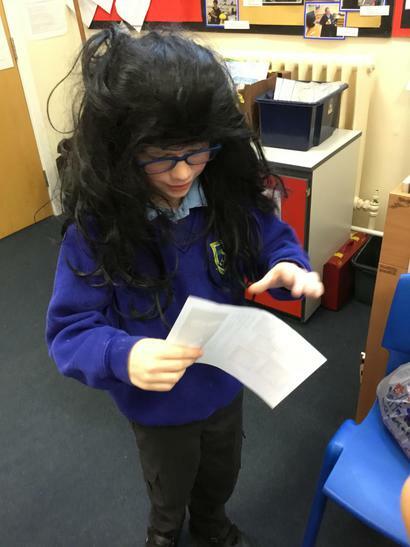 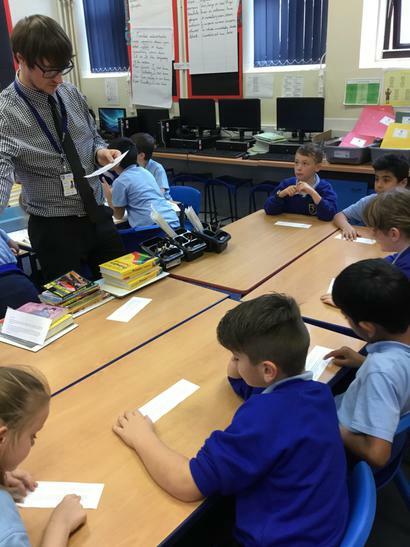 In History we have been looking at the Importance of Samuel Pepys and how he recorded information. 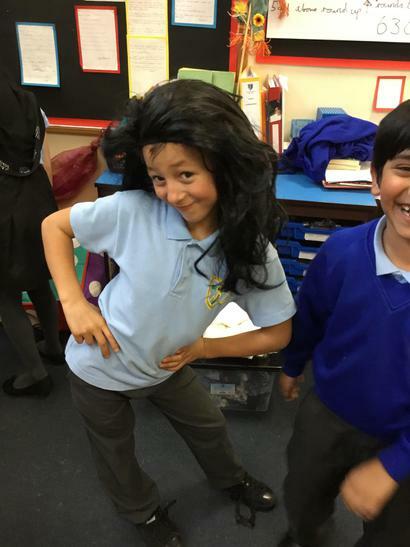 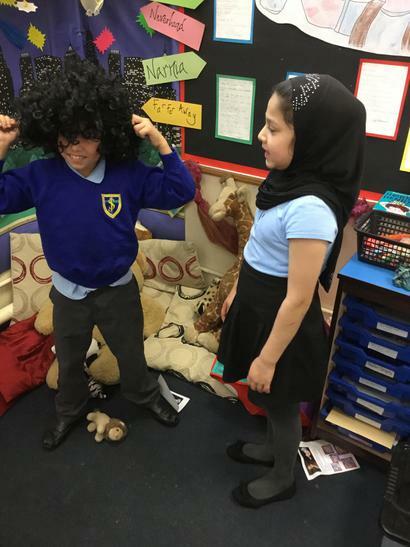 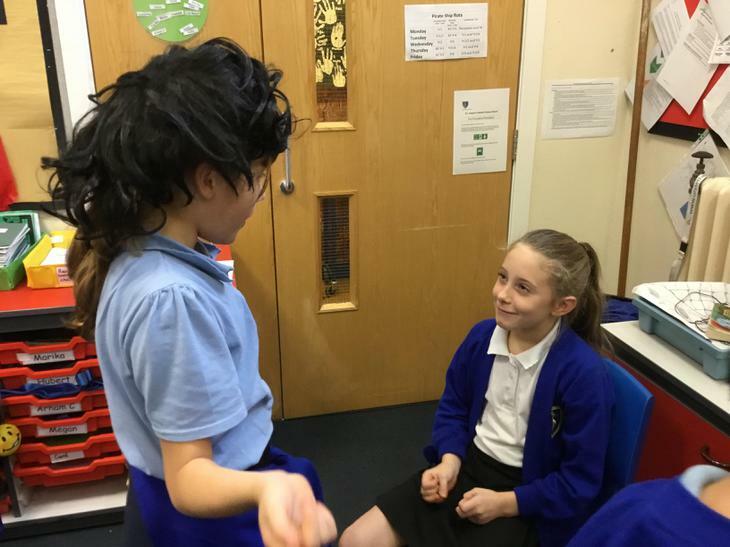 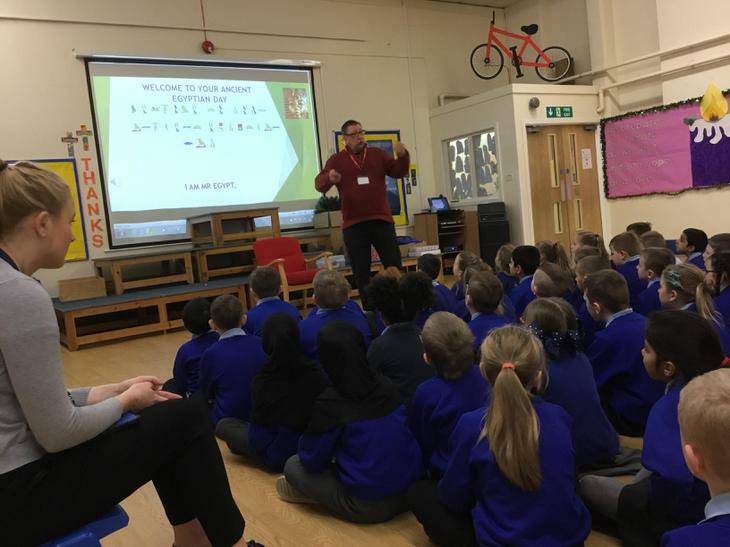 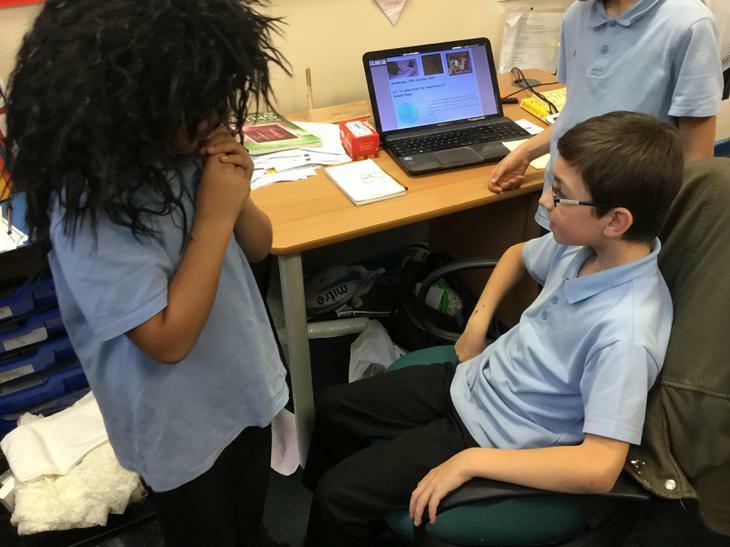 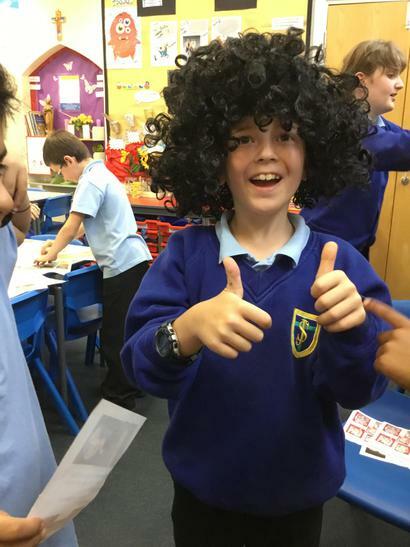 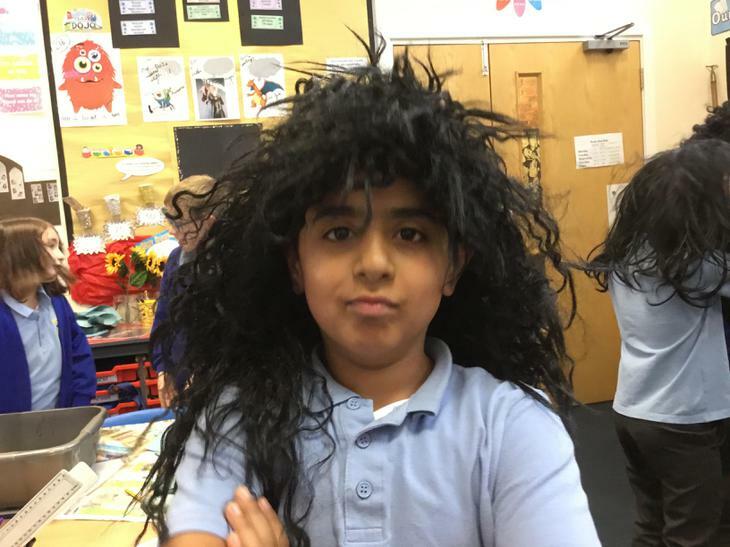 Ask your child about Samuel Pepys and what he did. 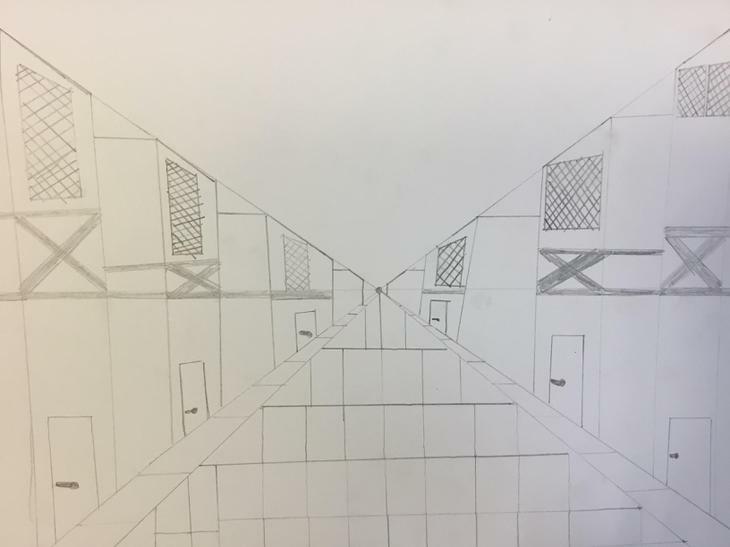 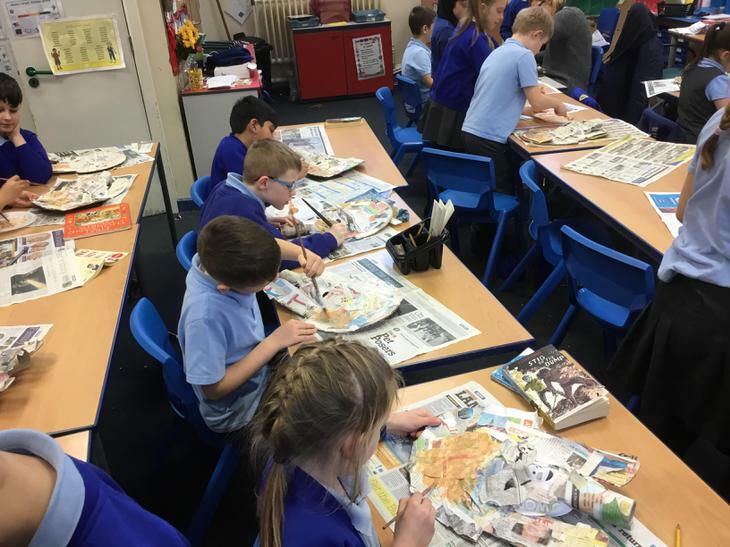 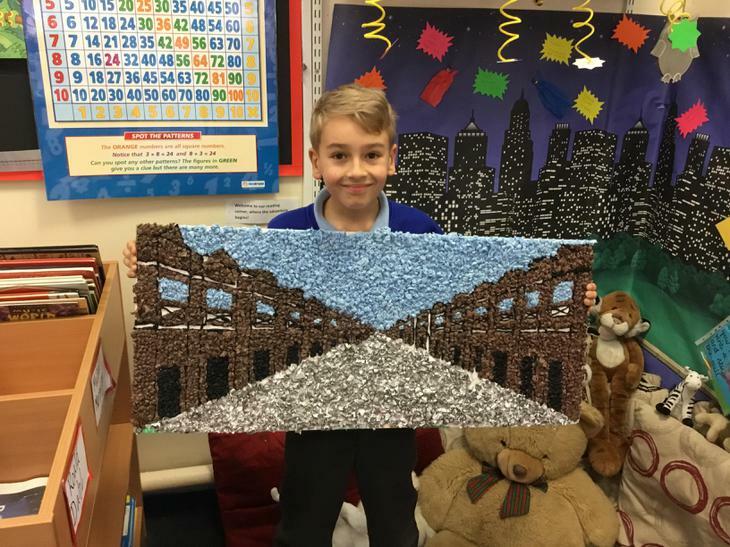 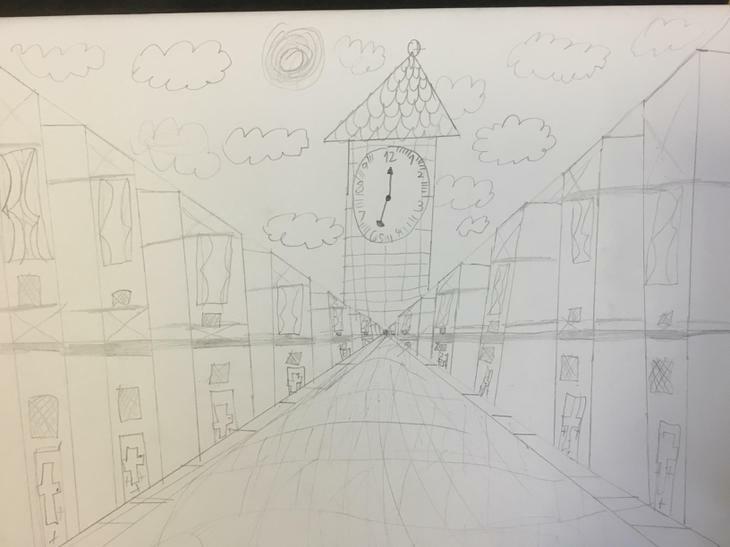 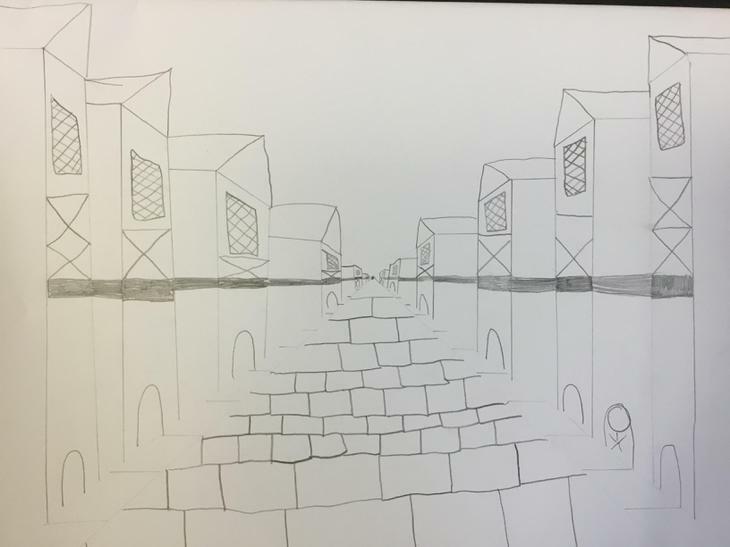 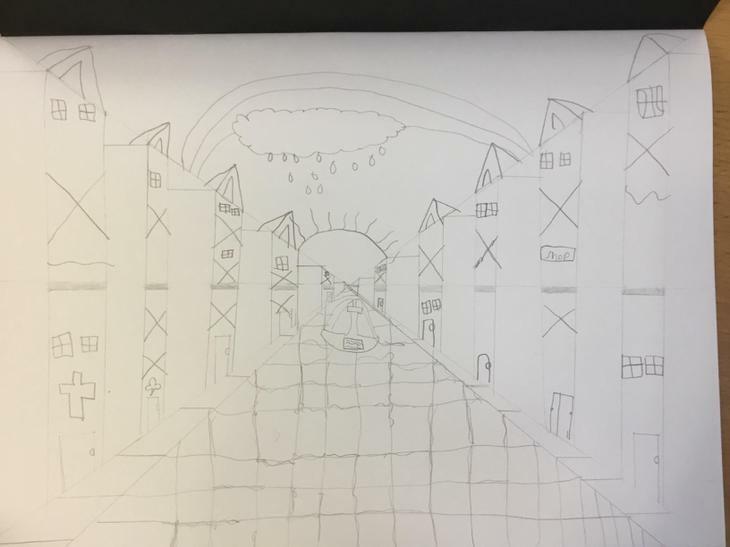 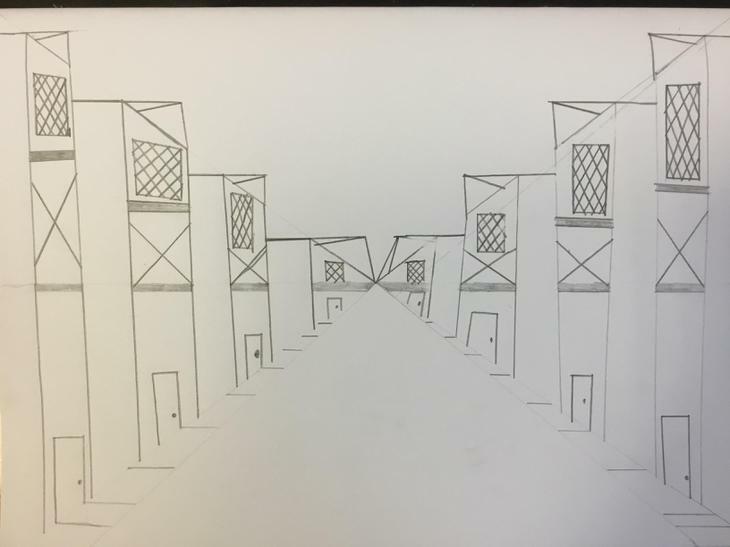 The children have been drawing a one perspective 3D London street. 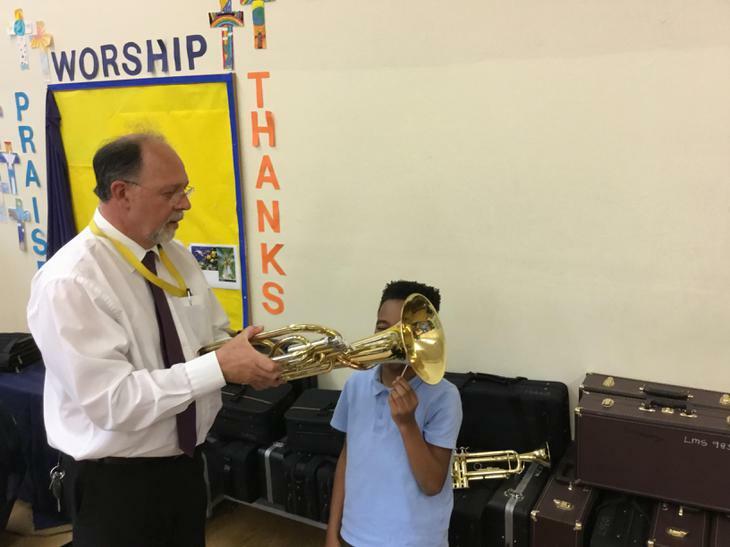 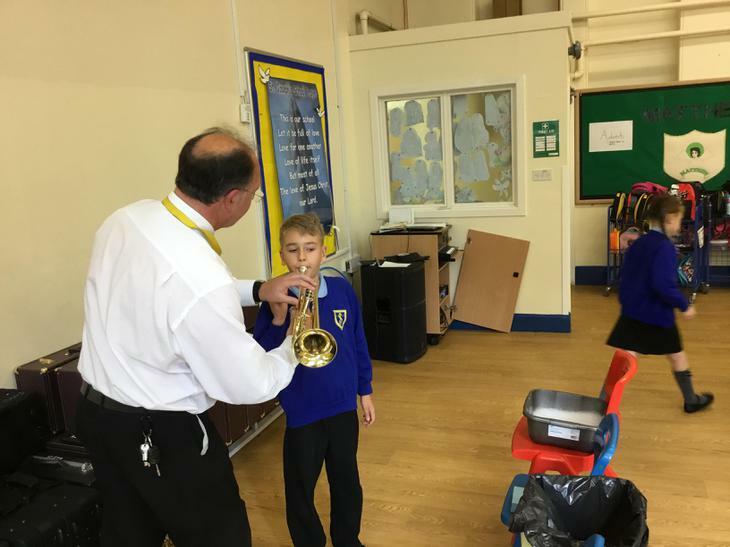 We had our second Trumpet lesson this week. 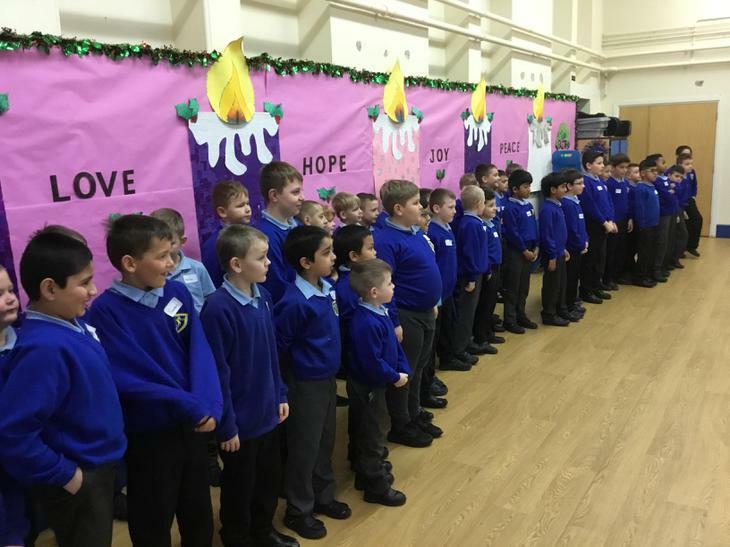 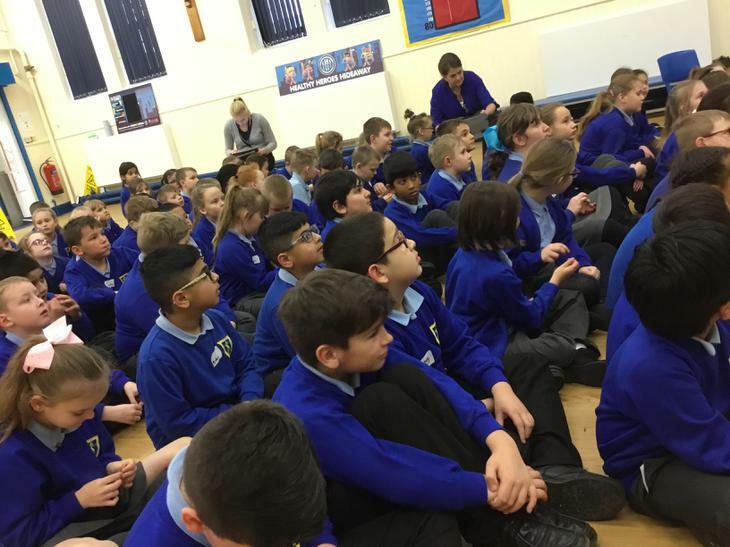 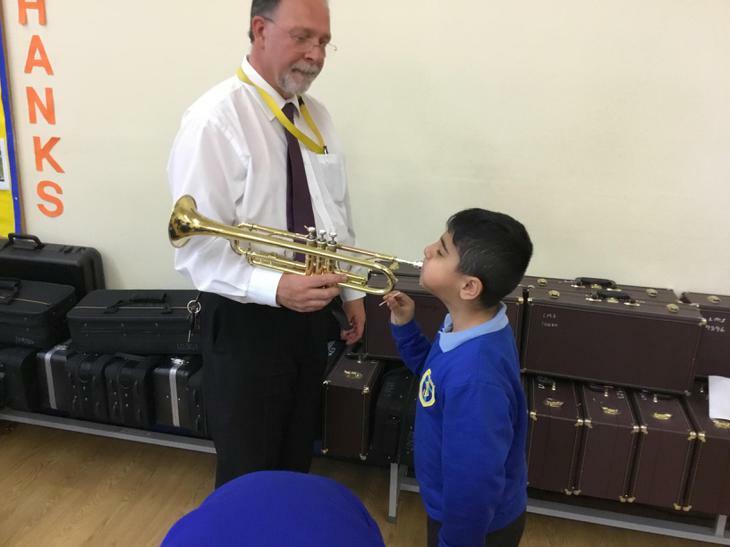 The children were getting to grips with the instrument and have made good progress already. 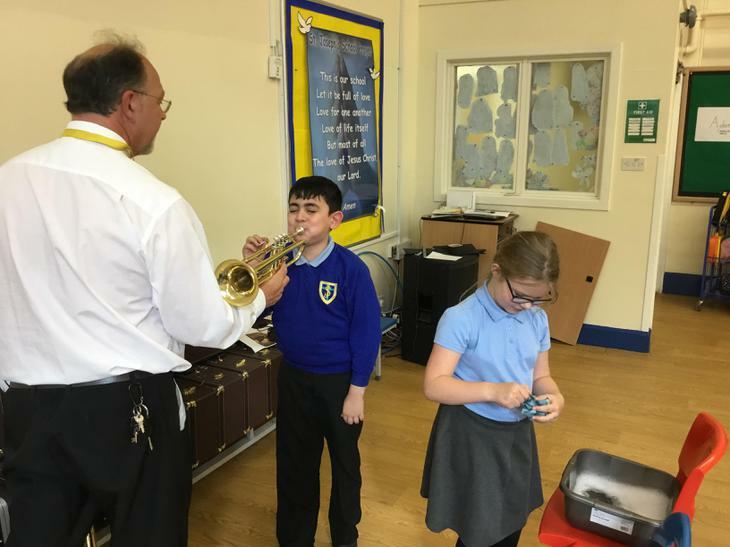 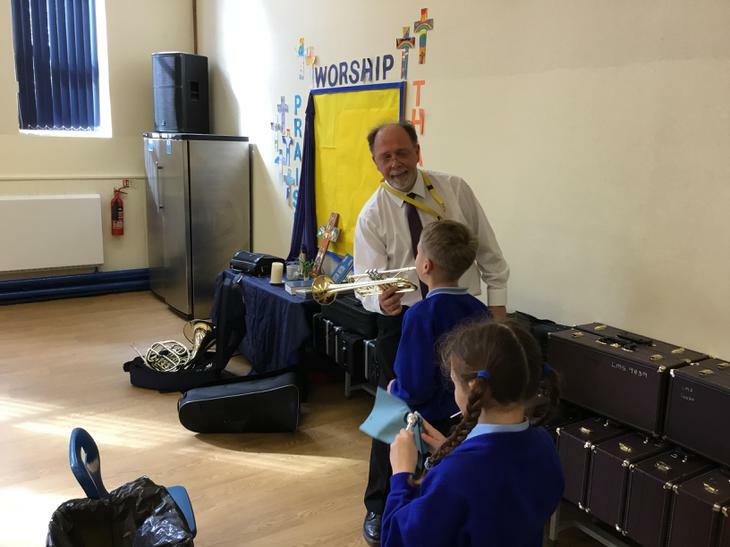 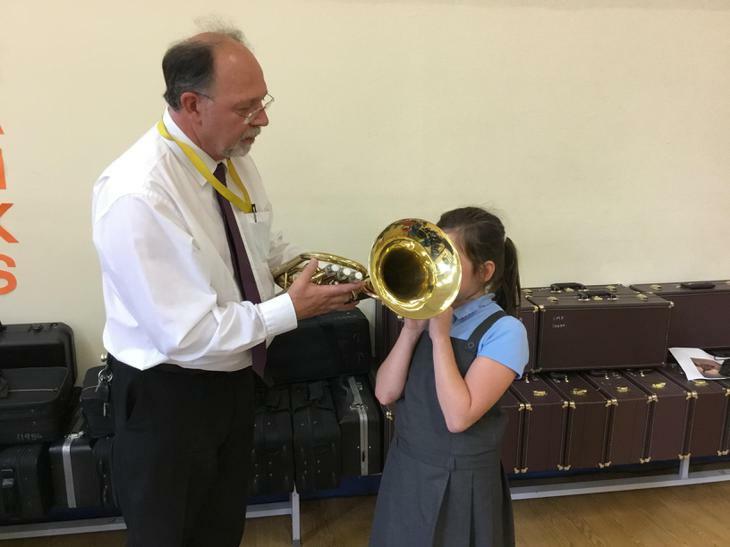 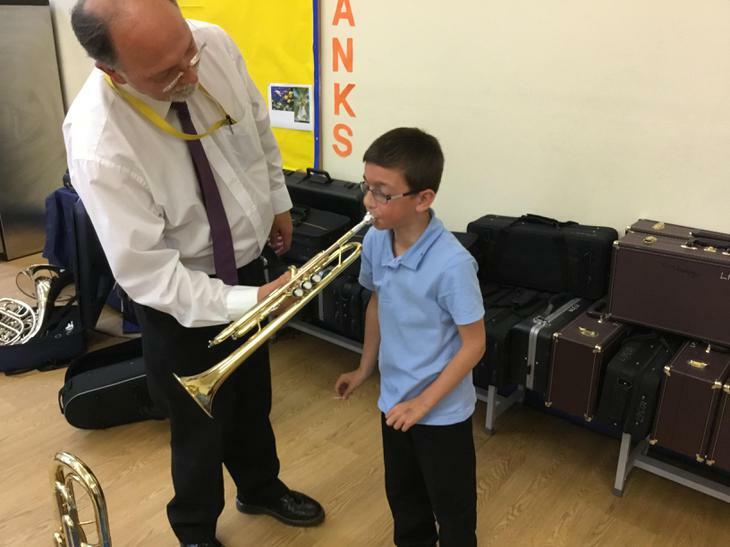 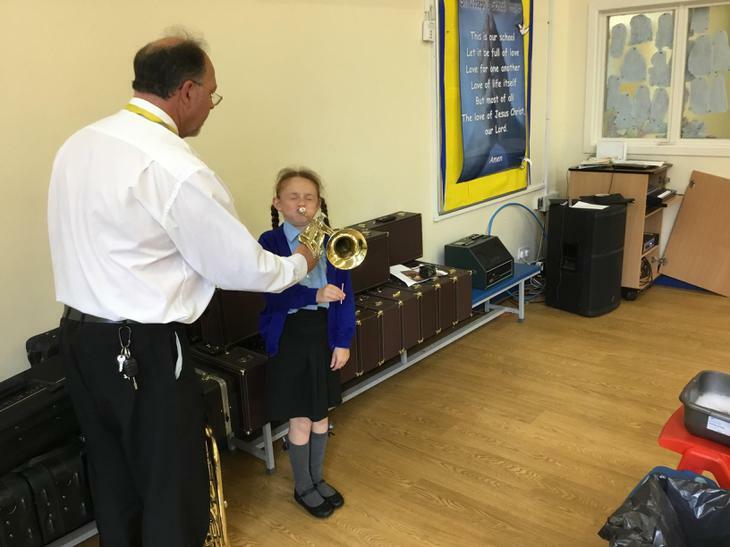 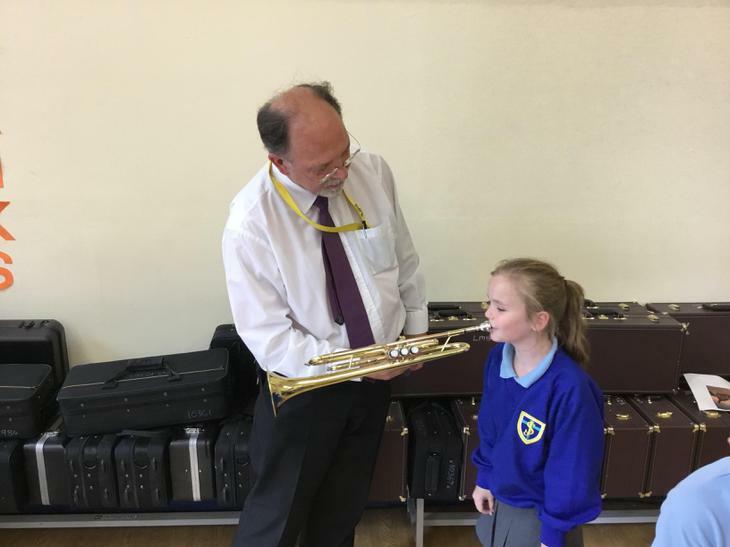 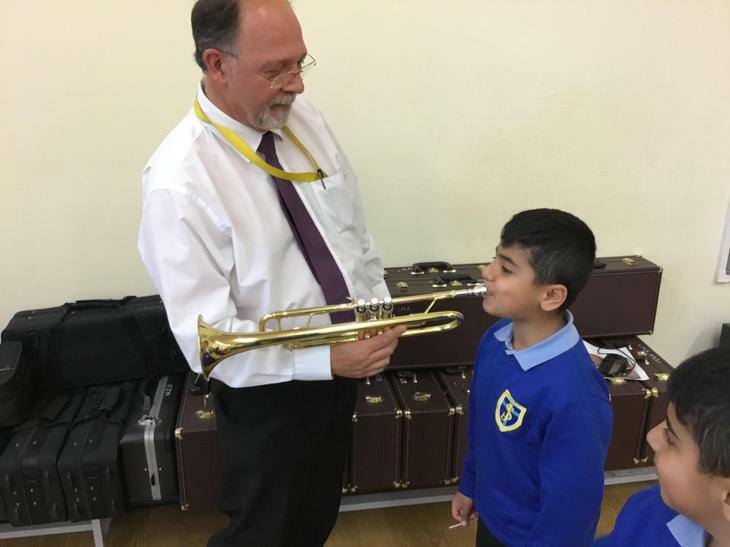 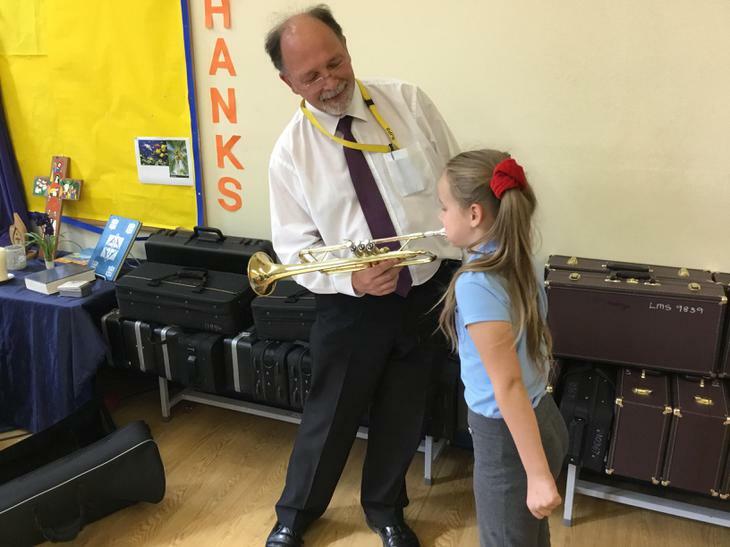 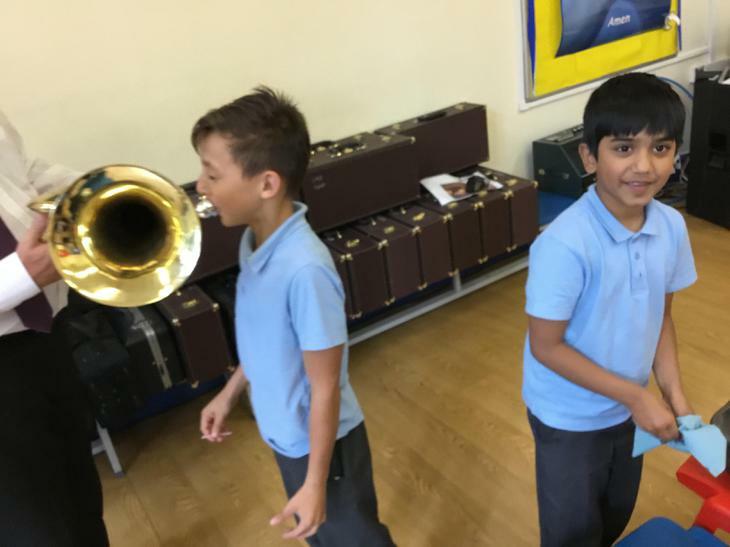 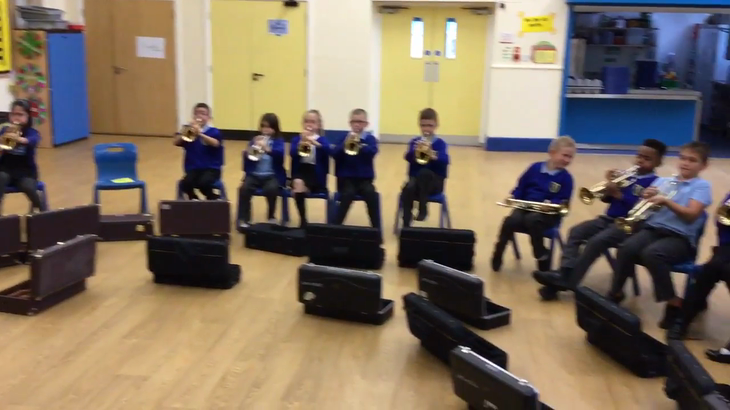 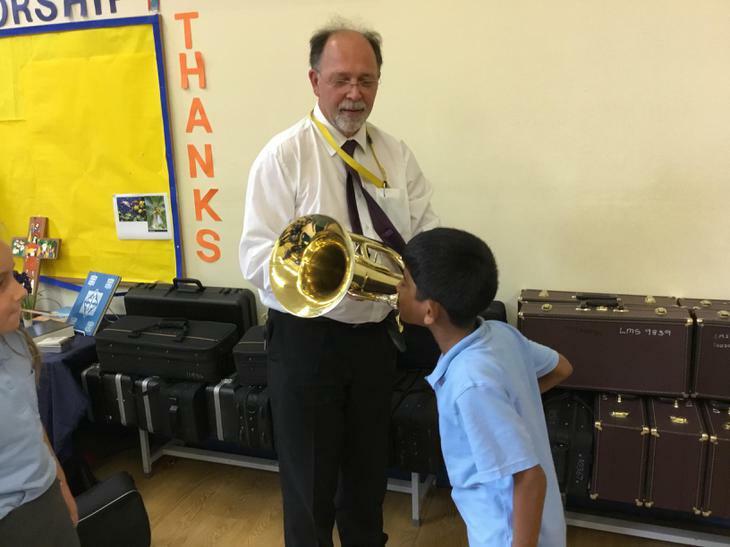 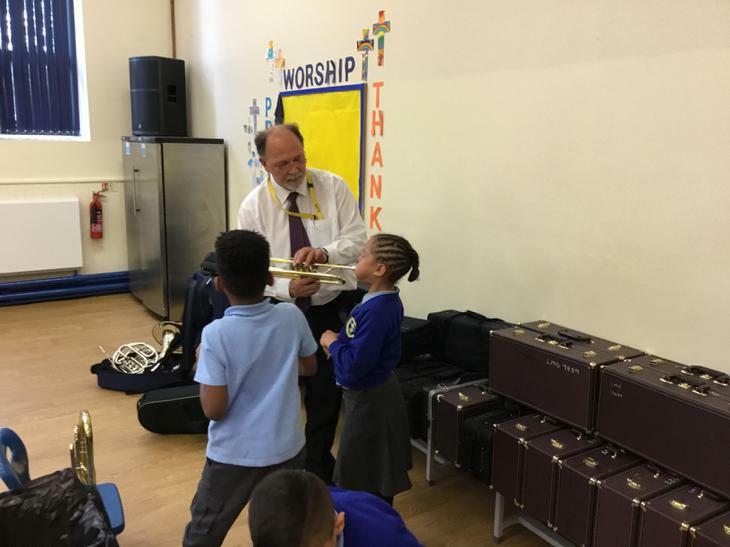 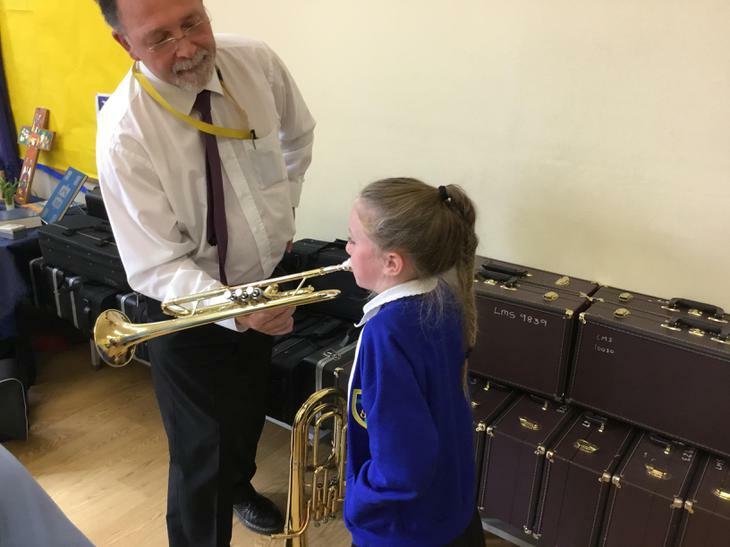 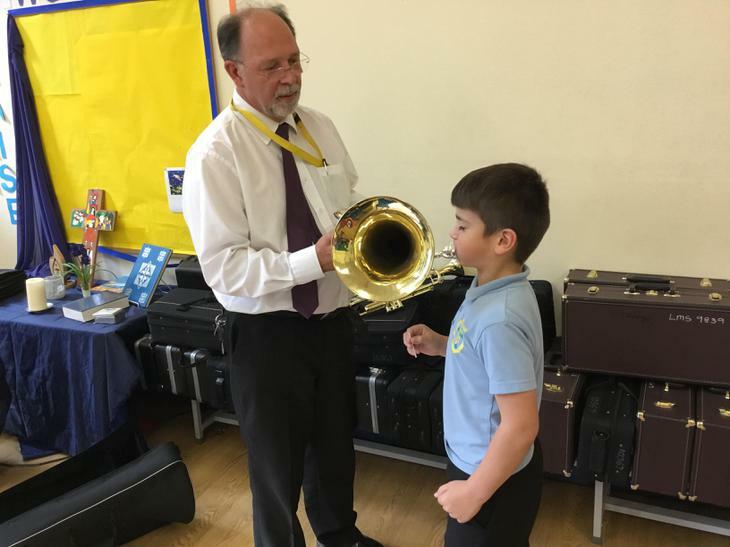 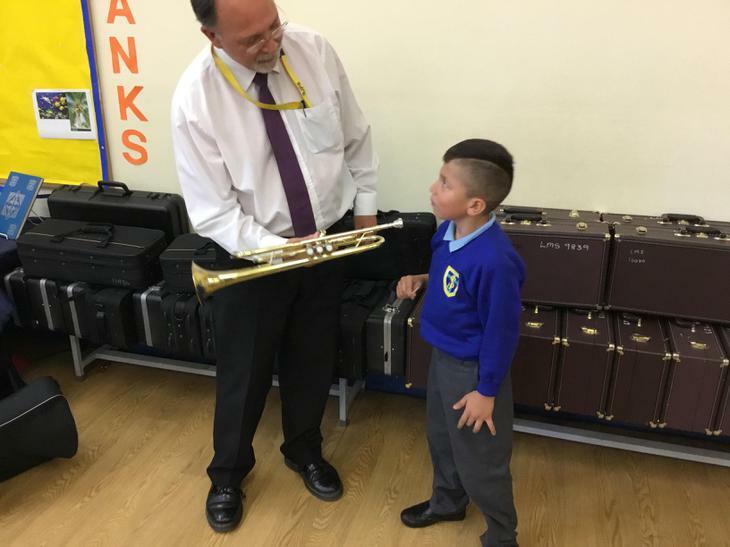 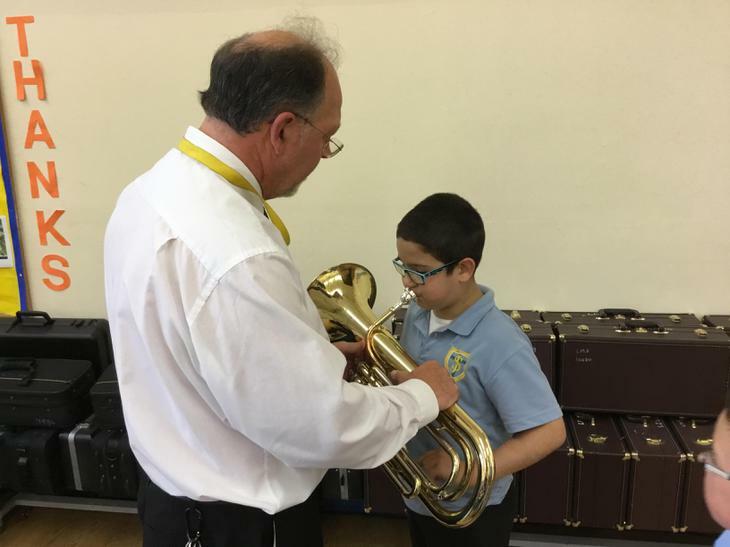 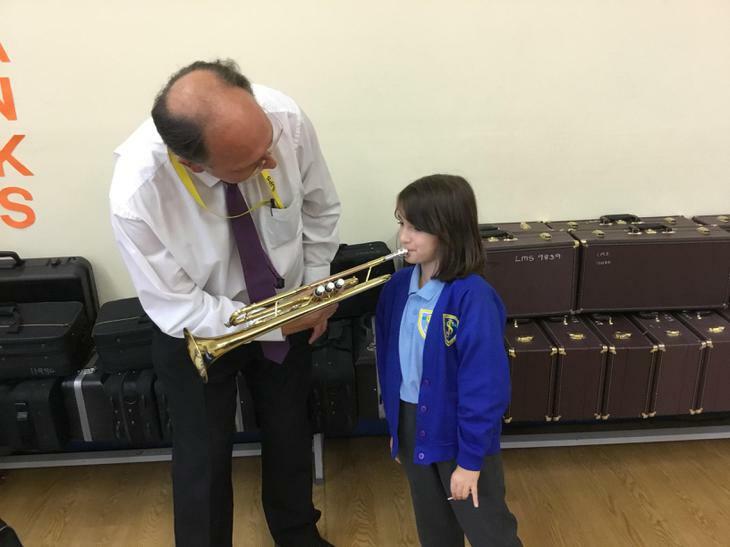 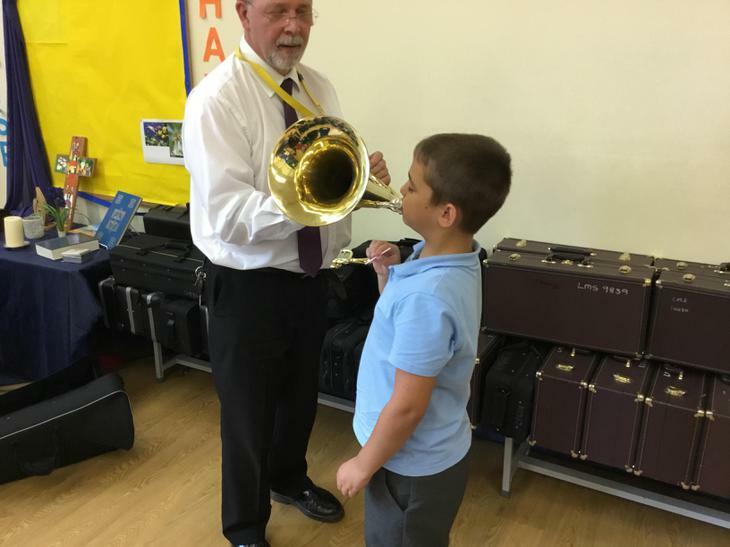 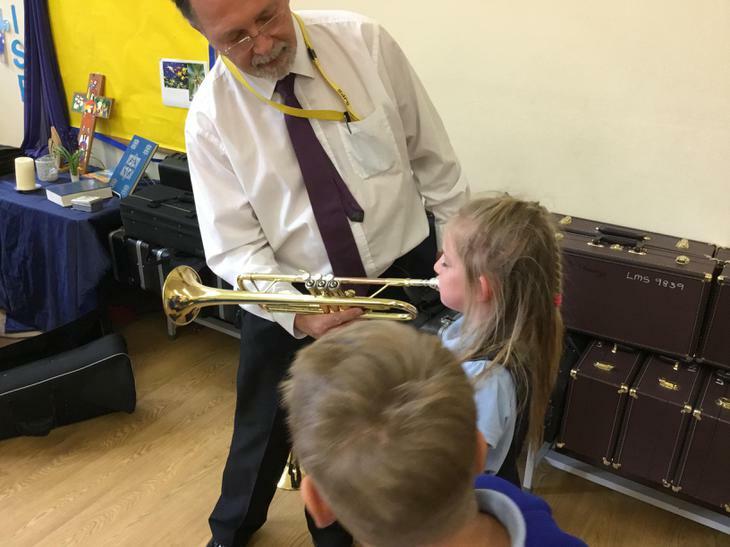 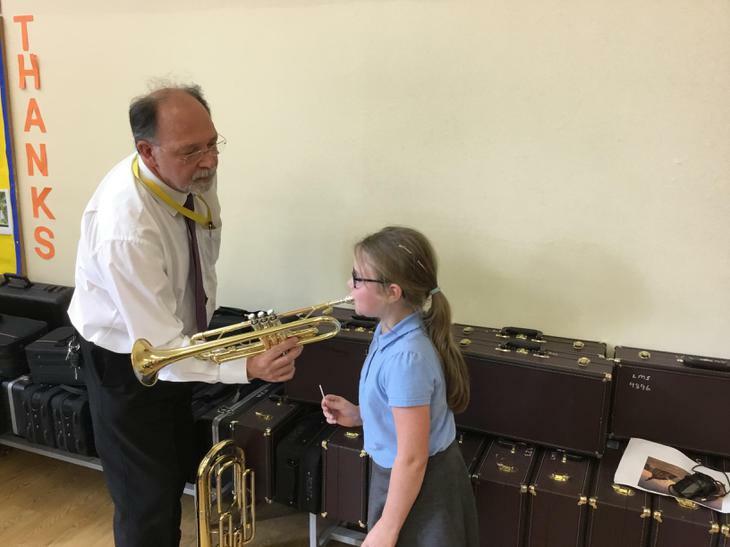 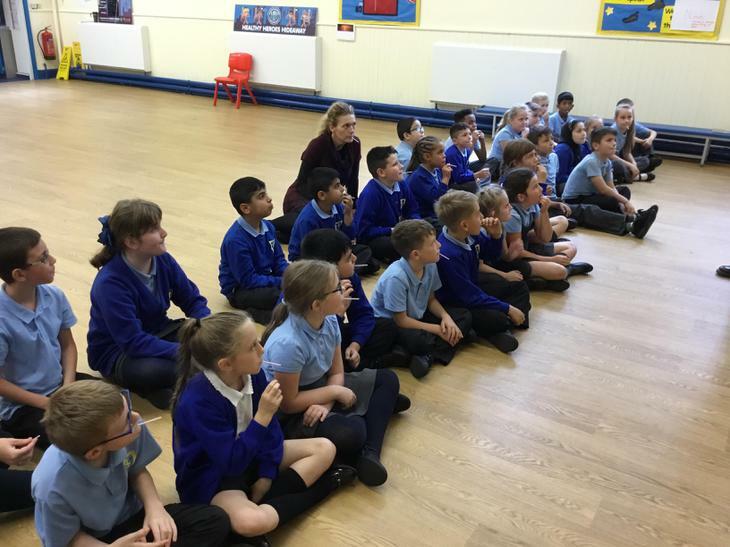 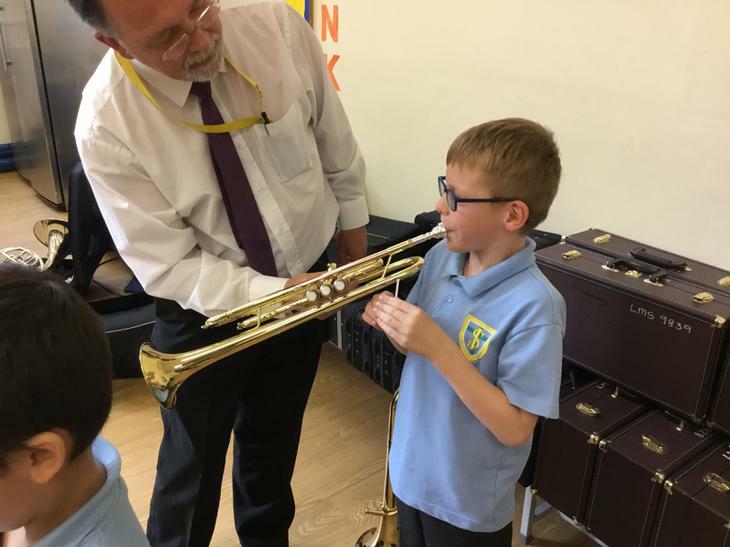 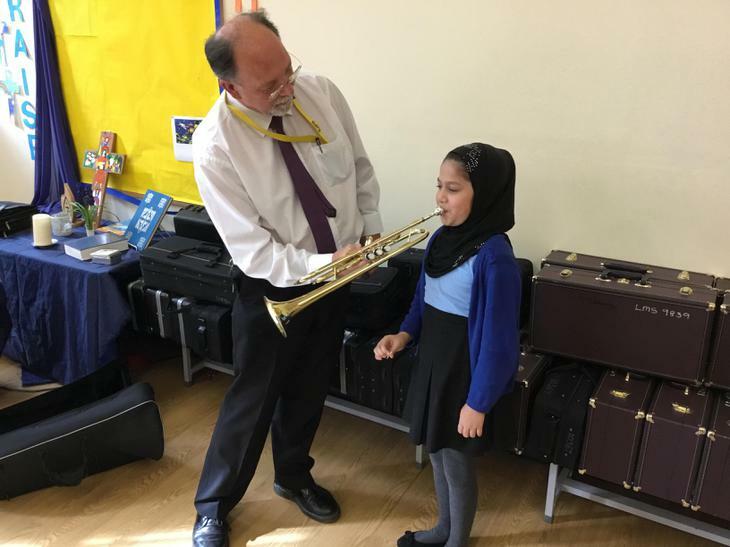 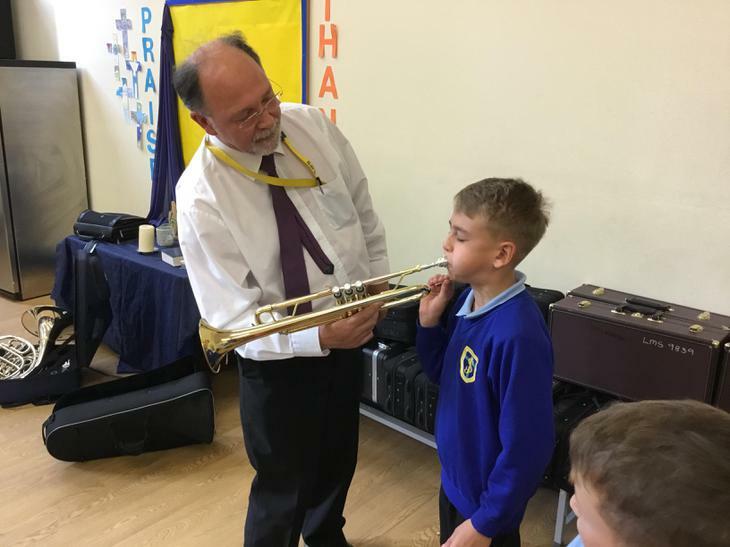 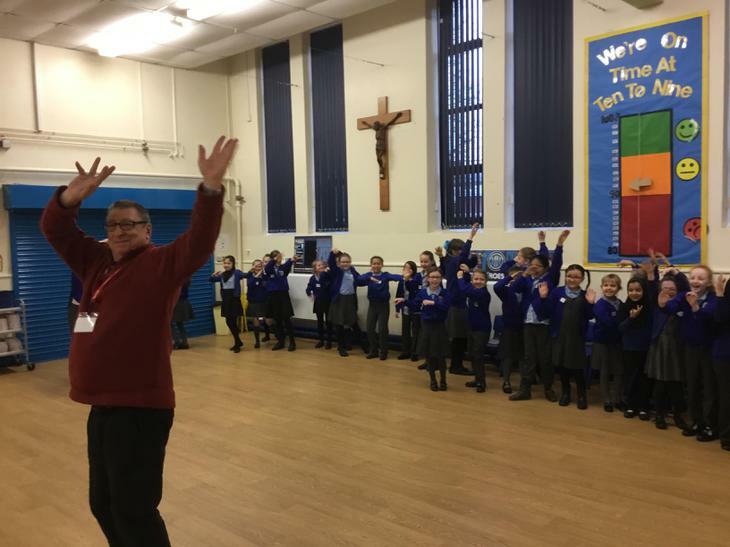 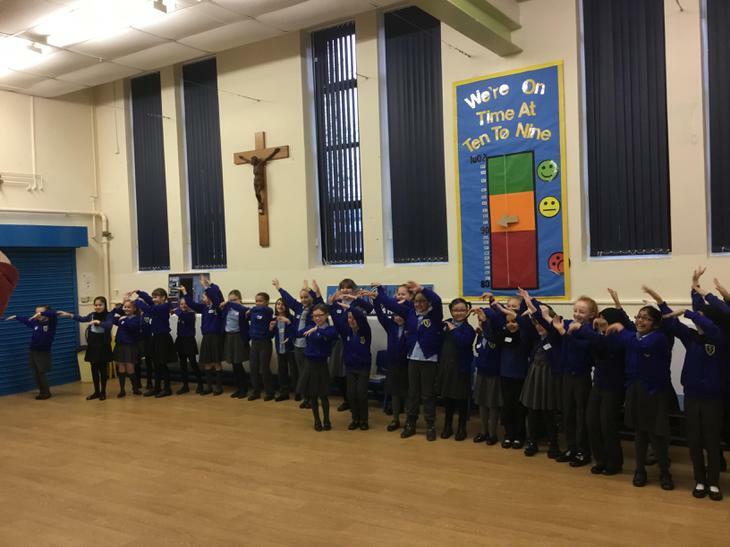 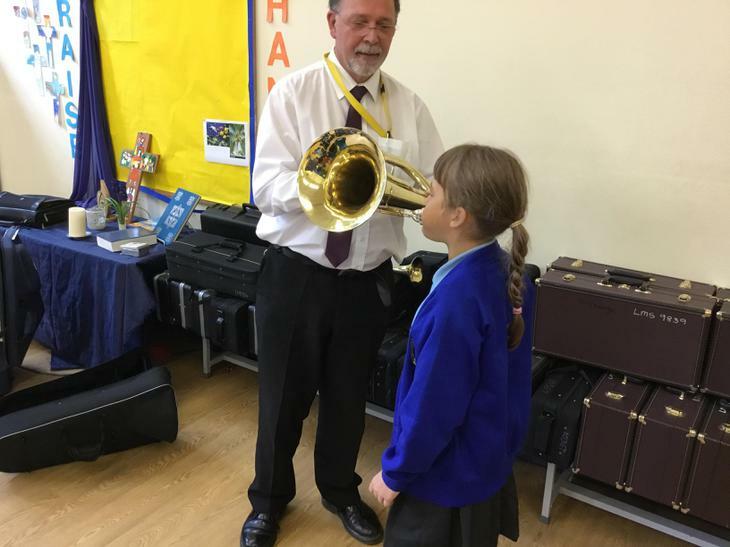 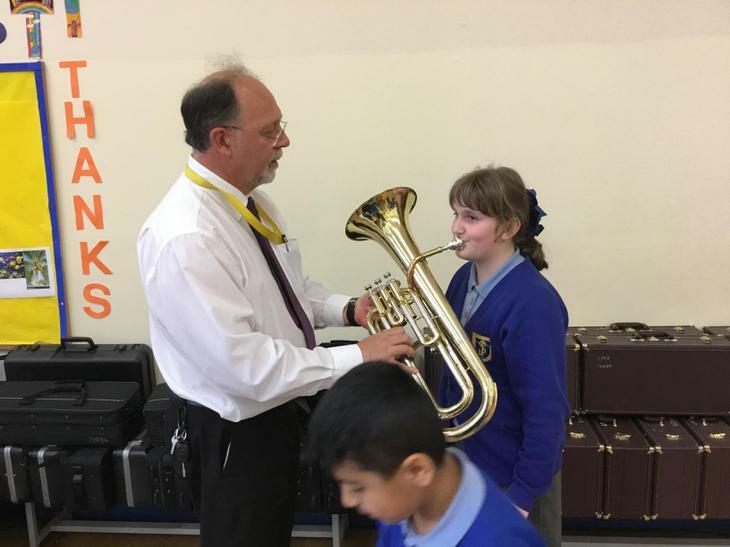 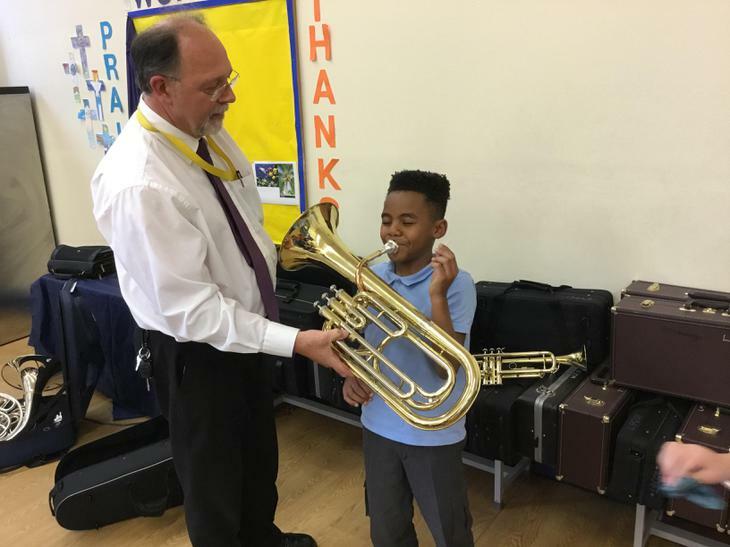 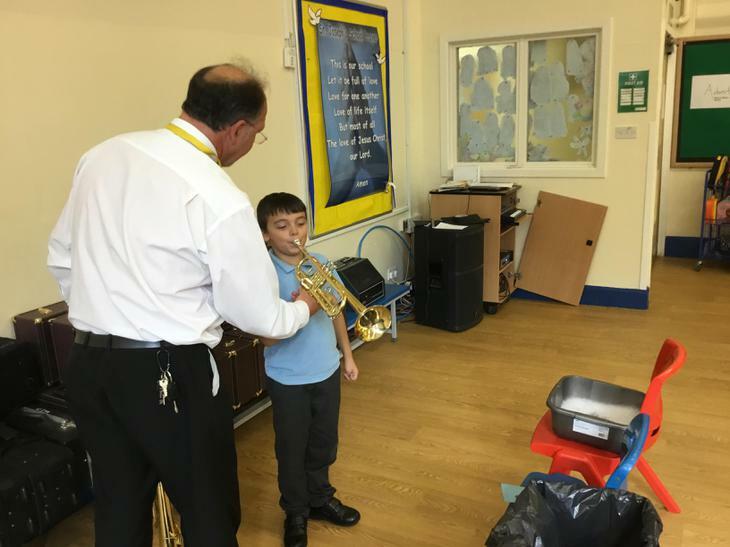 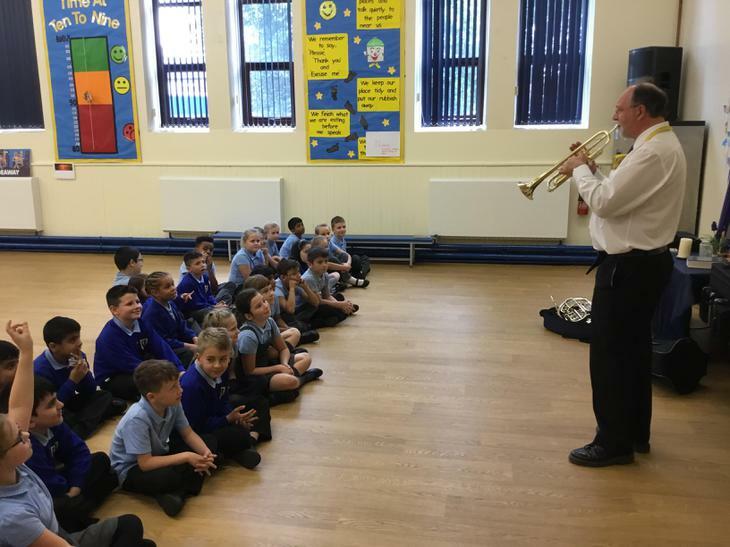 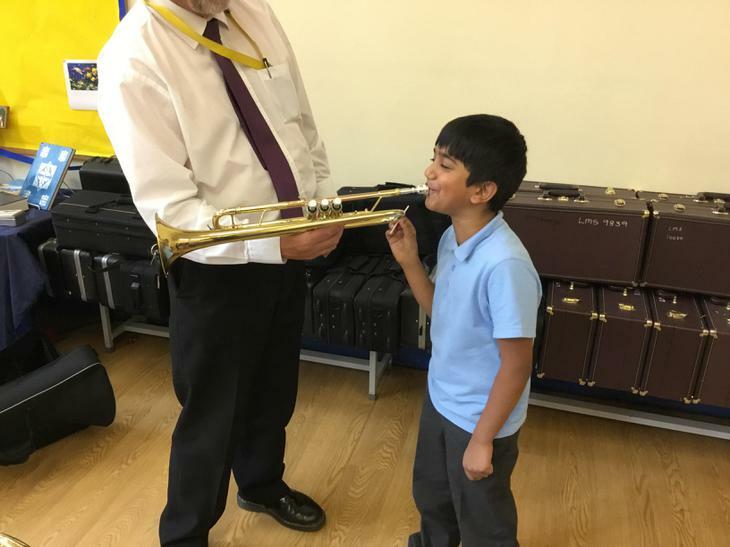 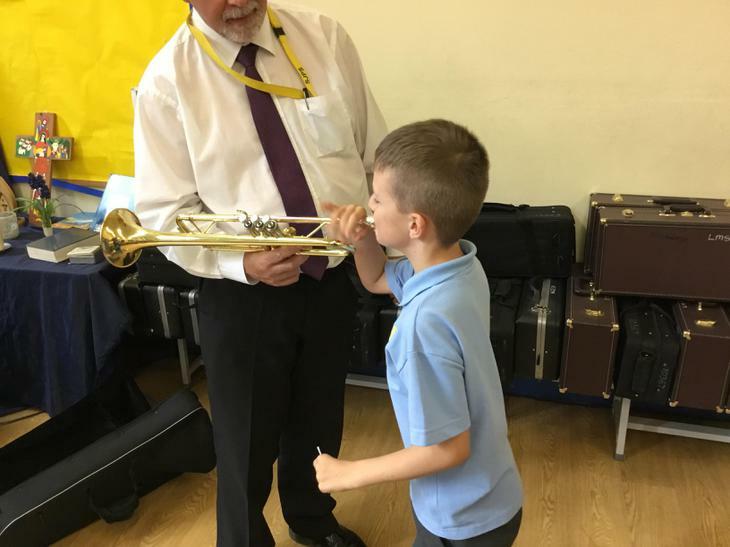 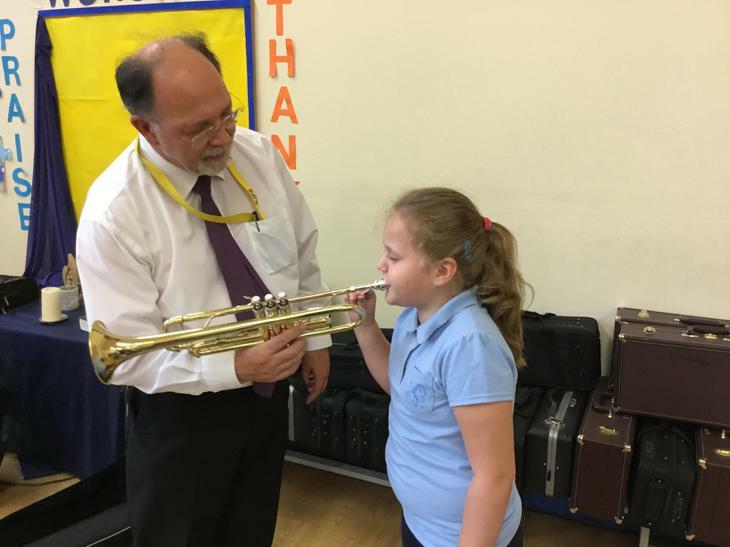 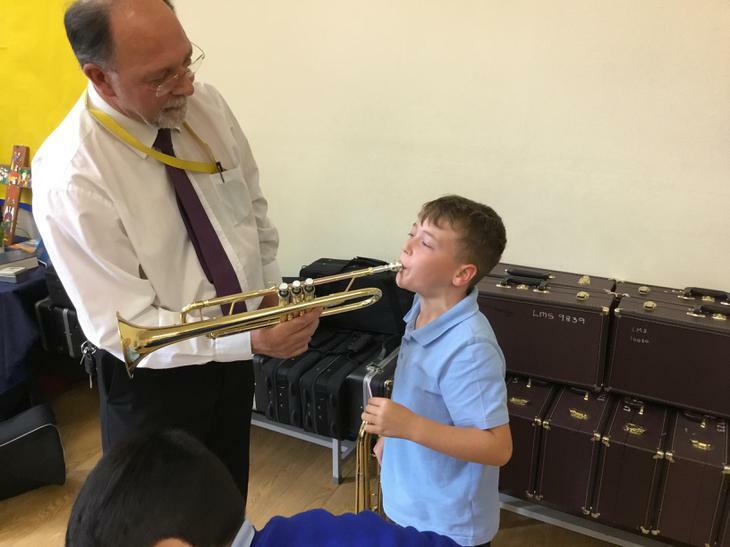 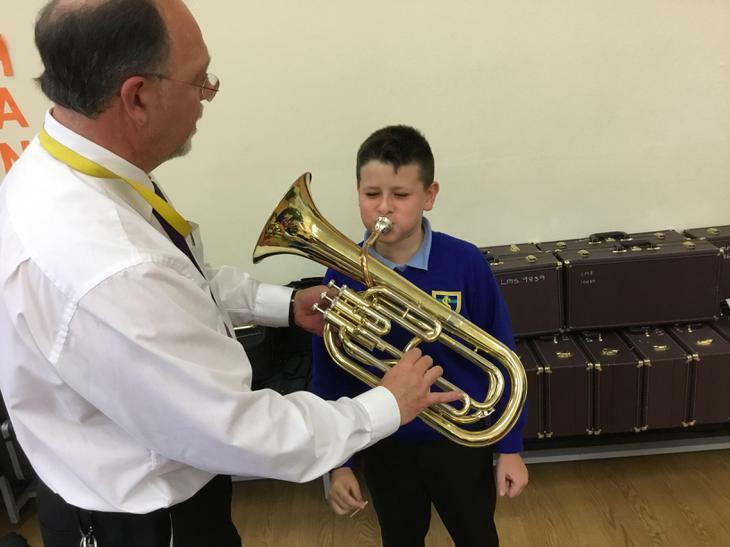 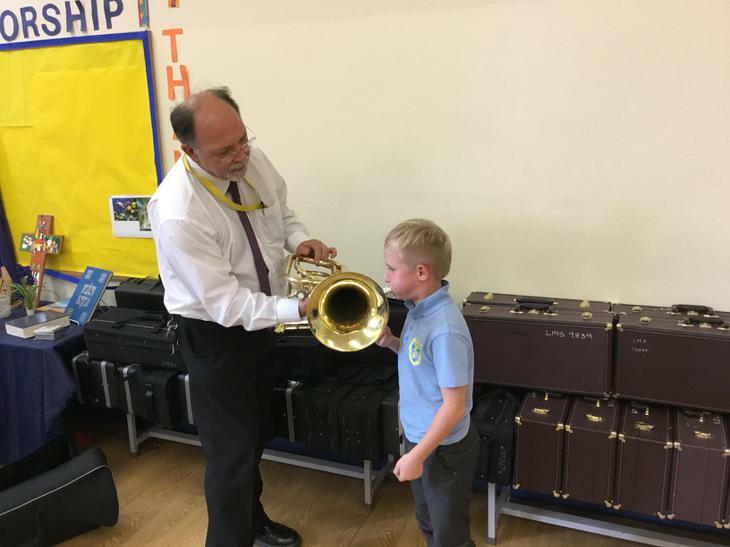 This Autumn term, Year are learning the Trumpet. 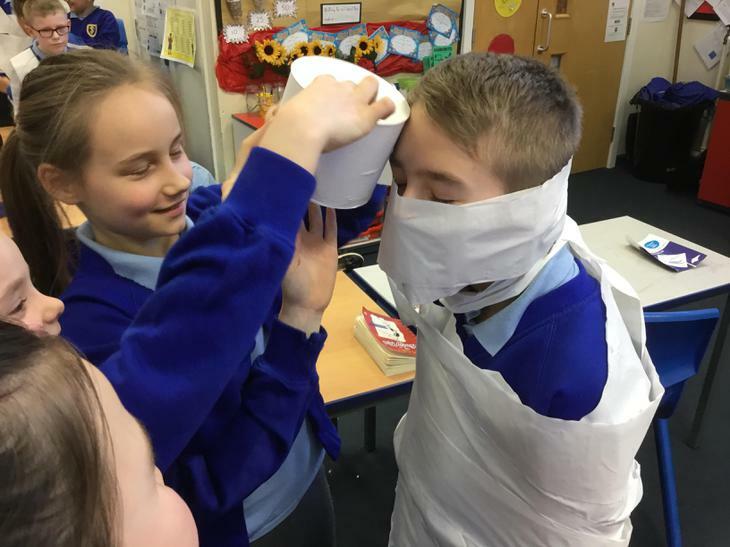 Our Topic this Autumn term is The Great Plague. 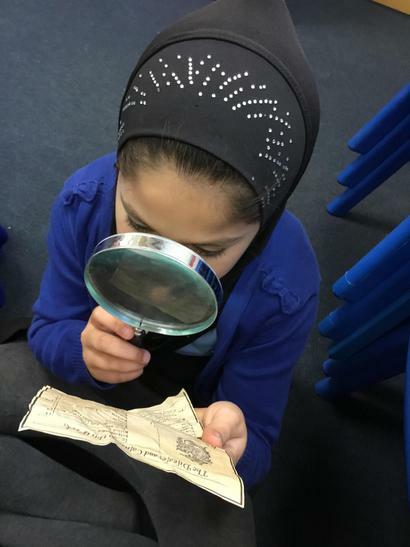 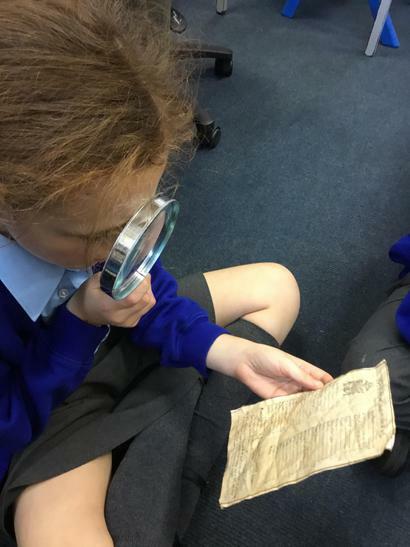 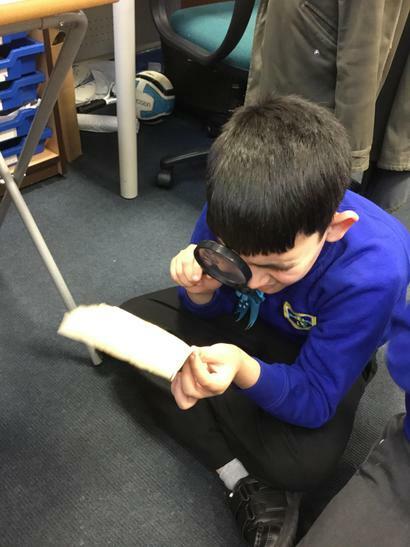 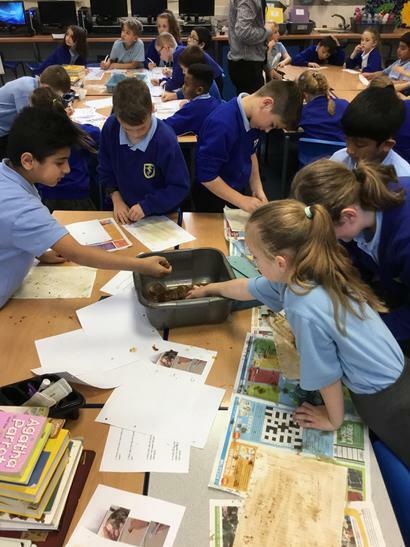 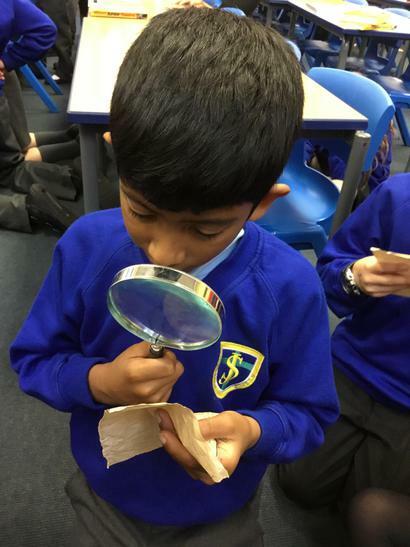 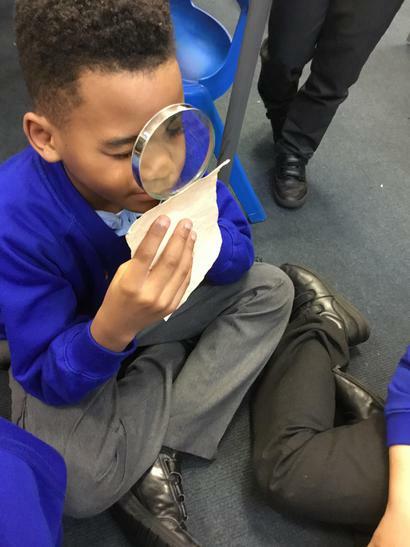 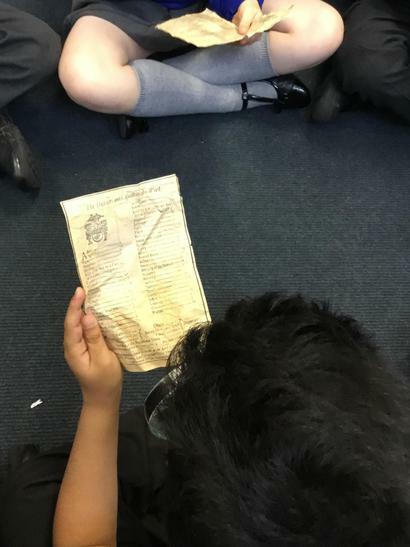 We have been looking at the conditions in London in 1665. 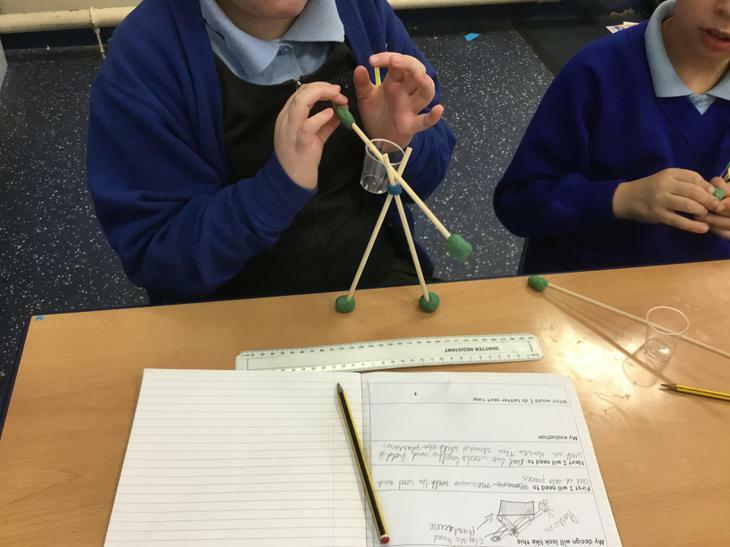 Ask your child if they can describe what it was like.